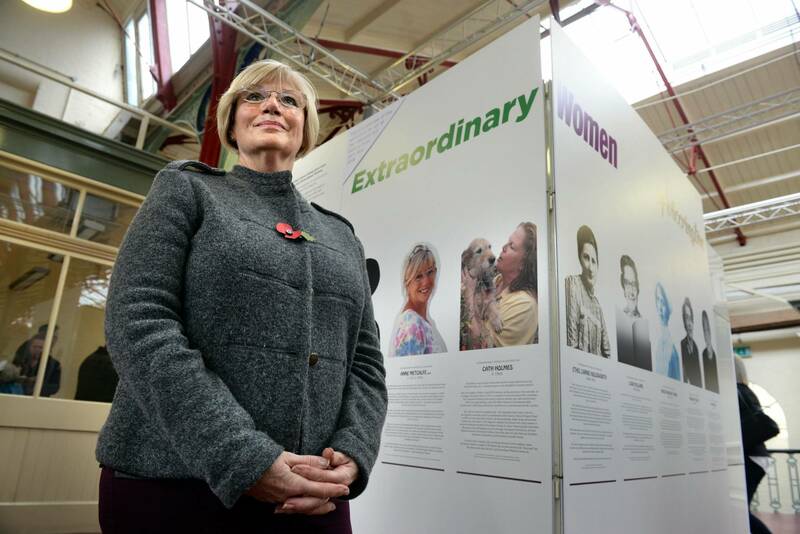 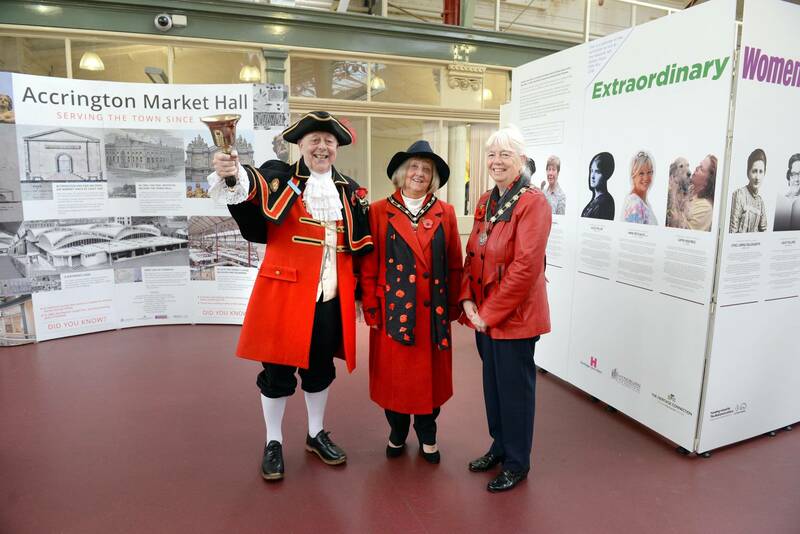 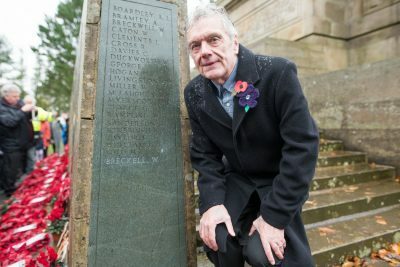 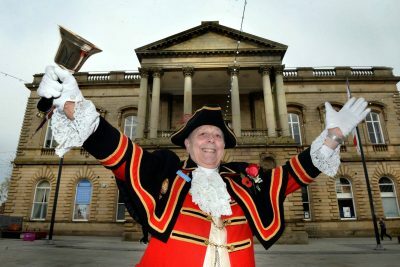 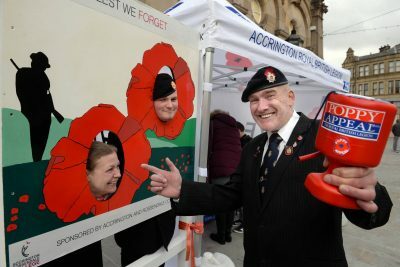 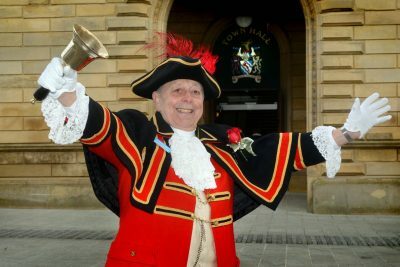 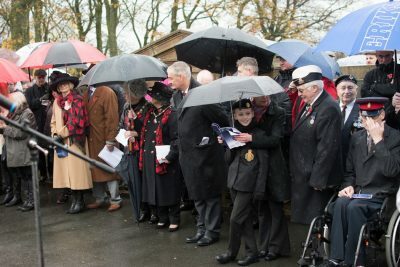 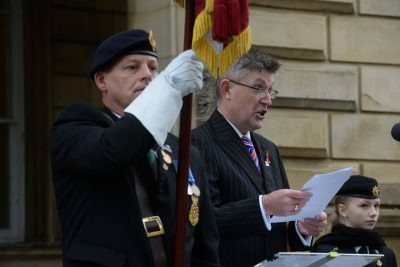 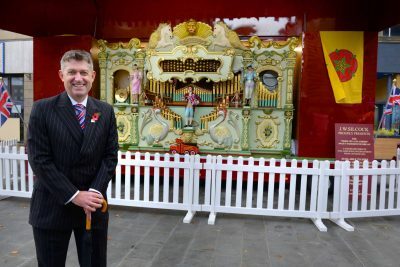 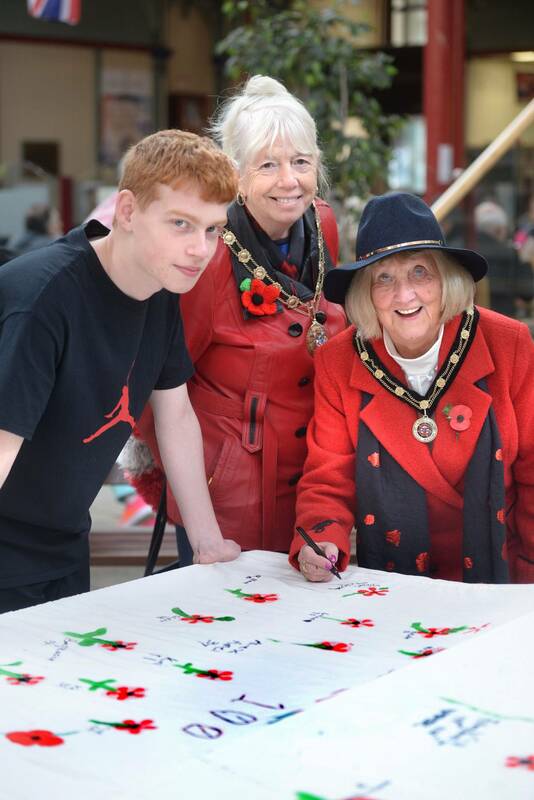 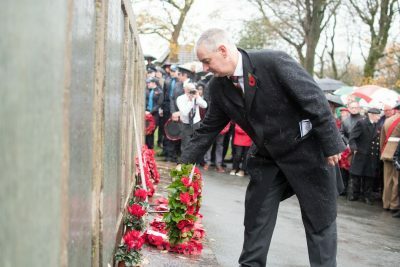 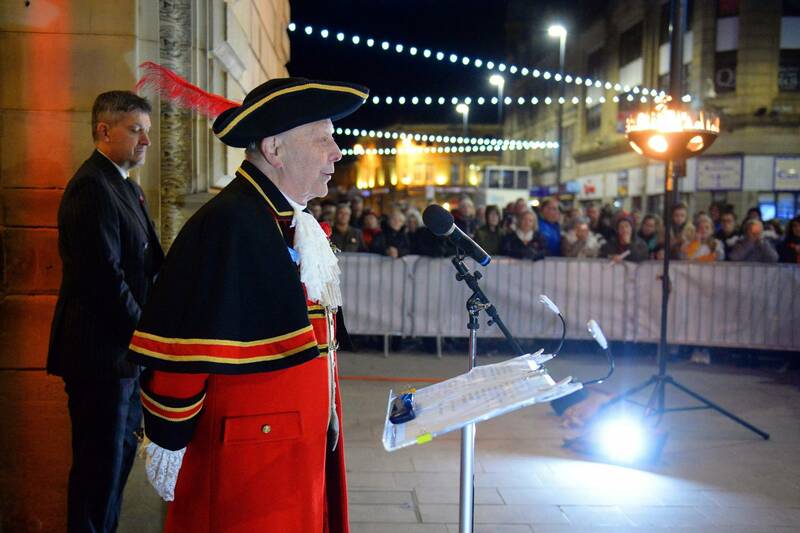 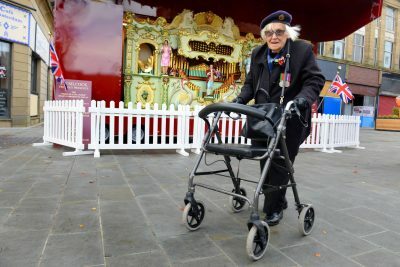 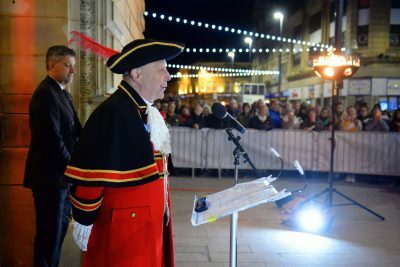 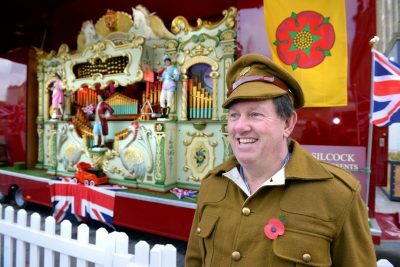 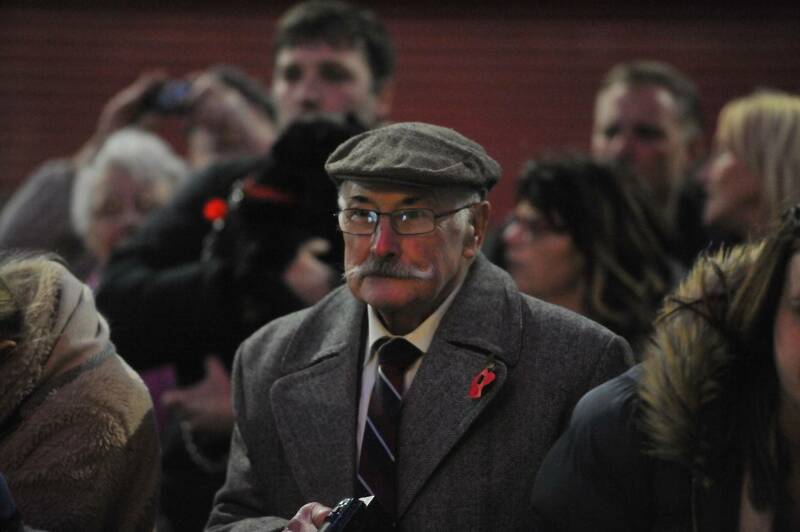 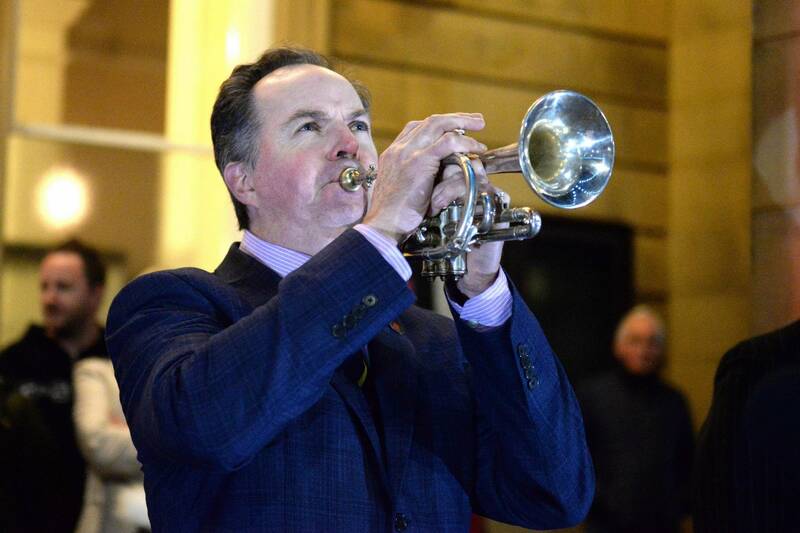 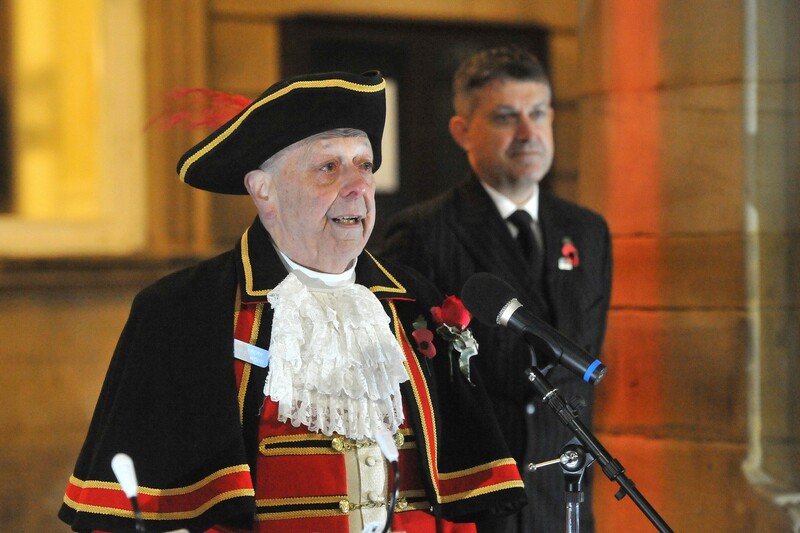 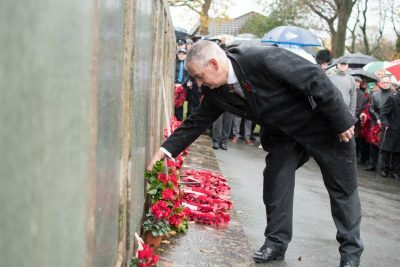 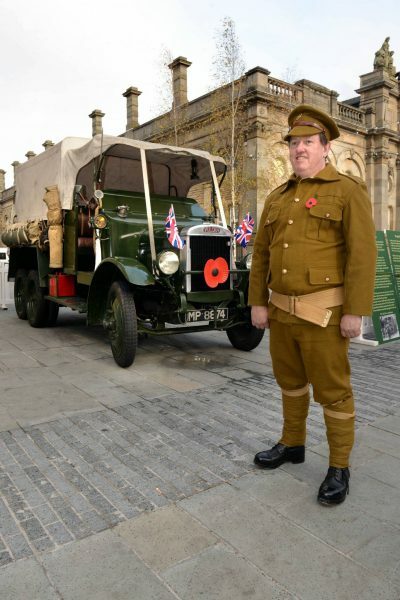 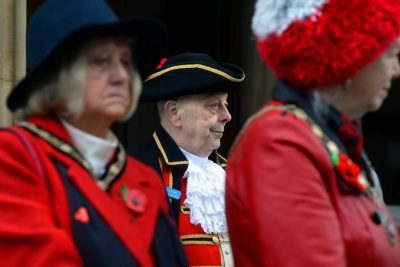 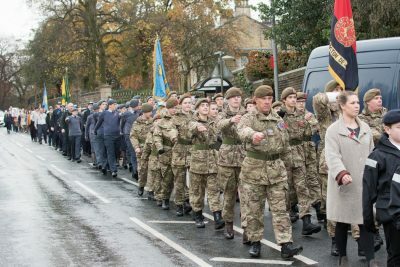 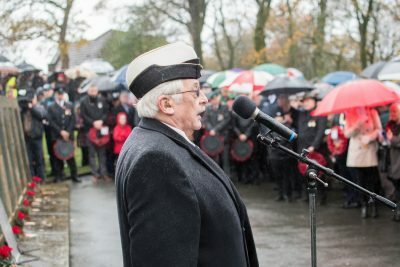 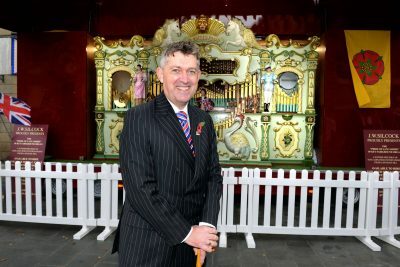 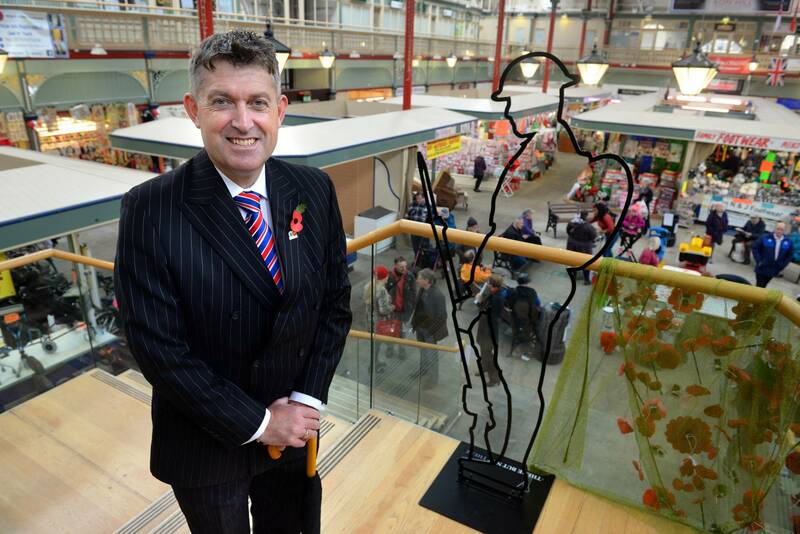 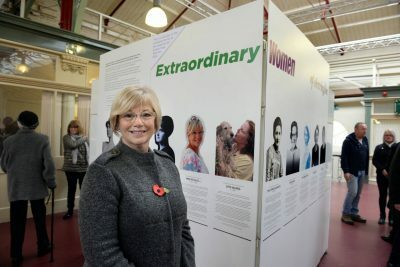 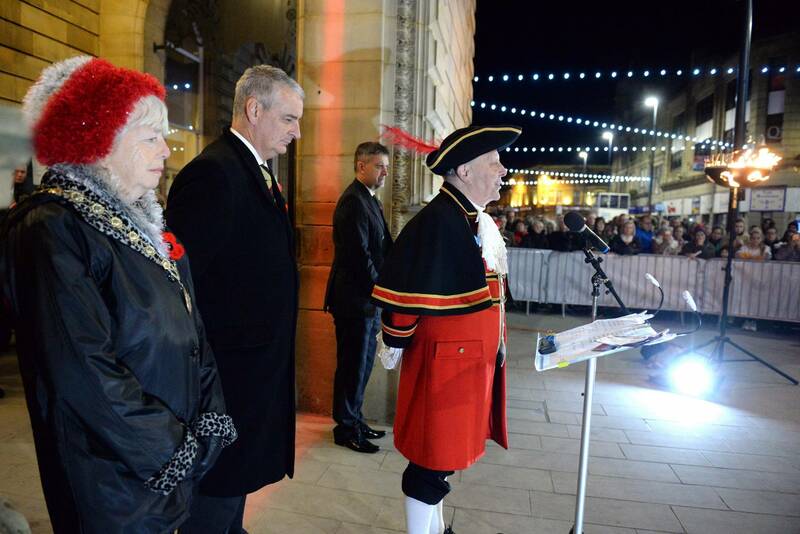 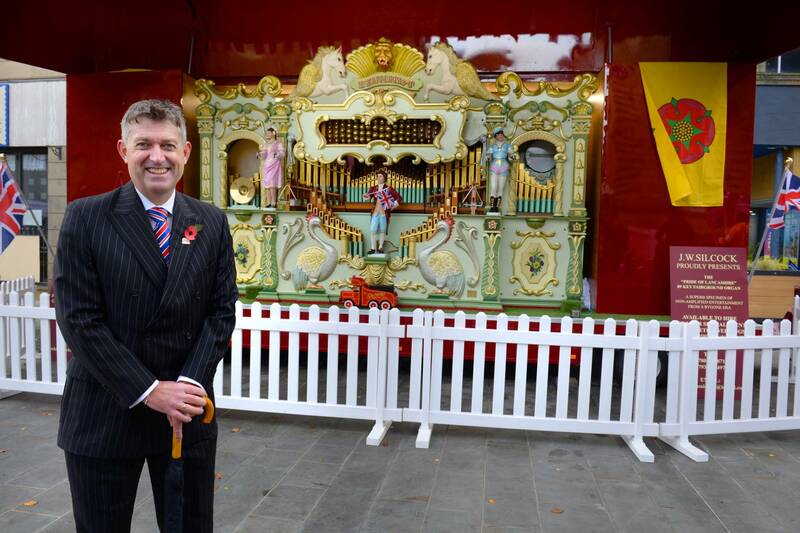 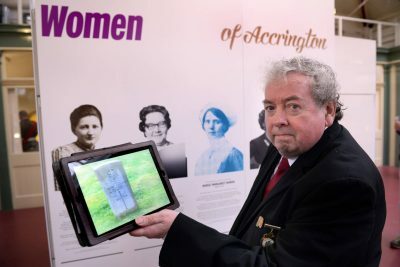 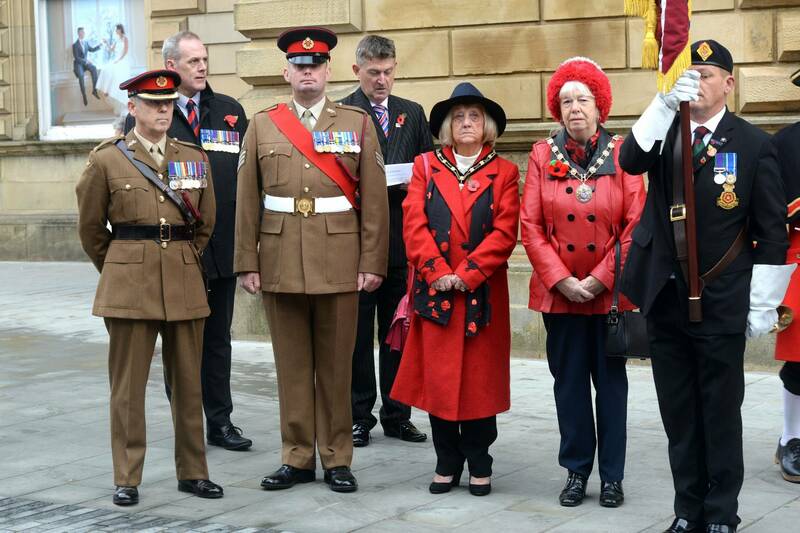 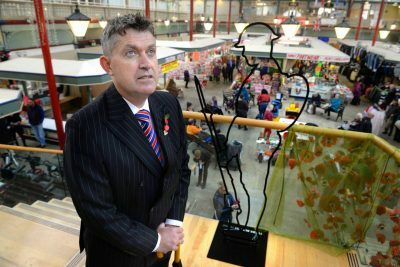 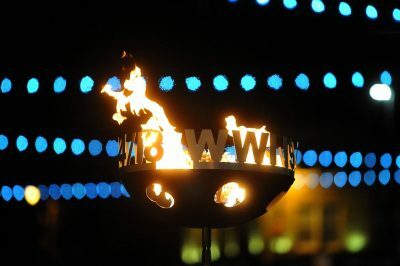 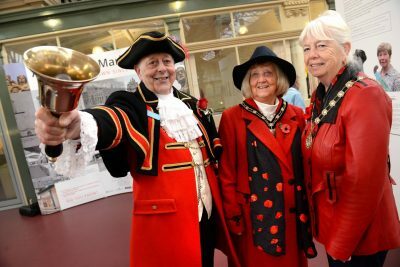 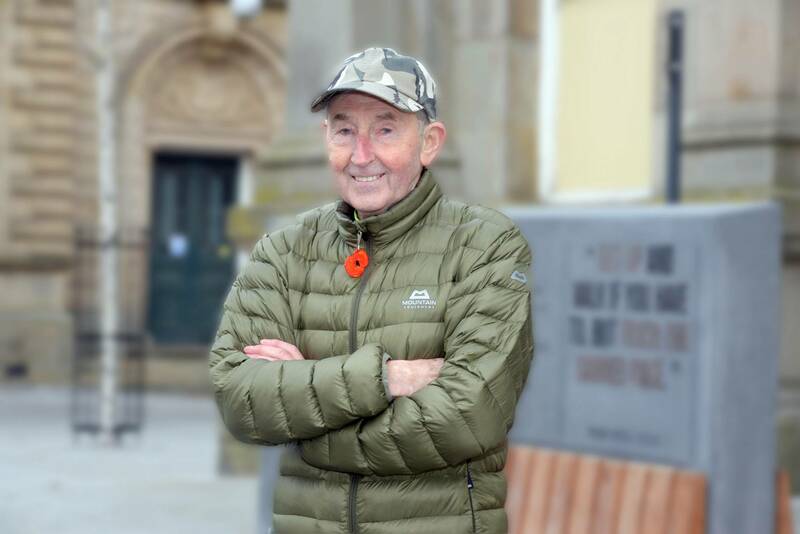 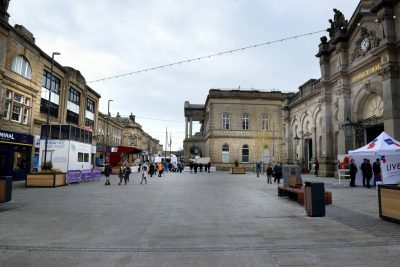 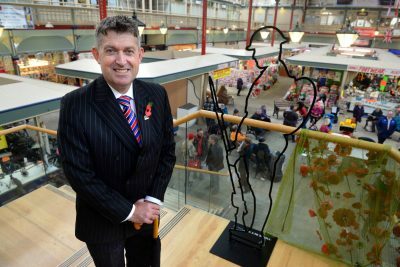 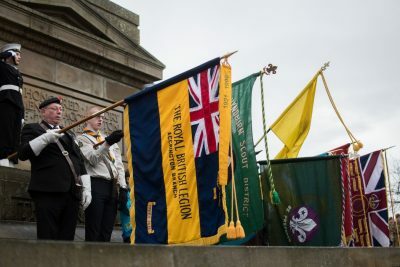 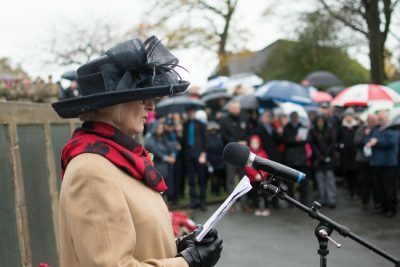 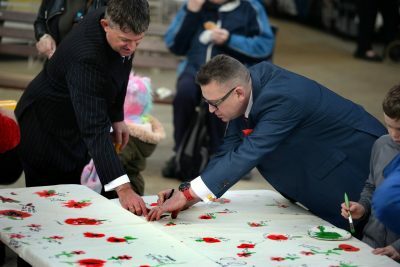 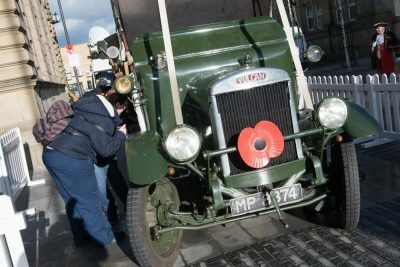 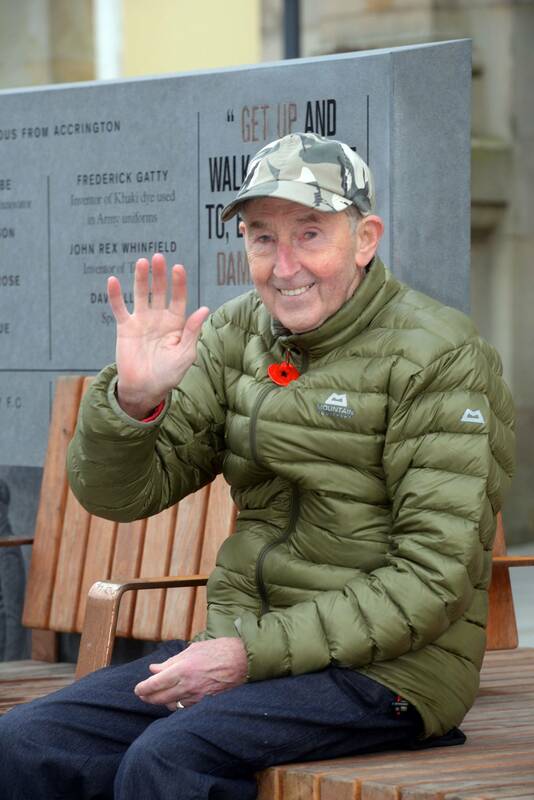 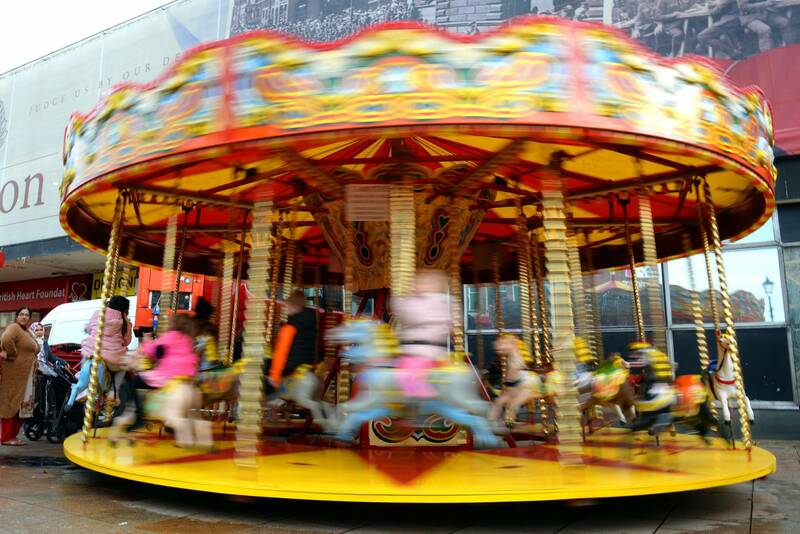 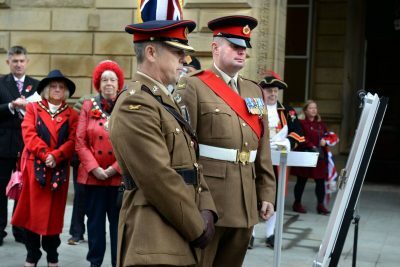 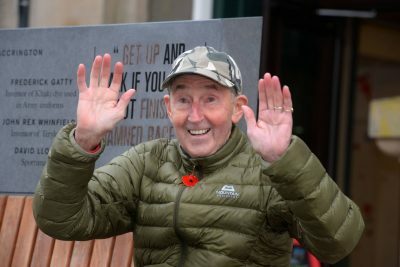 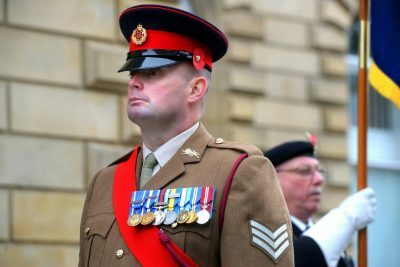 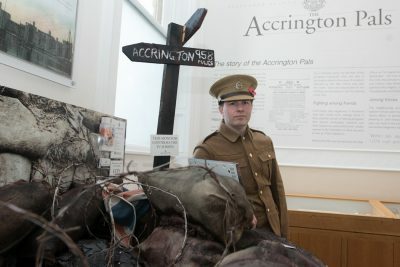 Council Leader, Cllr Miles Parkinson, spoke today of his immense pride in the Borough after a weekend of events which saw the opening of the new Town Square in Accrington on 10th November and taking part in ‘Battle’s Over, a Nation’s Tribute’ on 11th November, along with a host of other events around the Borough commemorating the centenary of the end of World War One. The Accrington Pals Centenary Commemorations Group, made up of members of the community including Pals experts; historians; local craftspeople; people involved in drama; local voluntary groups and the Council, came together to create events to commemorate this momentous time in the Borough’s history and I want to say a huge thank you to them and all the many groups, individuals and organisations who have worked so hard to showcase Accrington and Hyndburn and demonstrate our pride in its past, present and future. 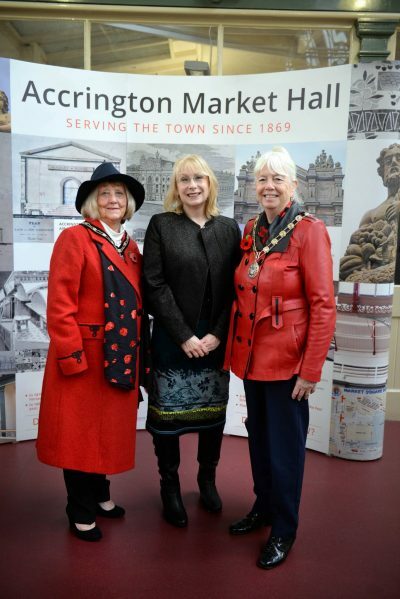 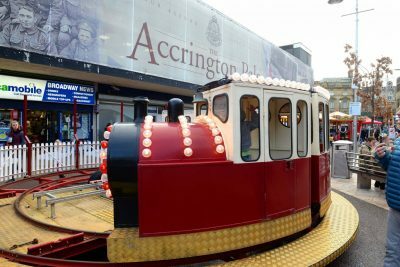 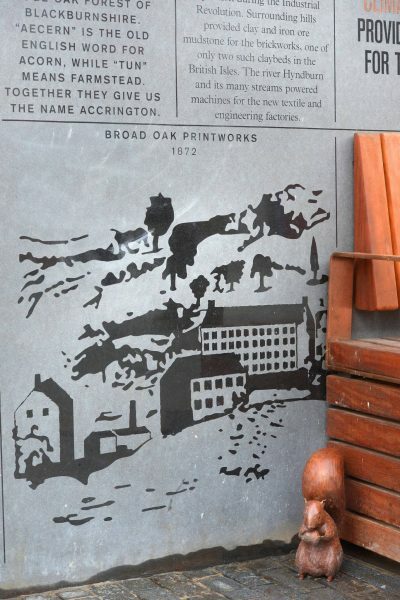 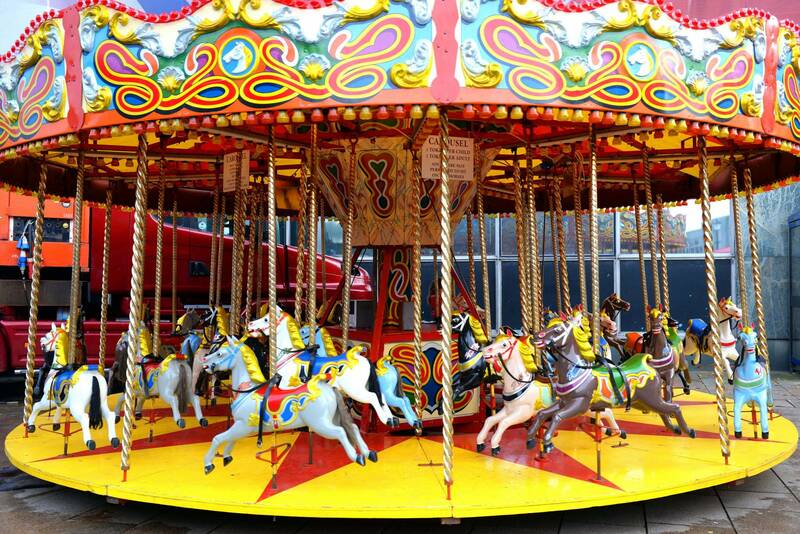 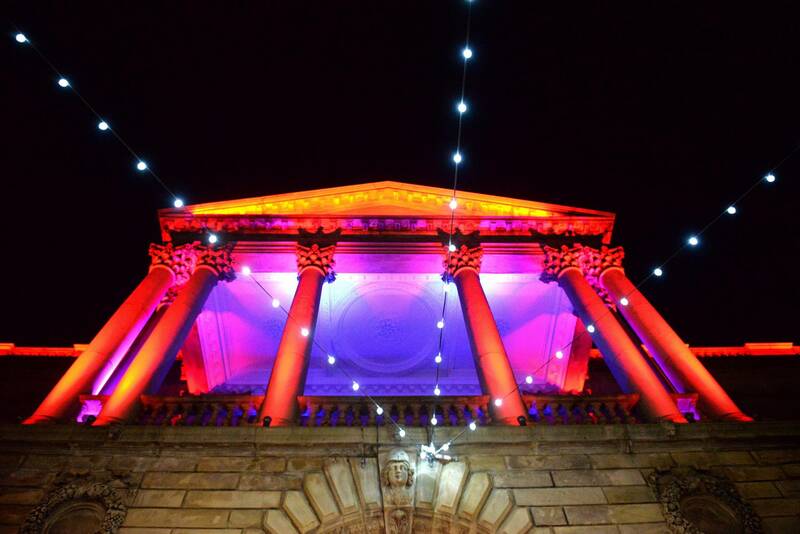 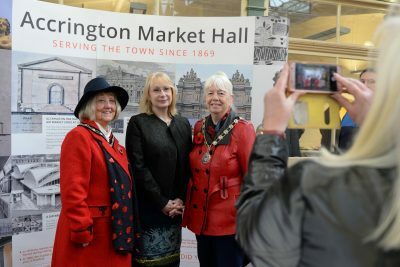 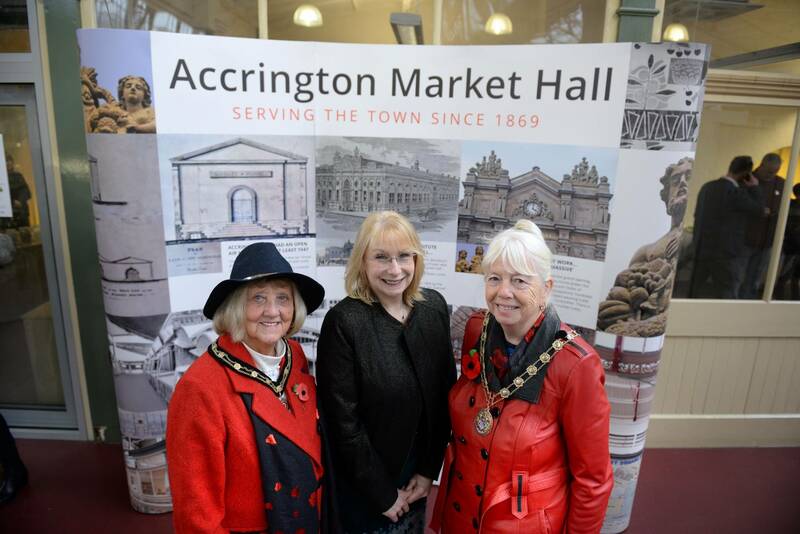 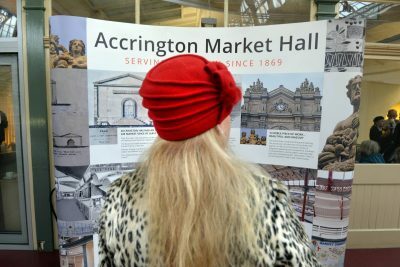 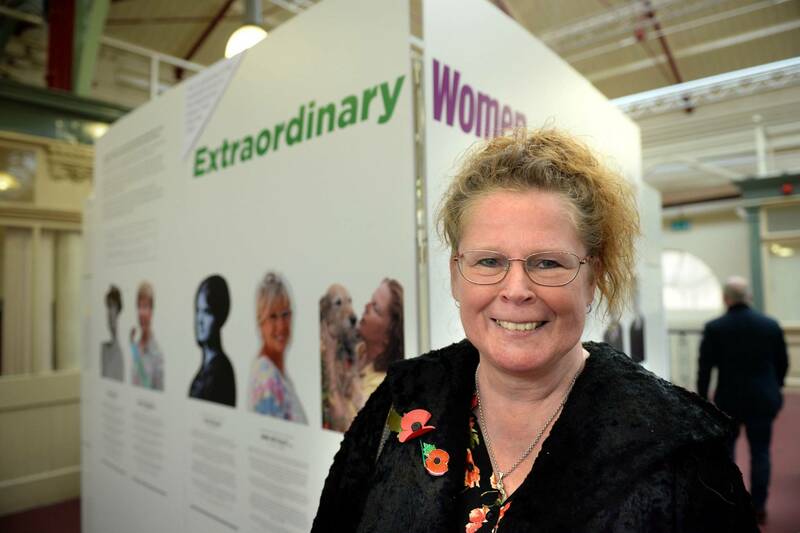 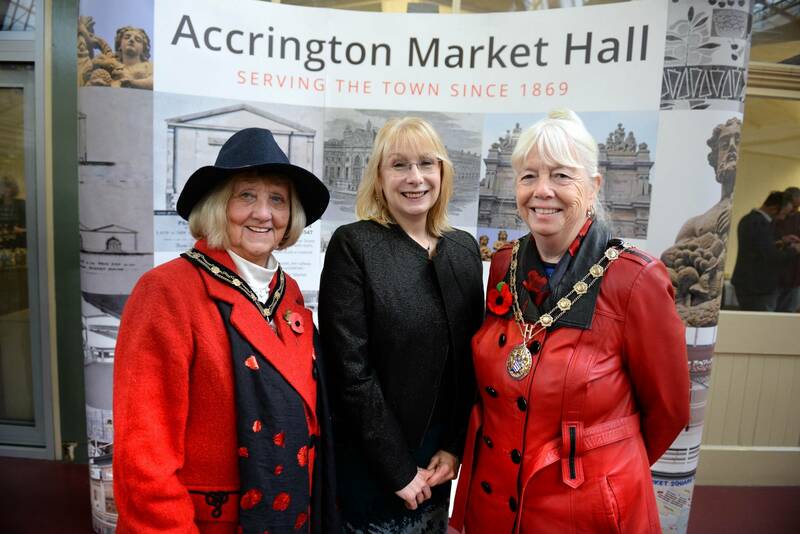 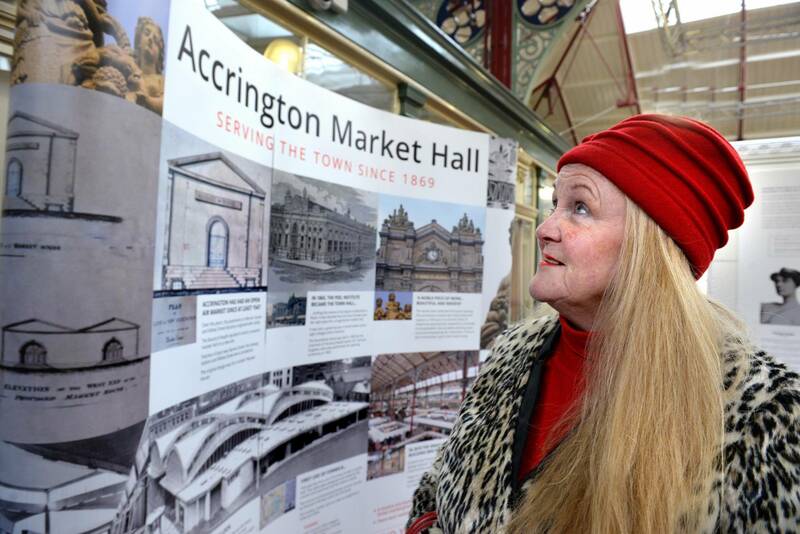 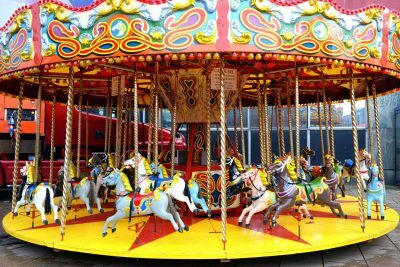 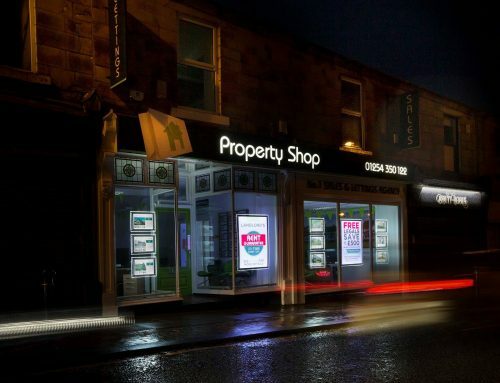 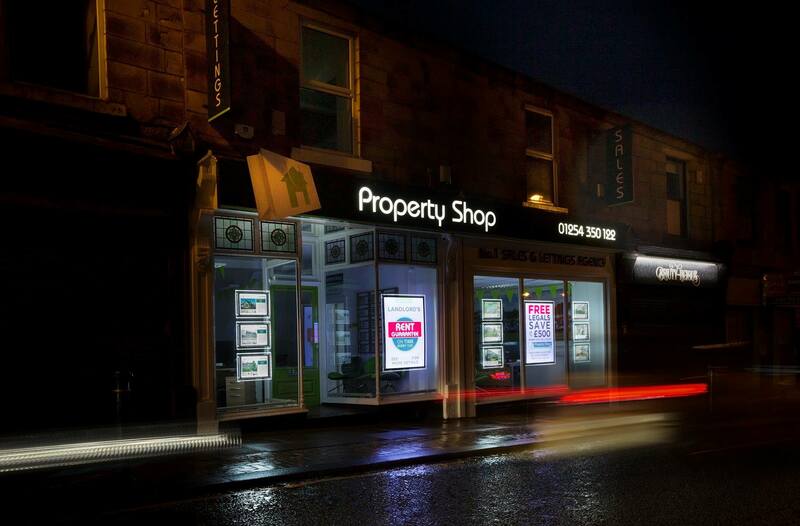 Cllr Parkinson, concluded; “This was a big weekend for Accrington. 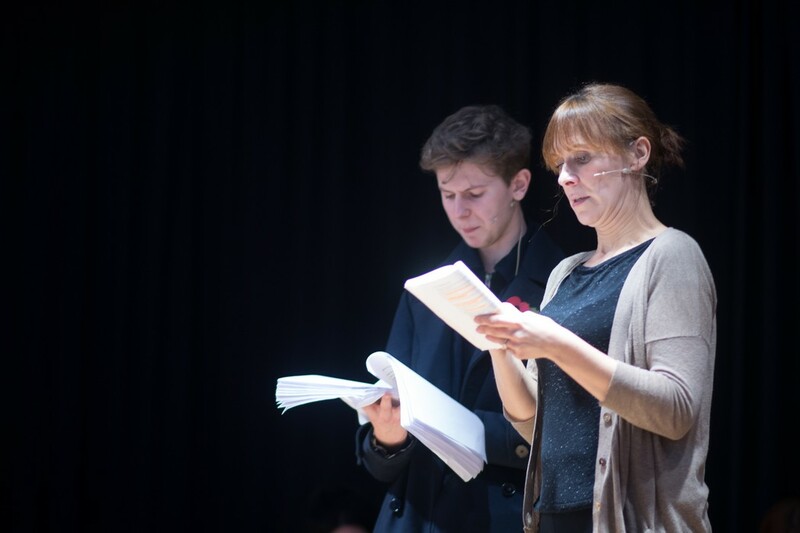 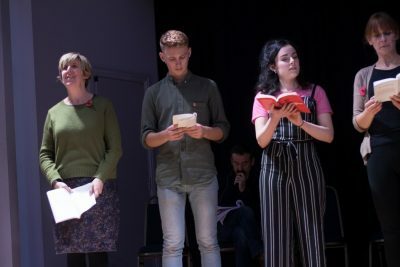 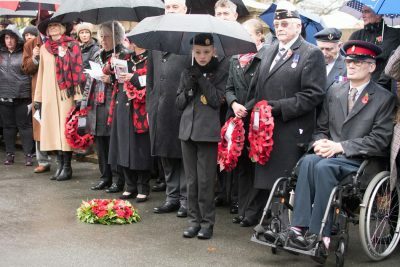 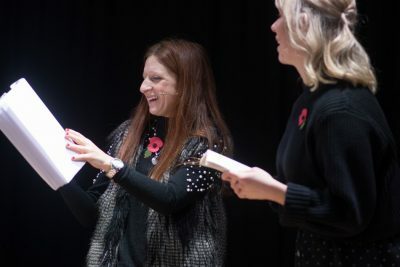 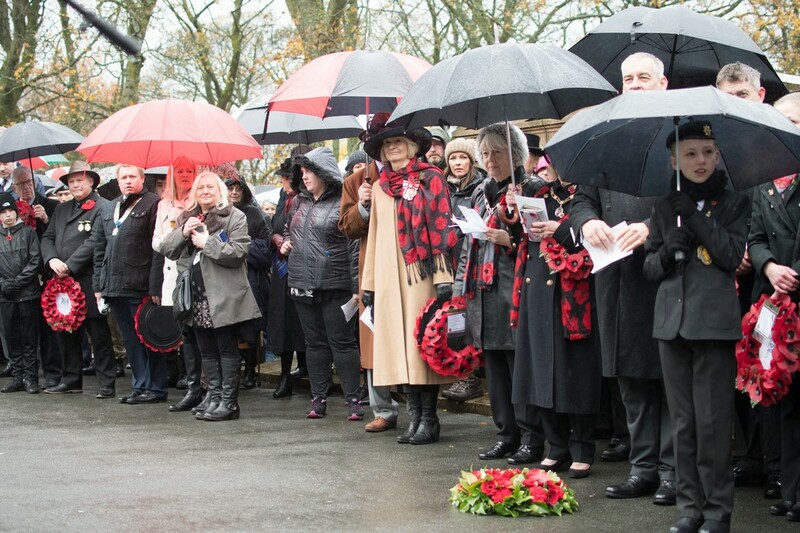 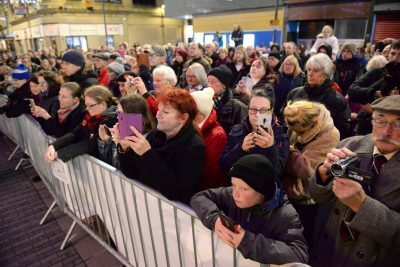 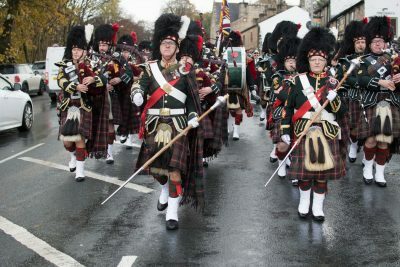 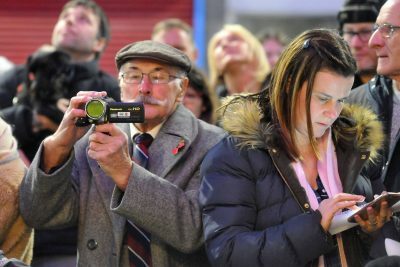 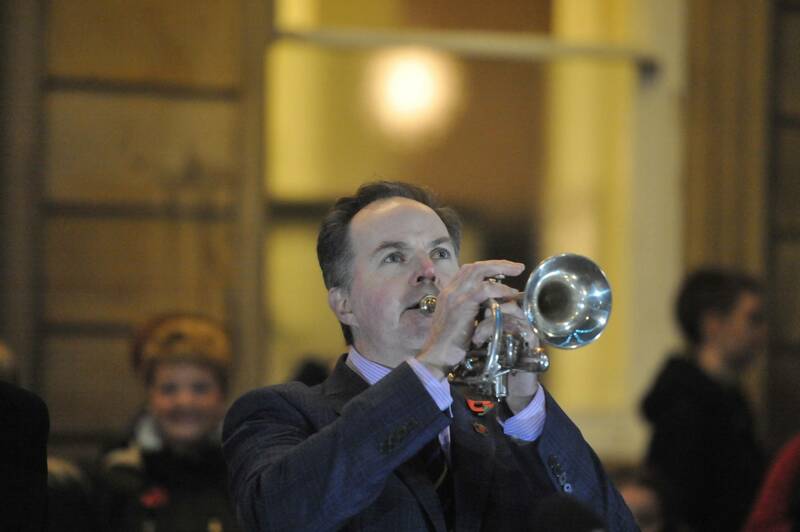 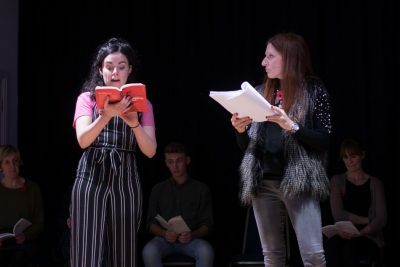 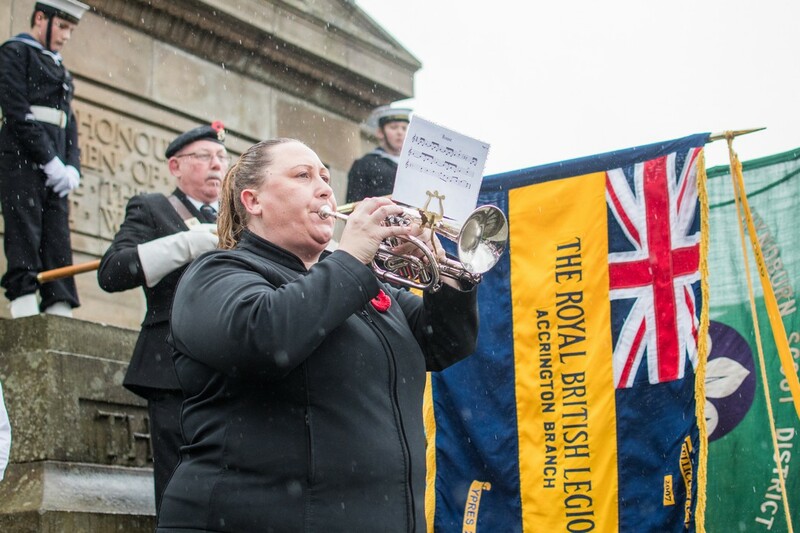 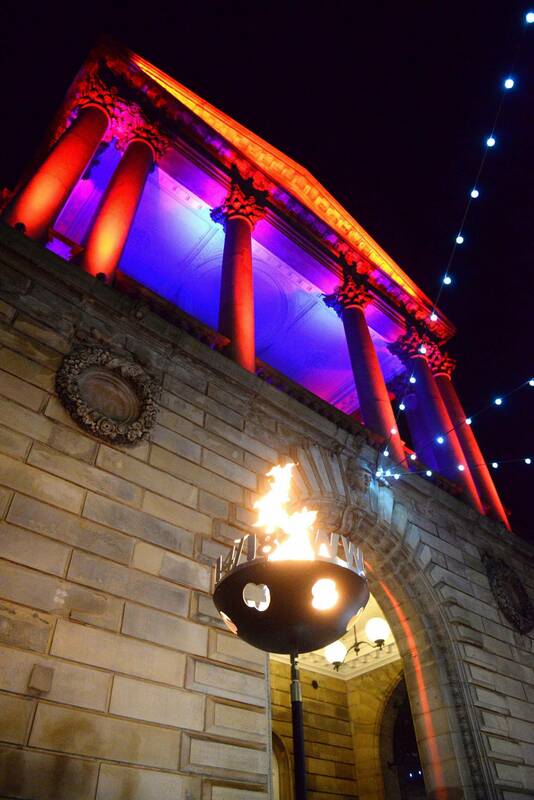 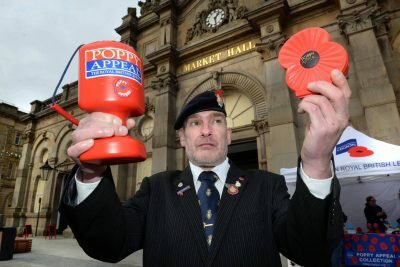 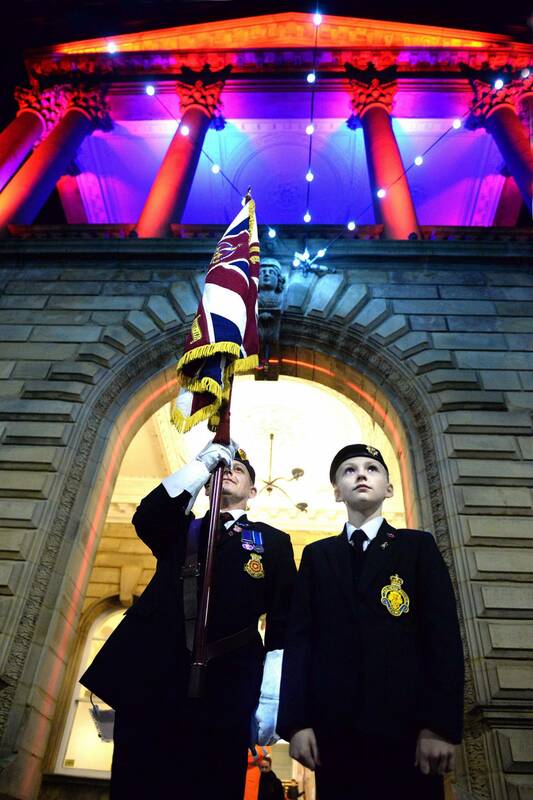 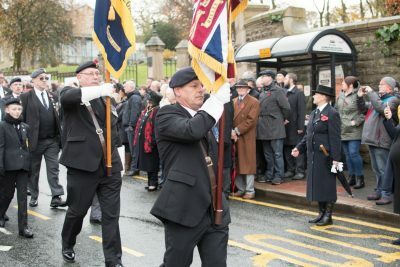 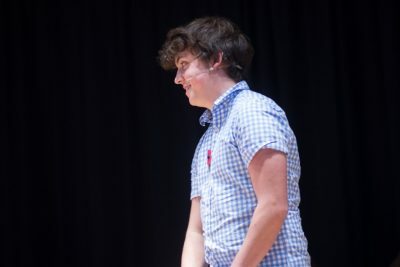 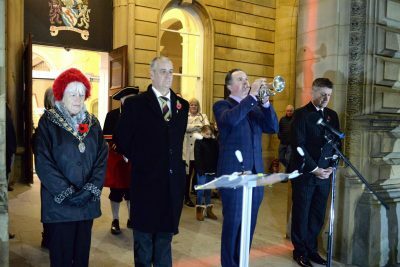 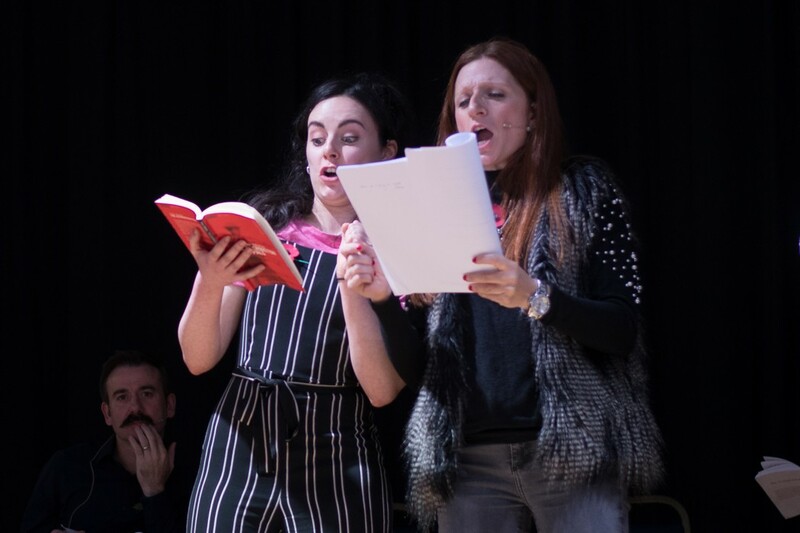 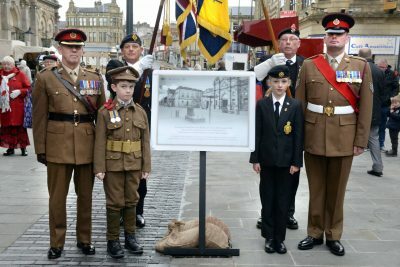 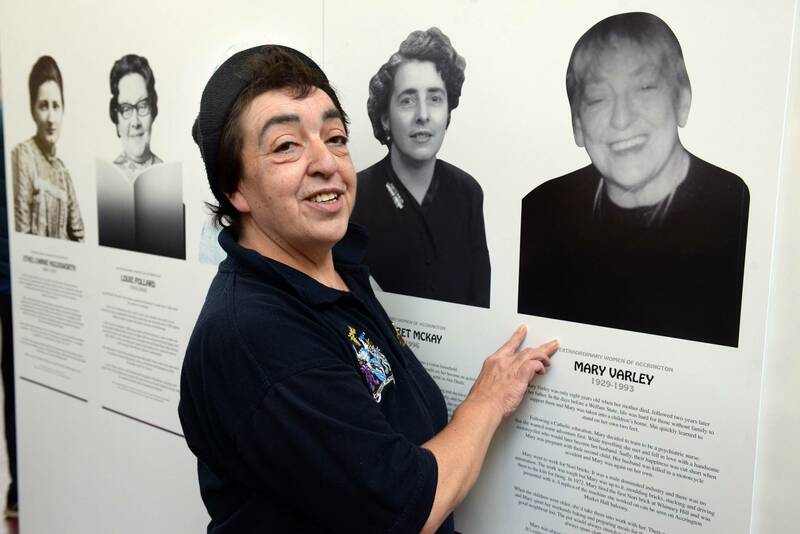 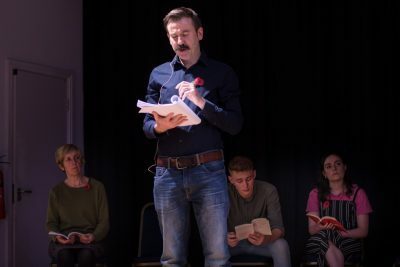 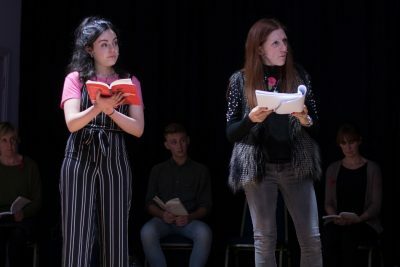 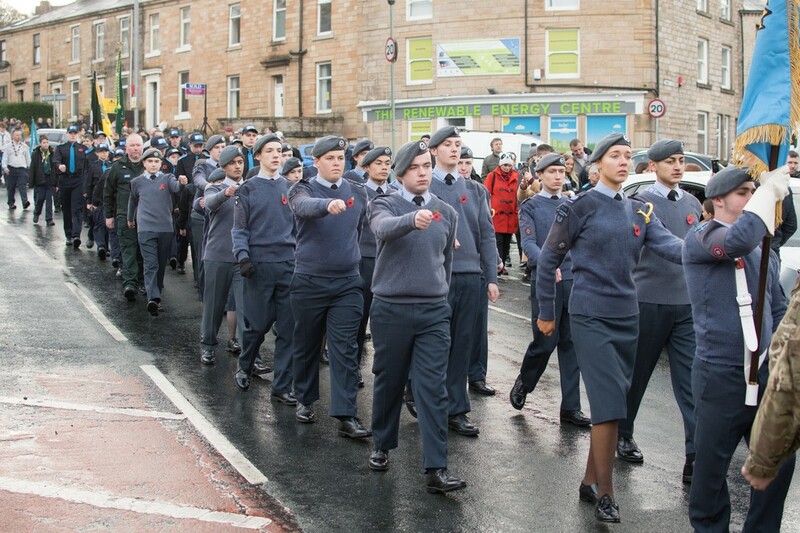 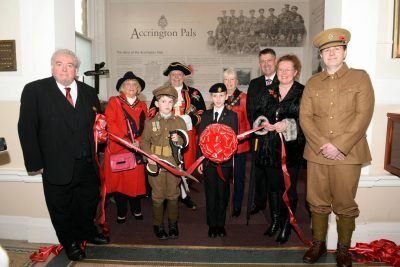 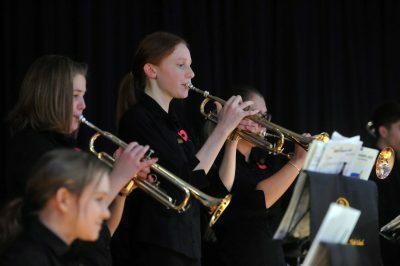 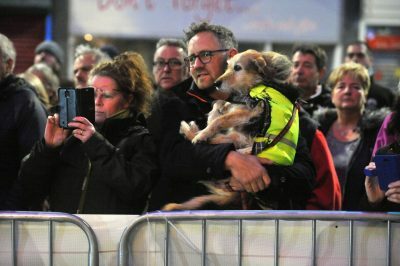 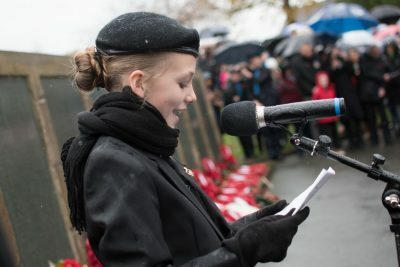 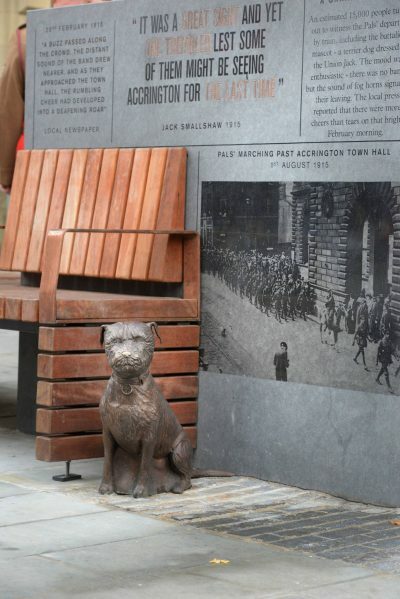 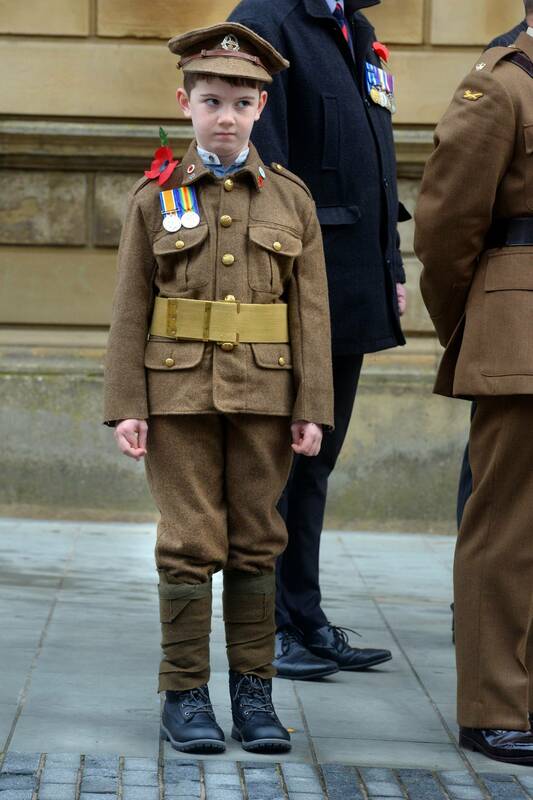 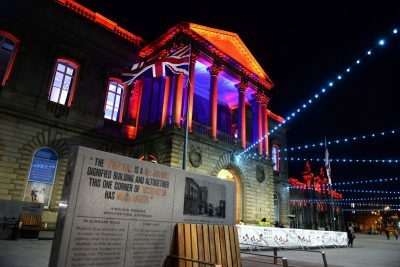 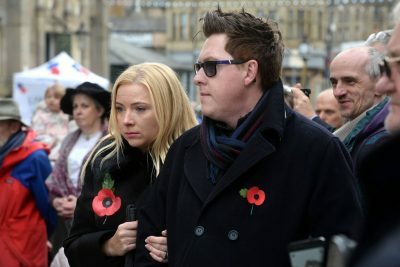 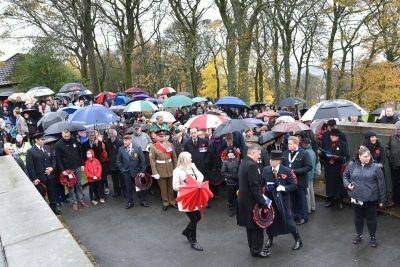 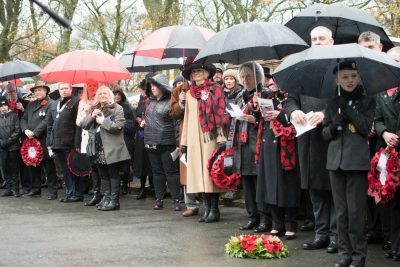 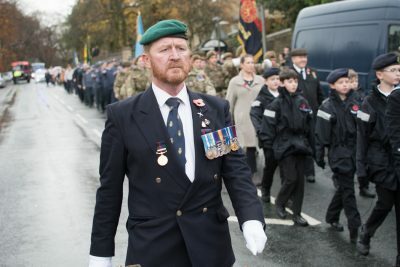 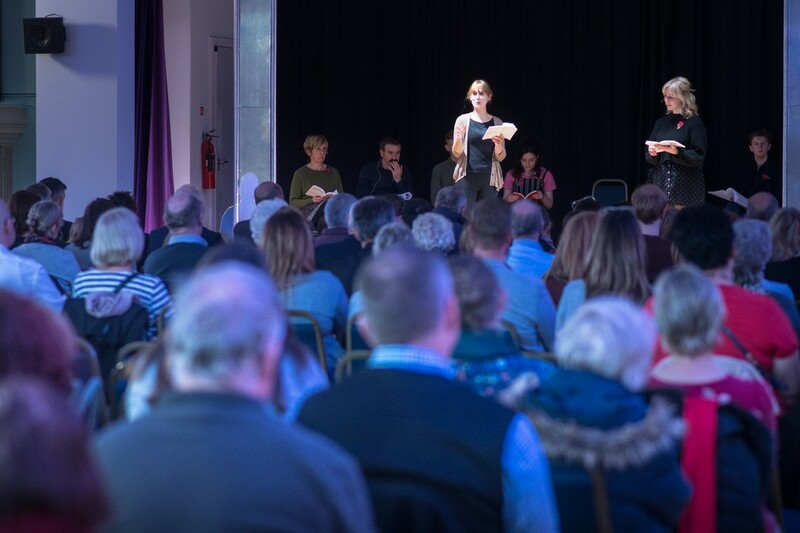 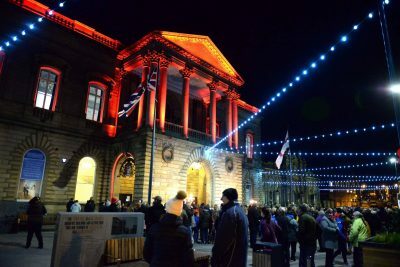 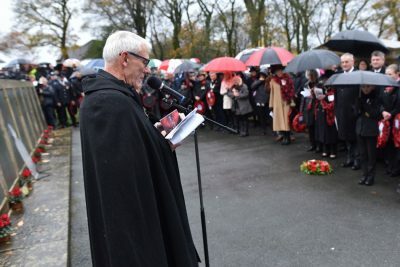 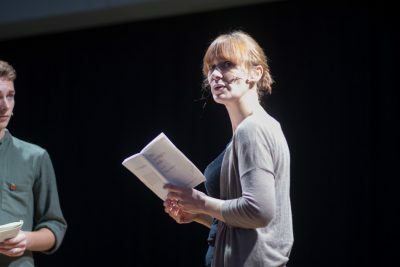 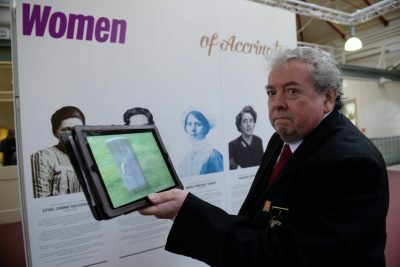 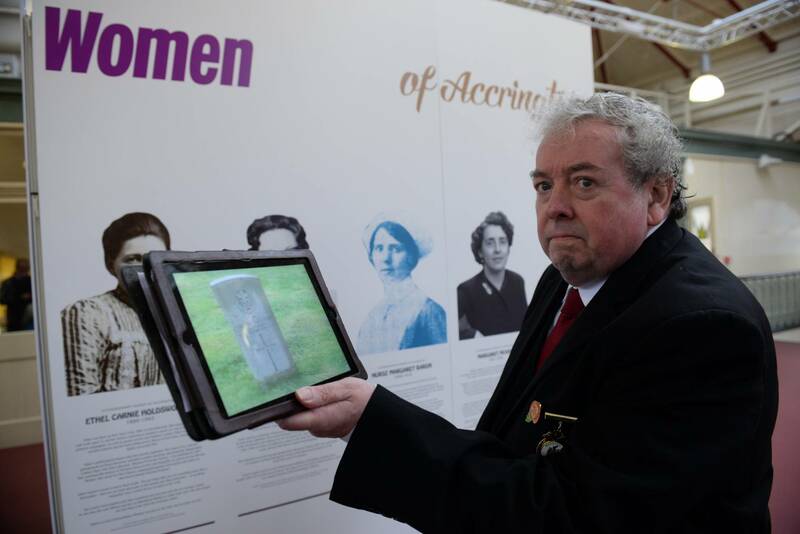 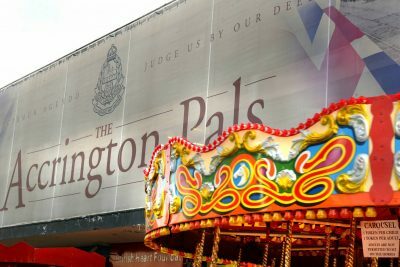 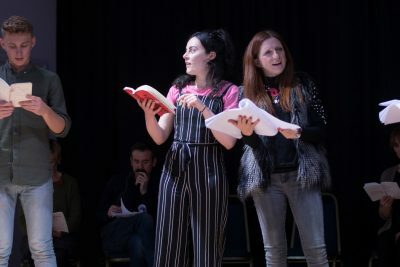 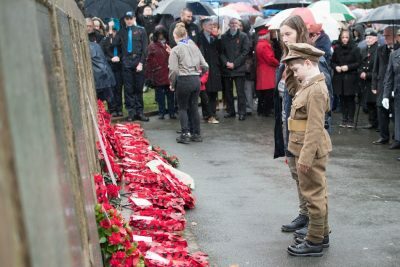 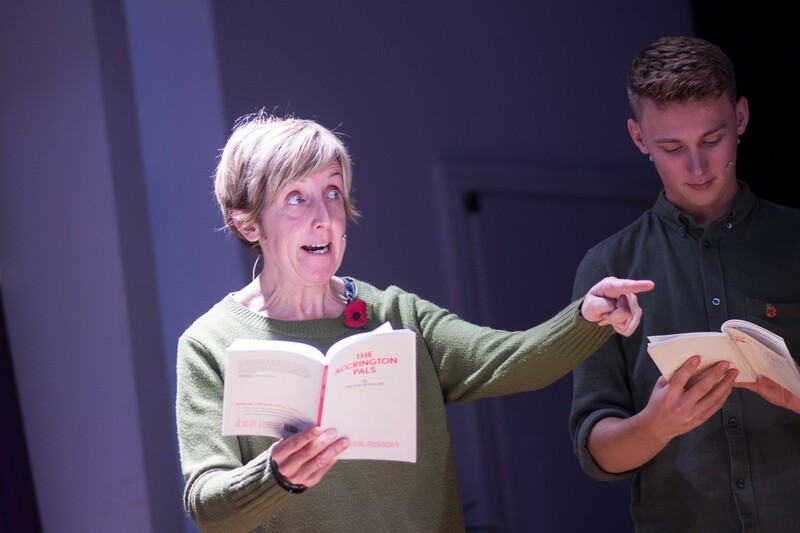 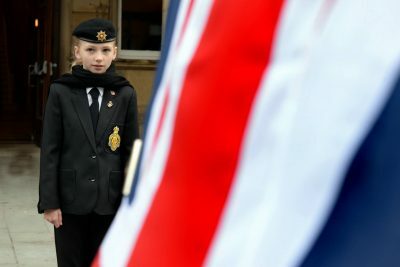 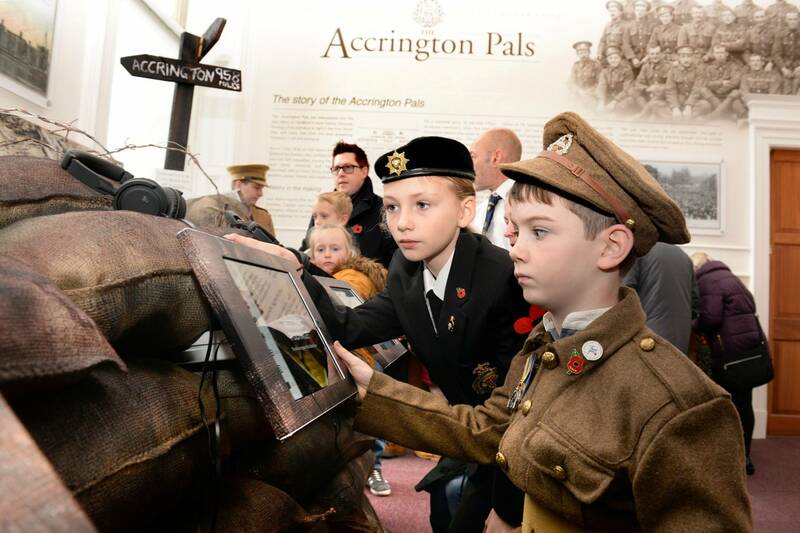 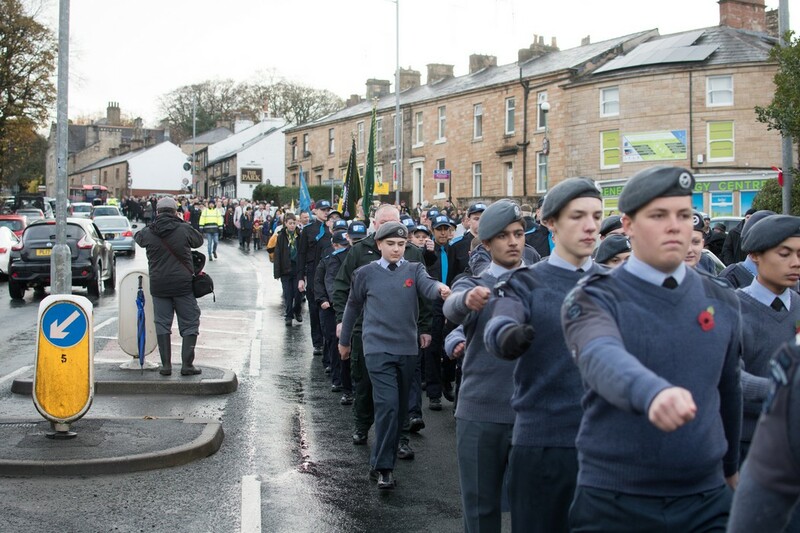 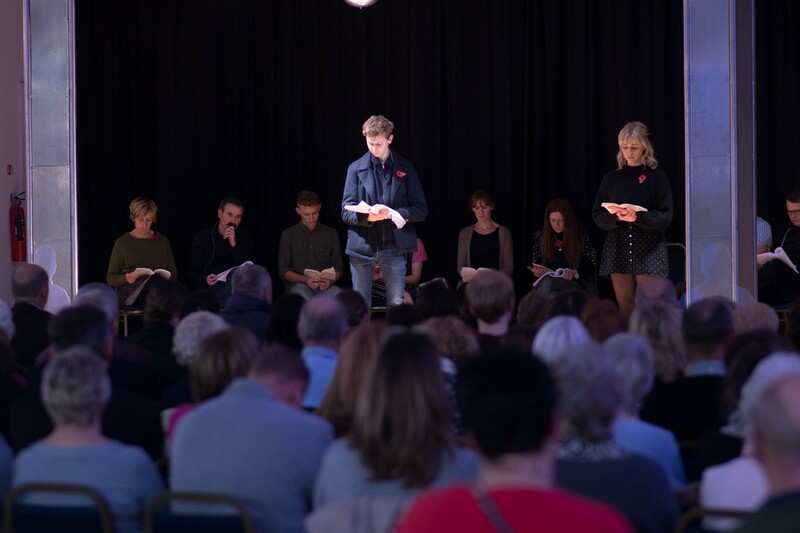 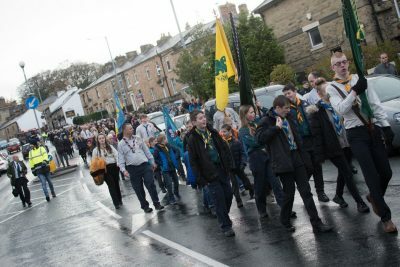 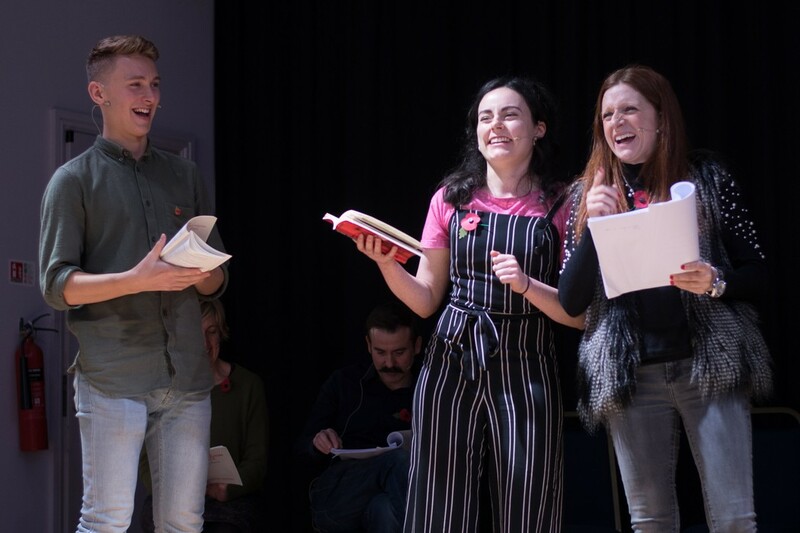 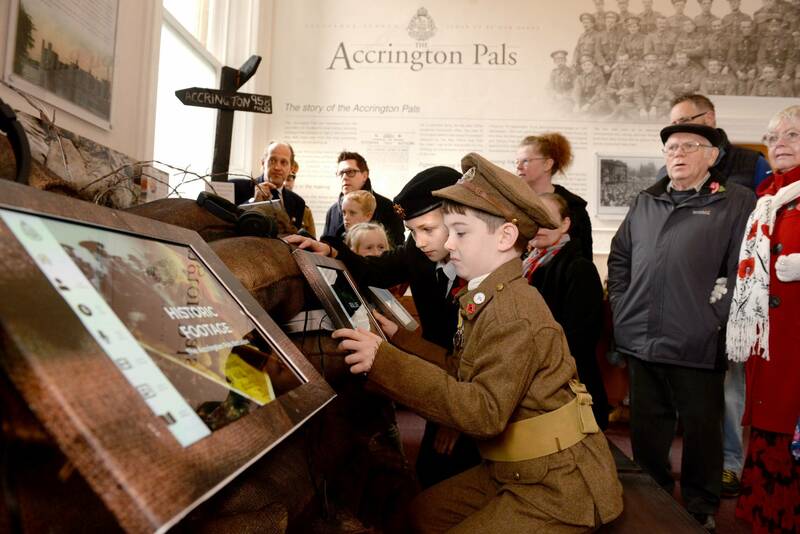 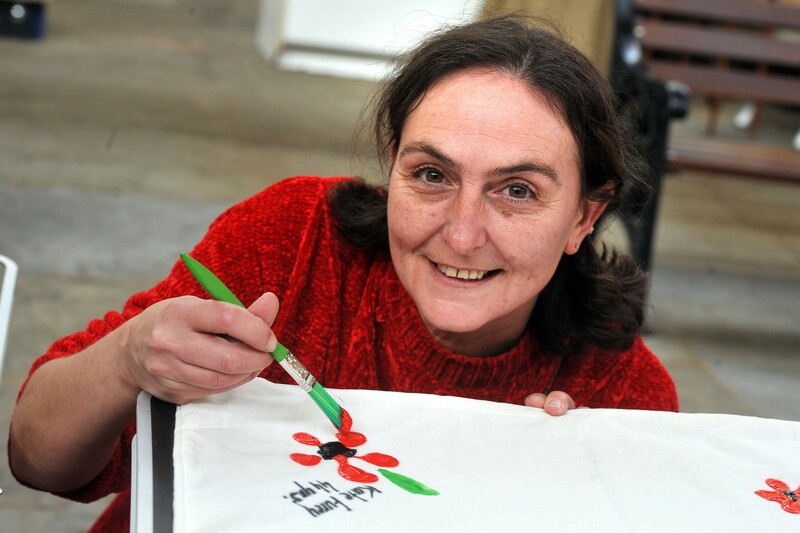 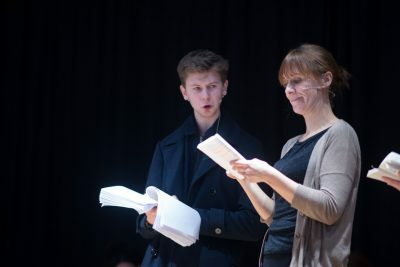 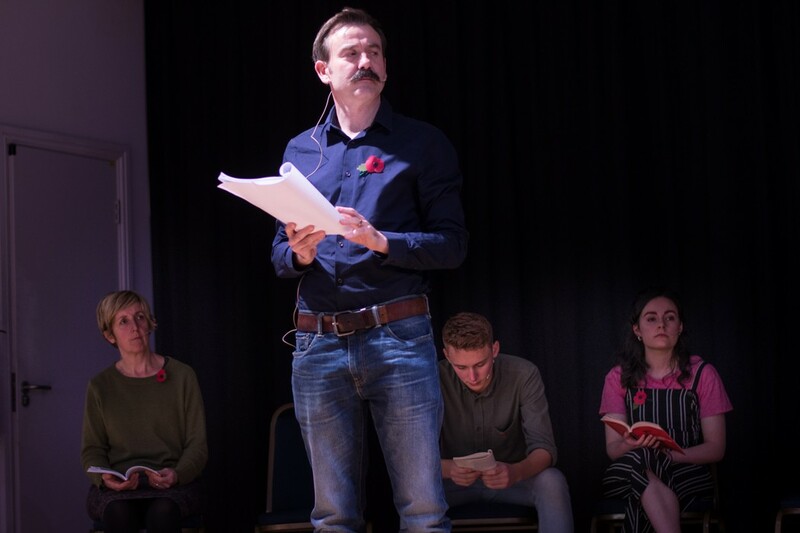 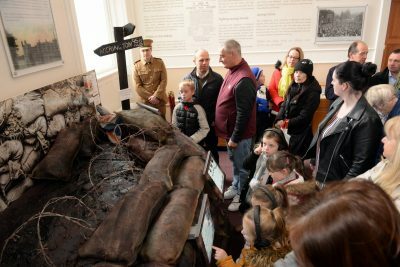 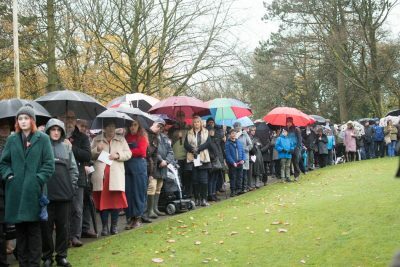 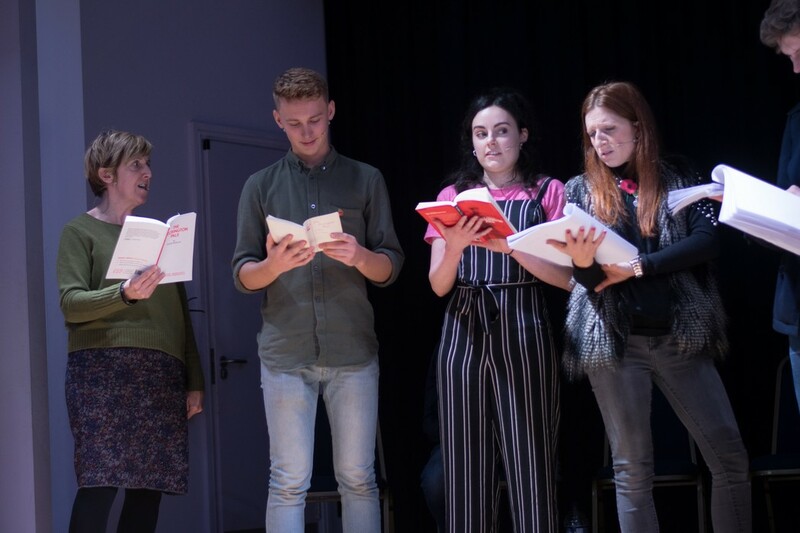 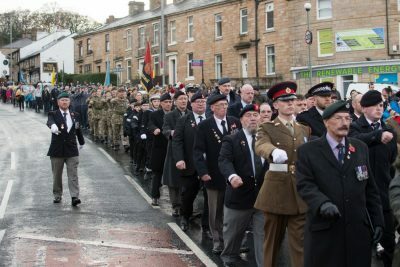 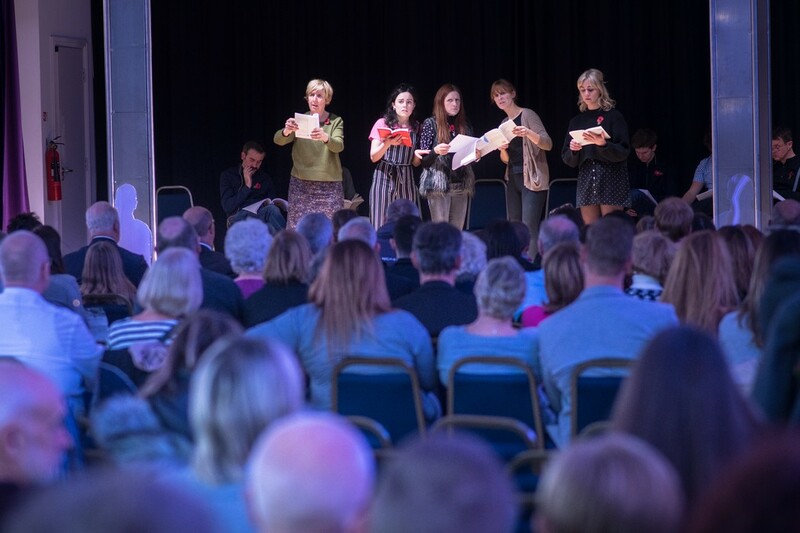 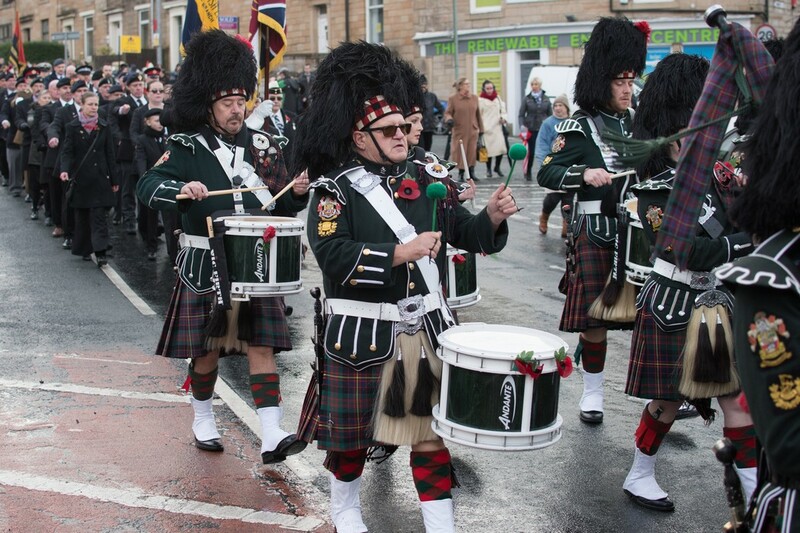 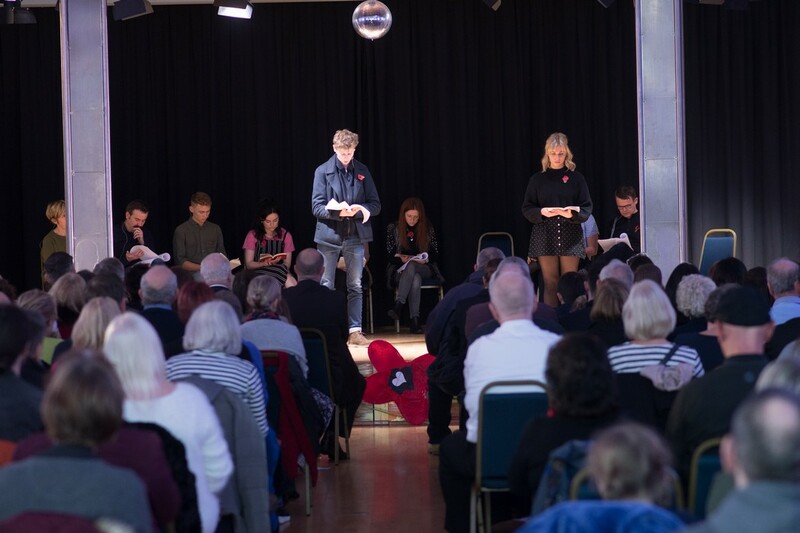 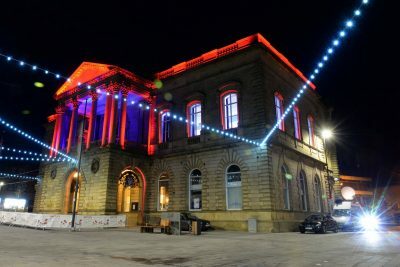 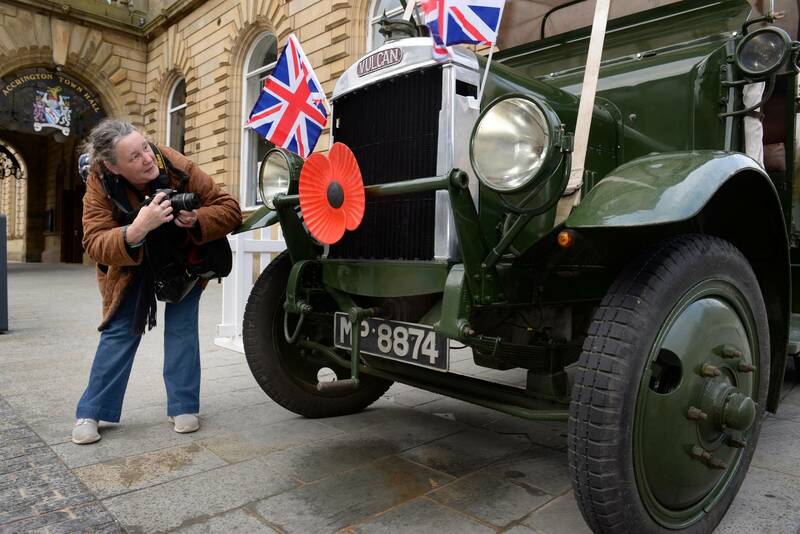 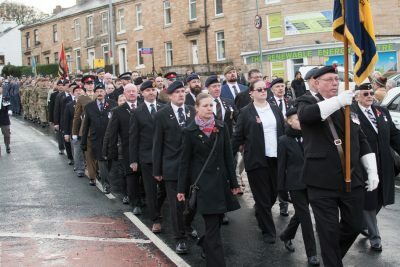 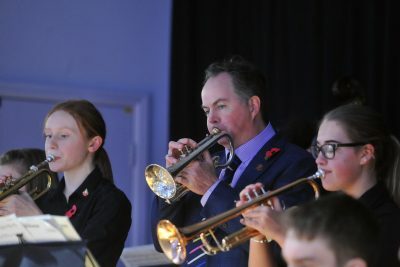 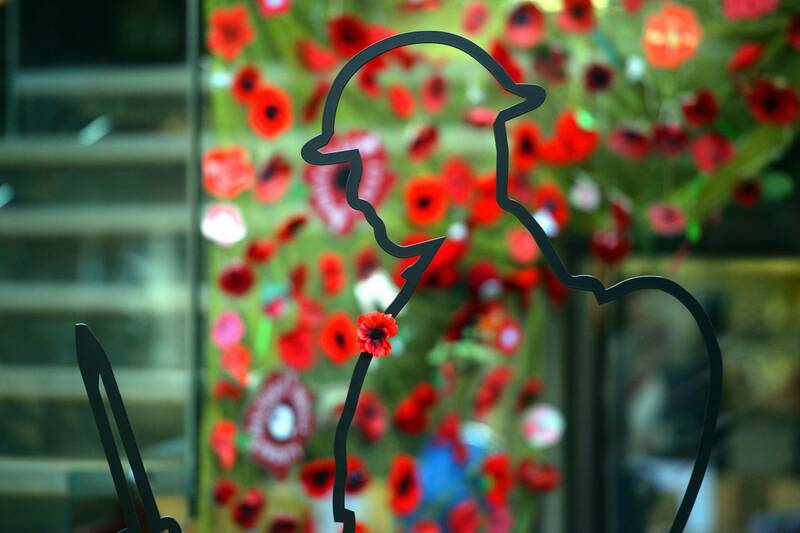 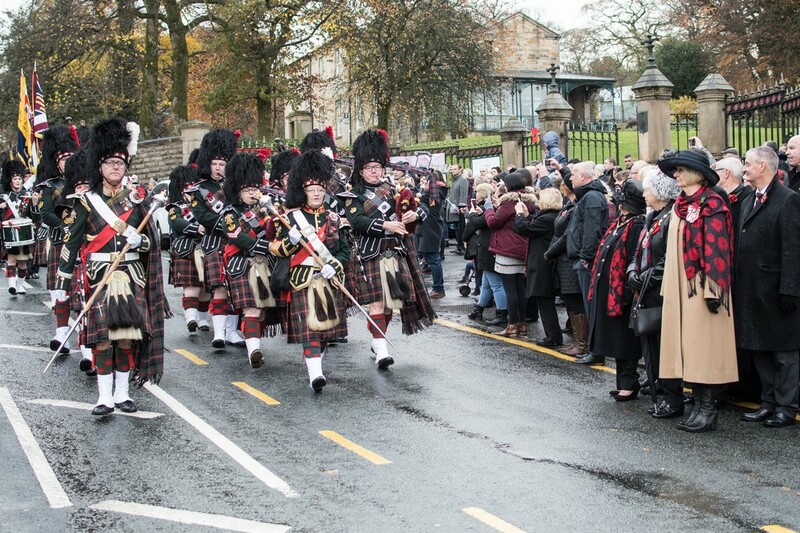 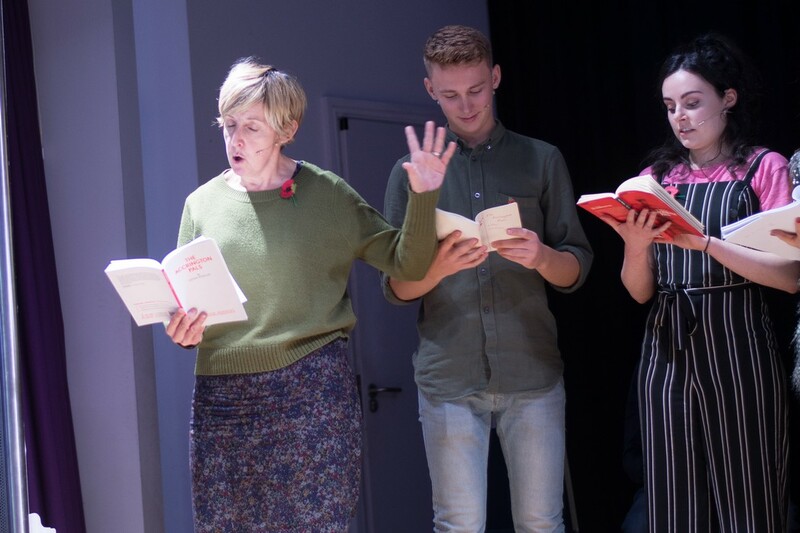 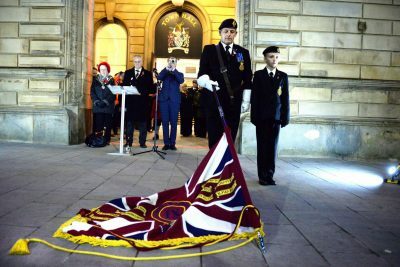 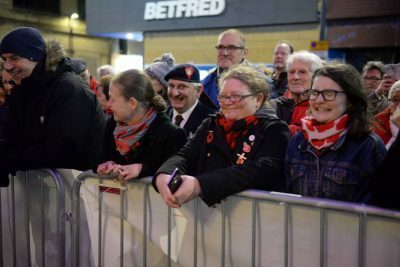 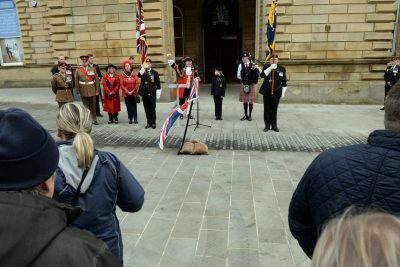 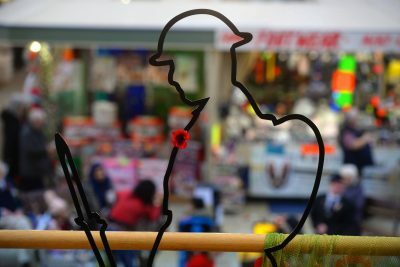 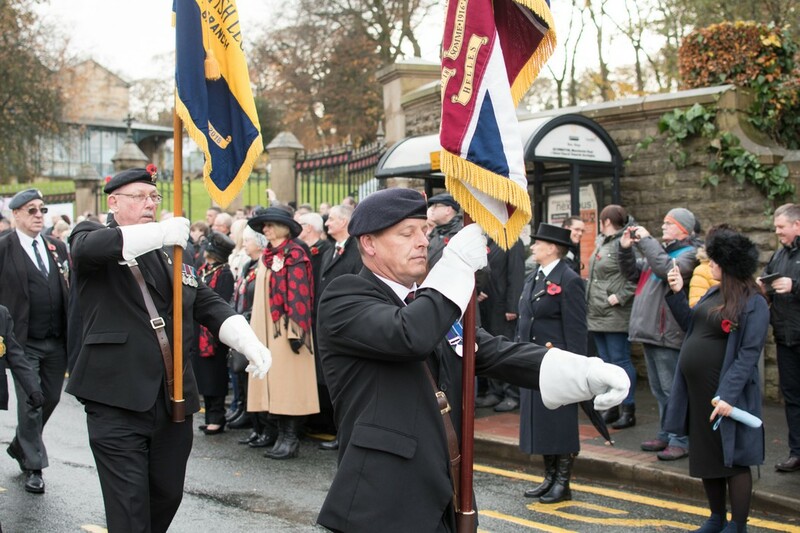 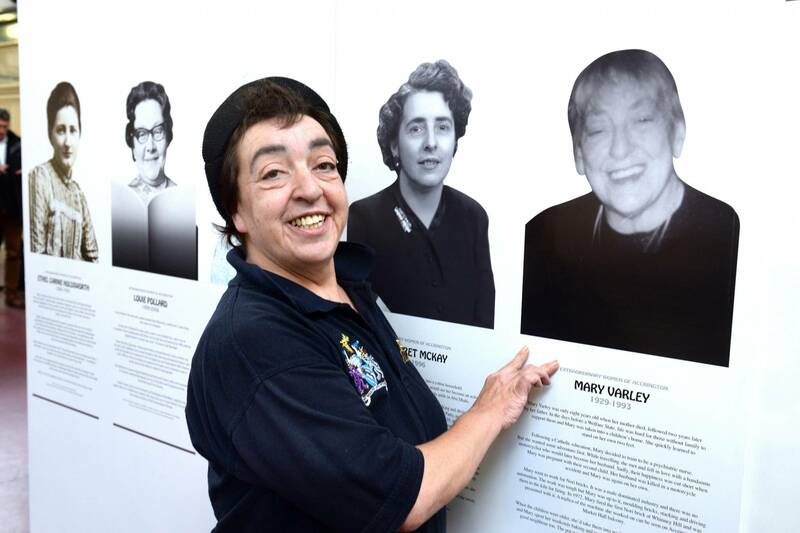 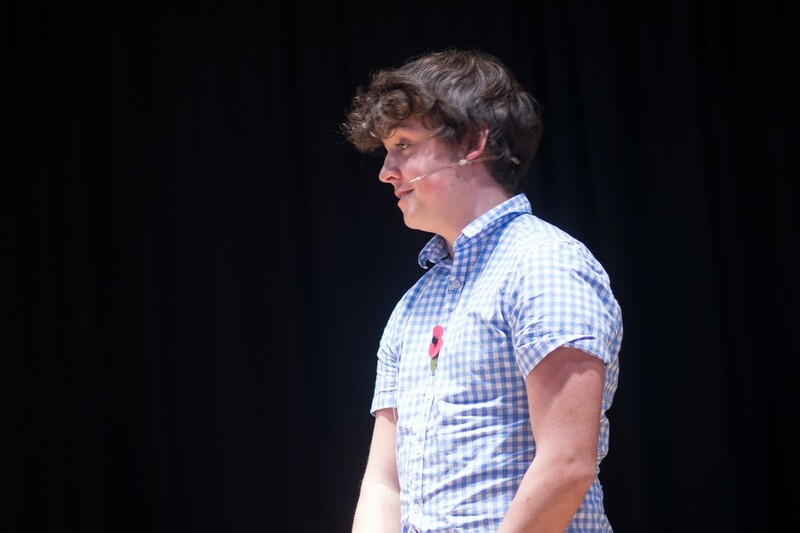 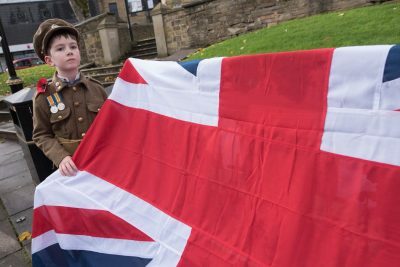 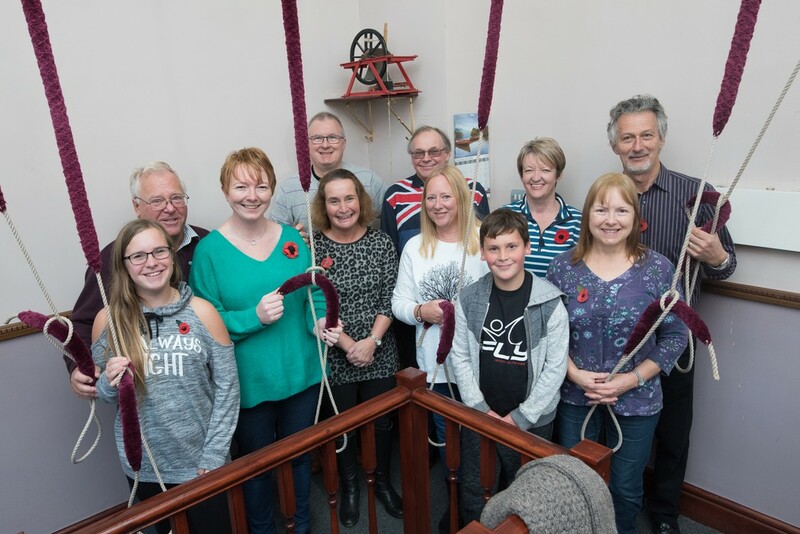 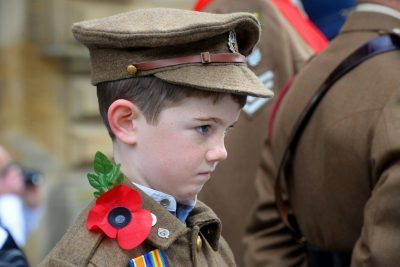 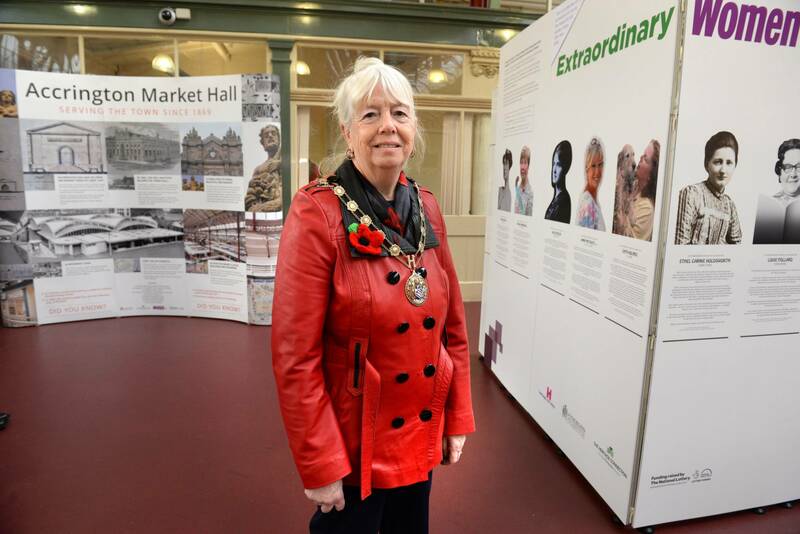 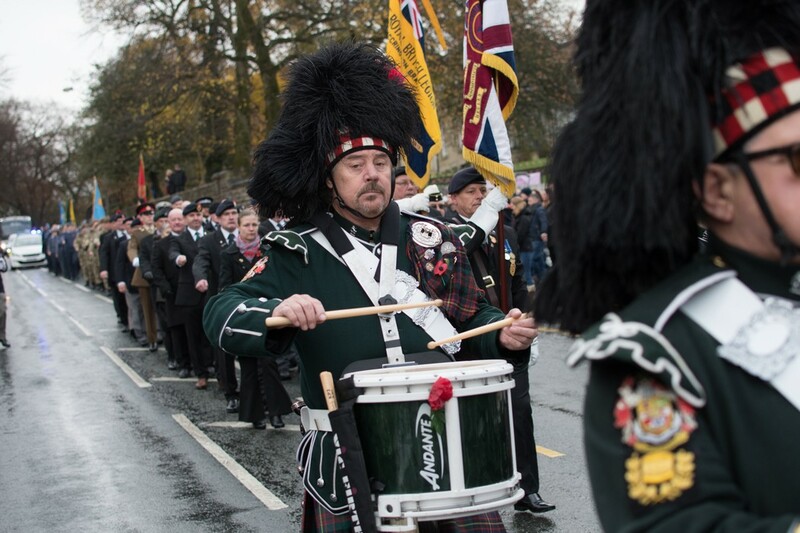 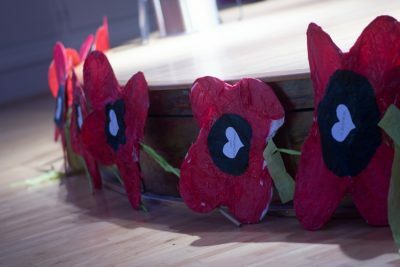 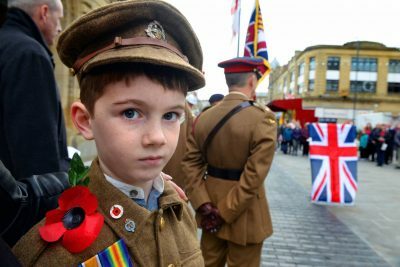 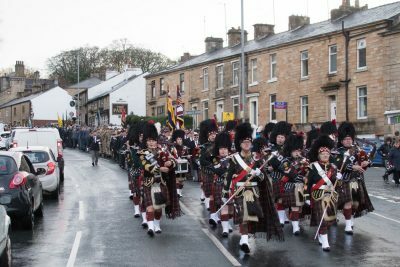 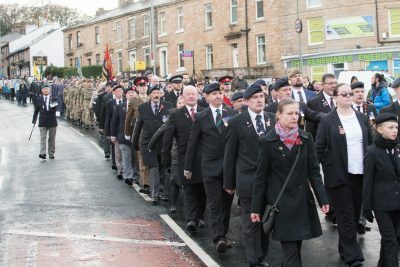 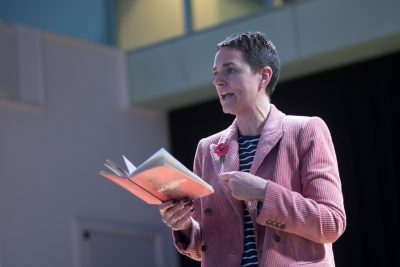 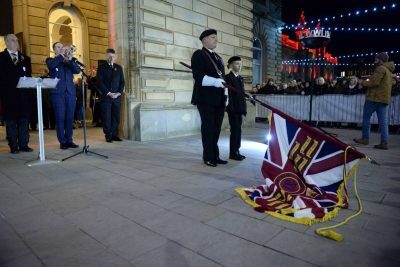 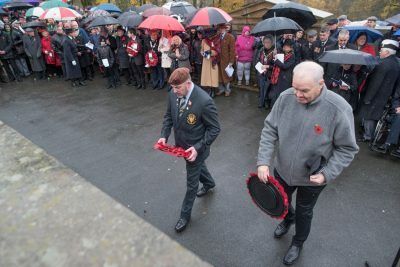 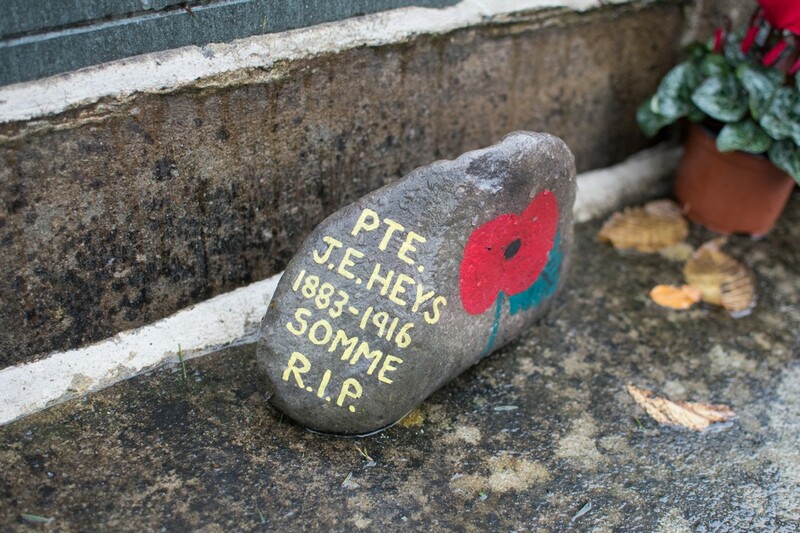 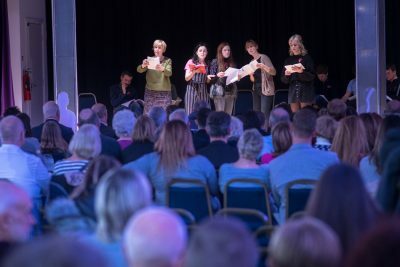 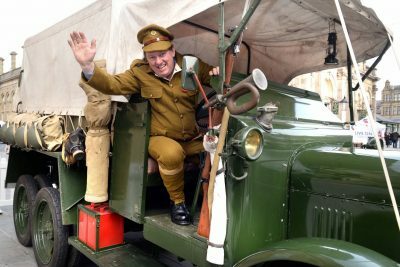 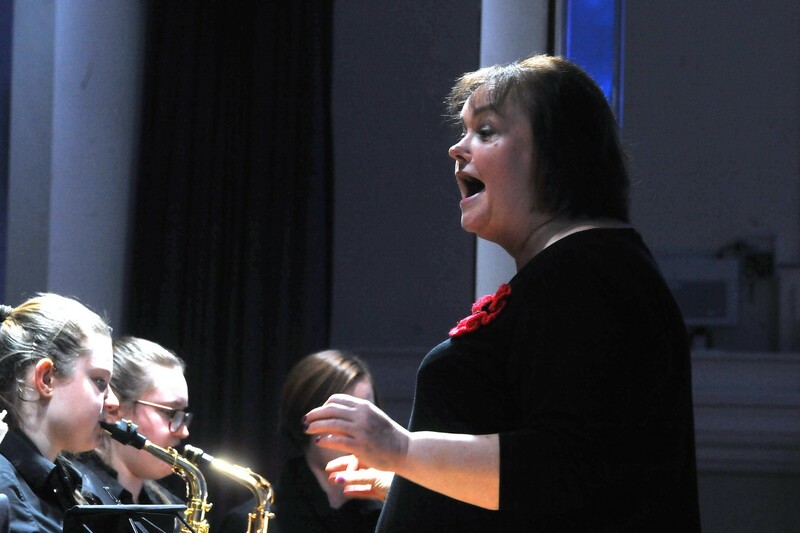 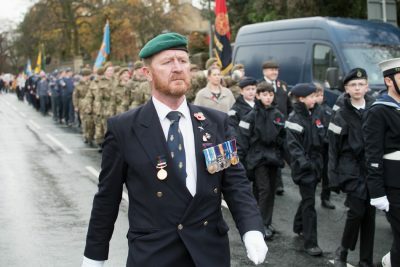 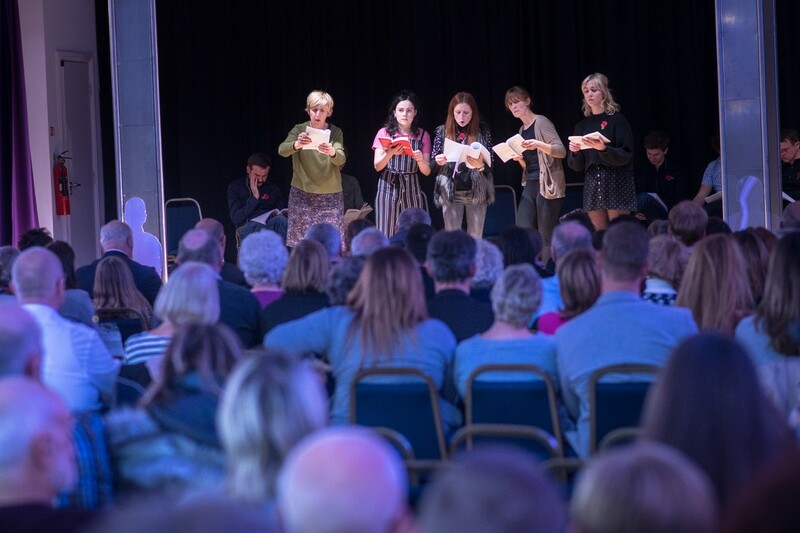 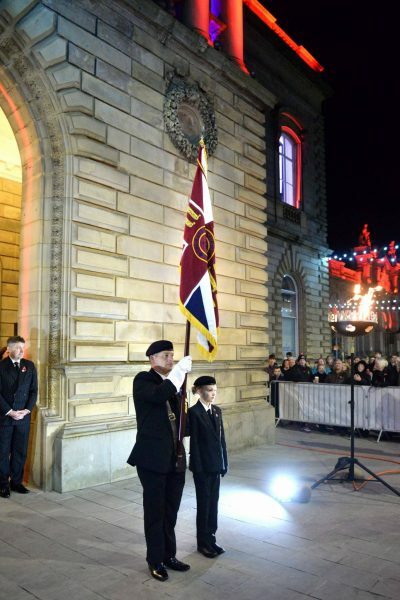 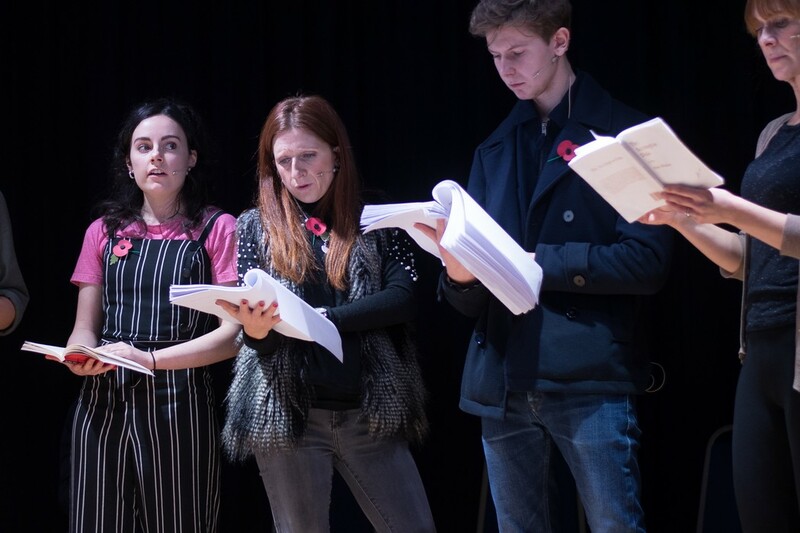 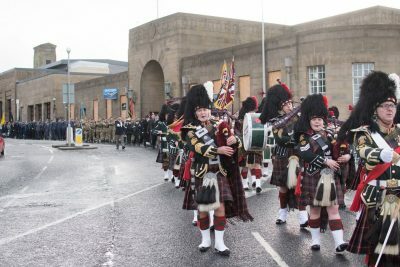 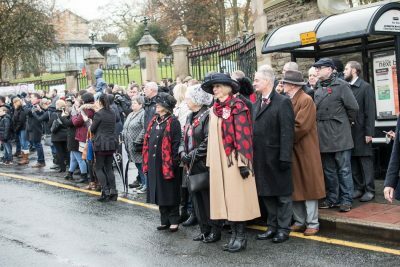 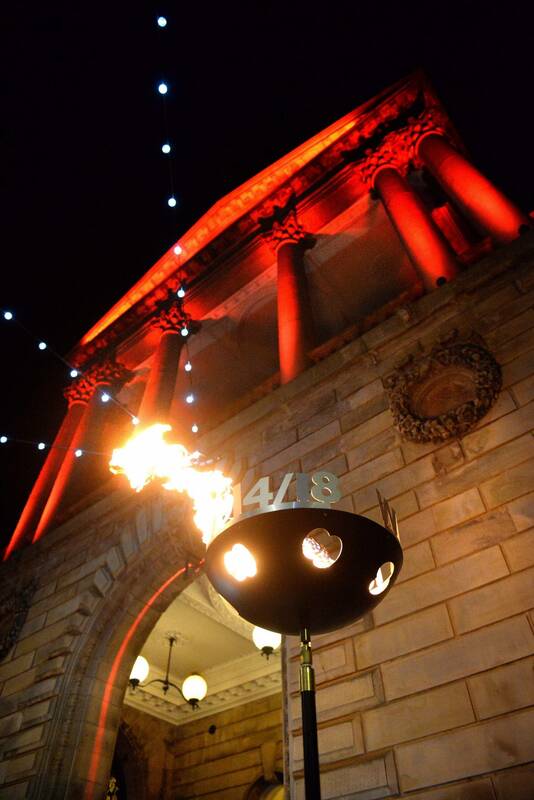 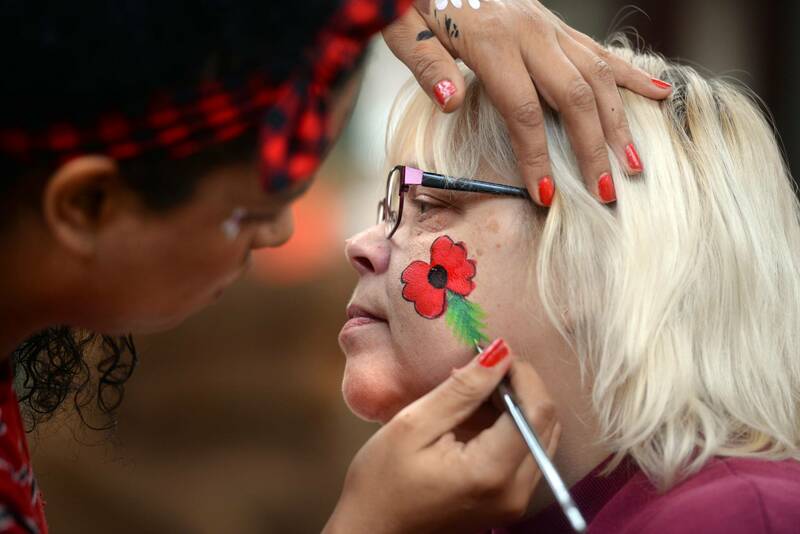 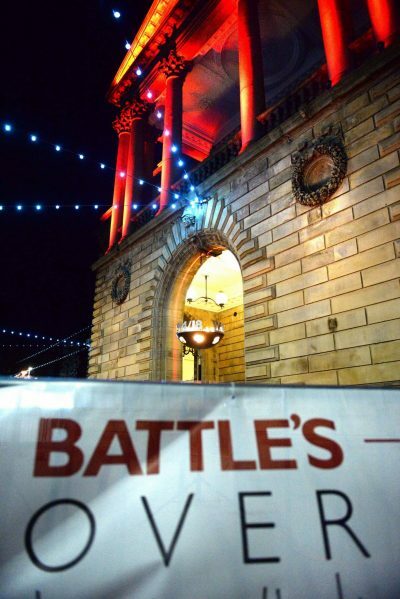 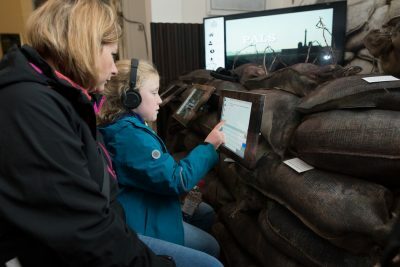 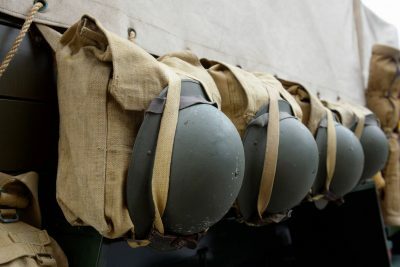 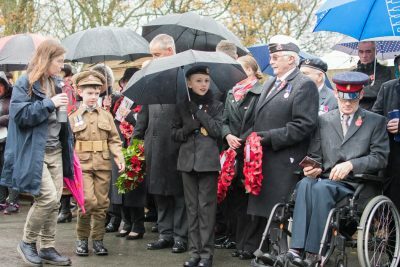 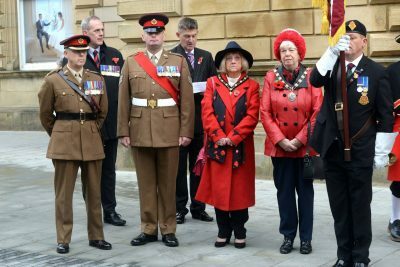 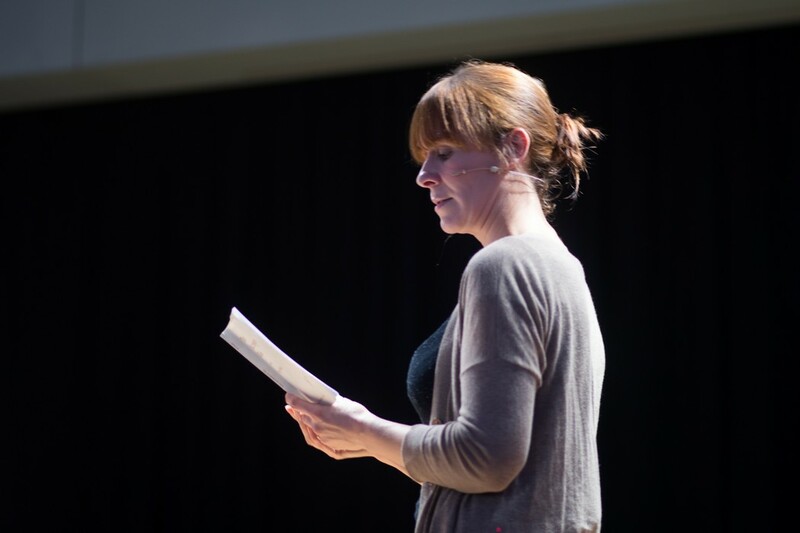 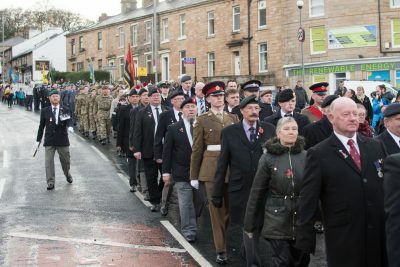 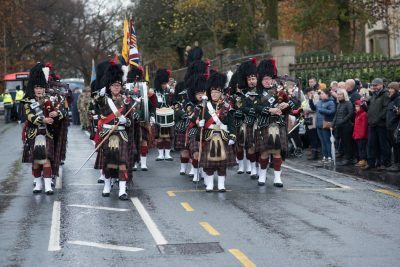 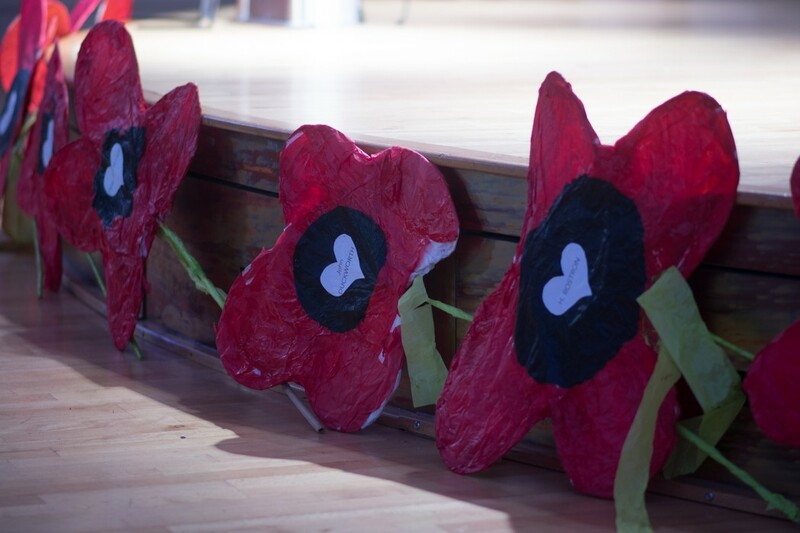 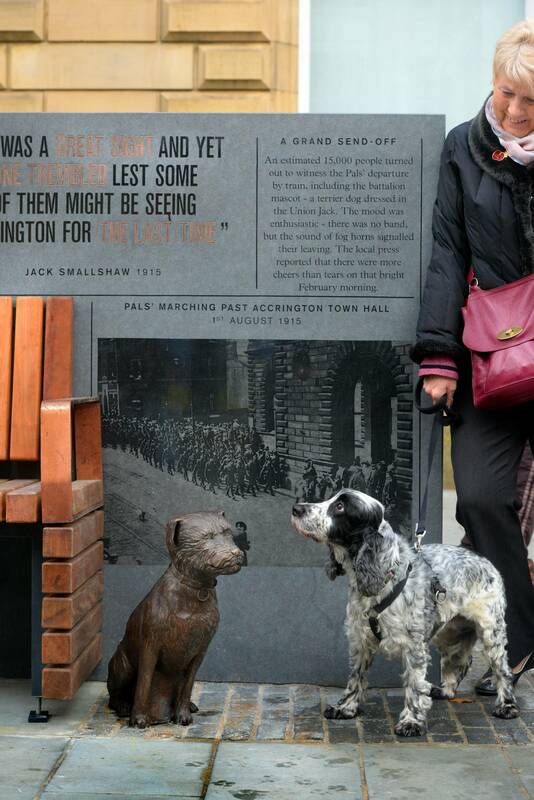 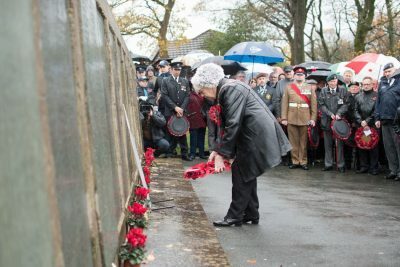 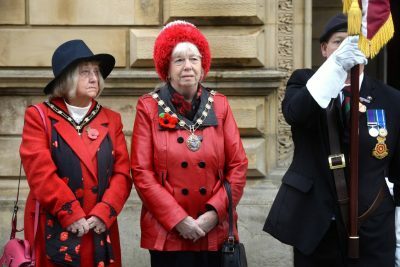 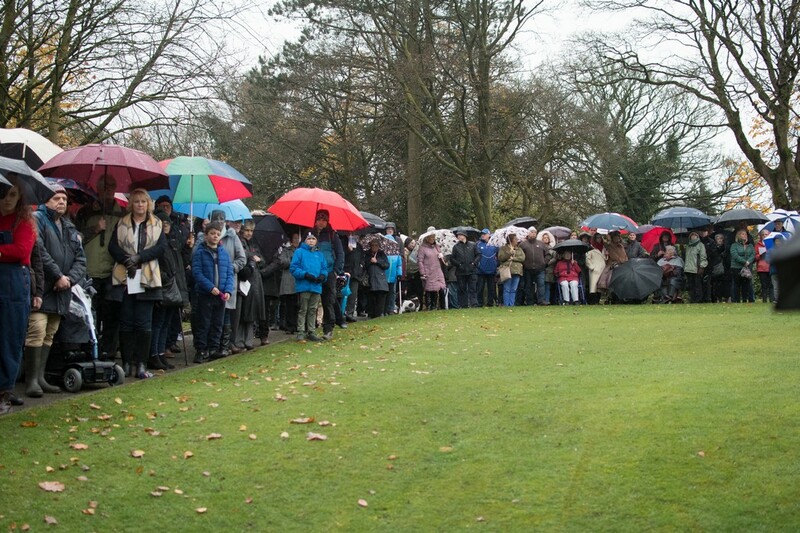 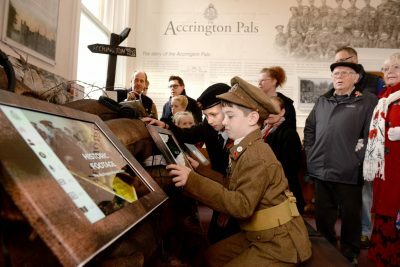 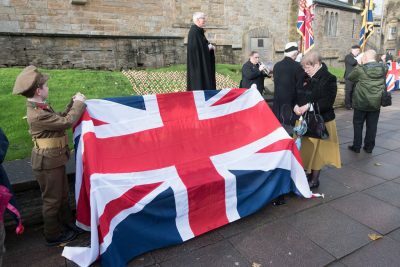 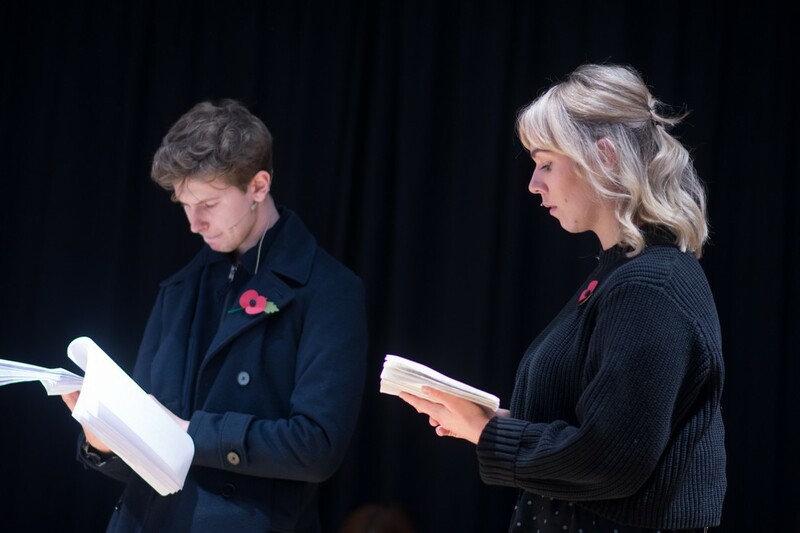 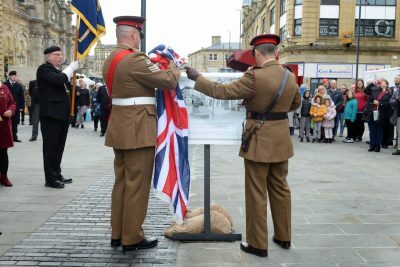 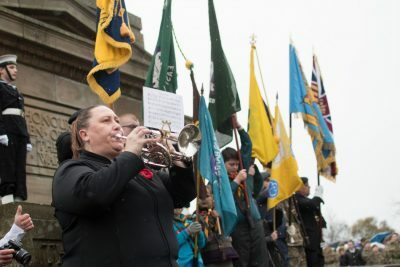 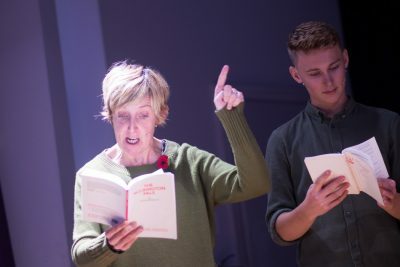 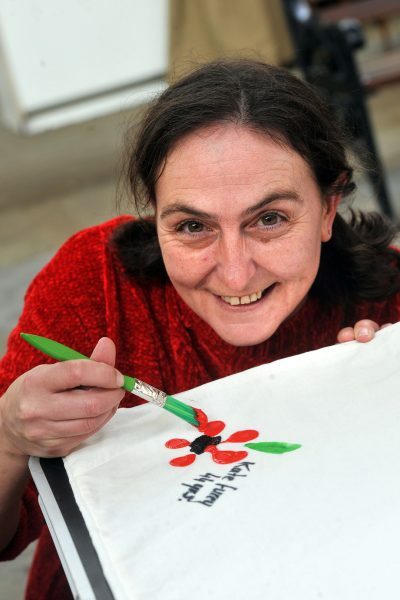 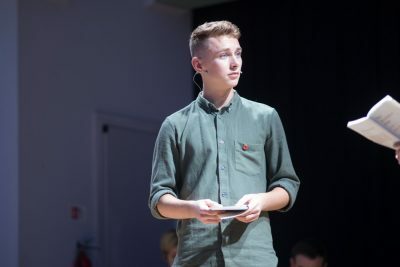 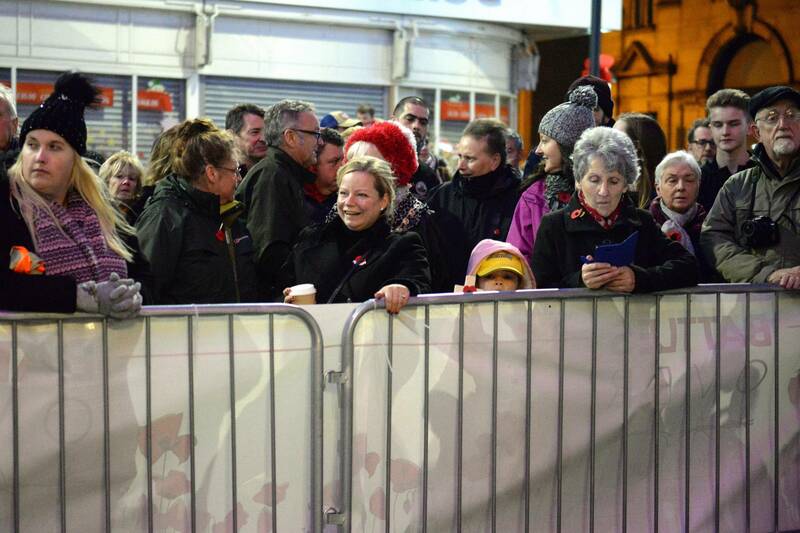 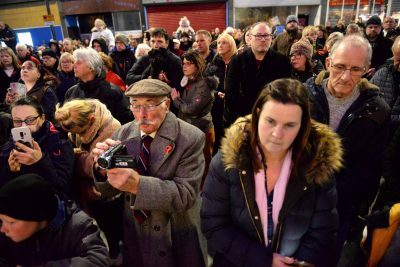 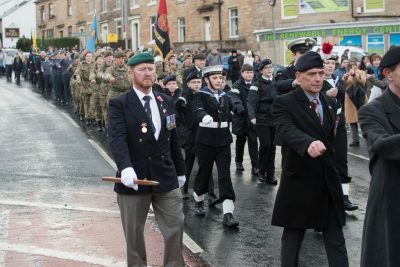 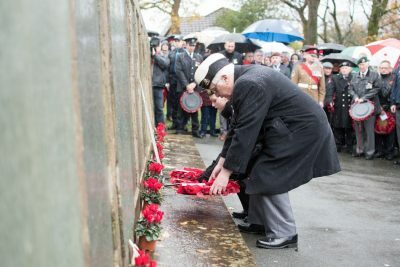 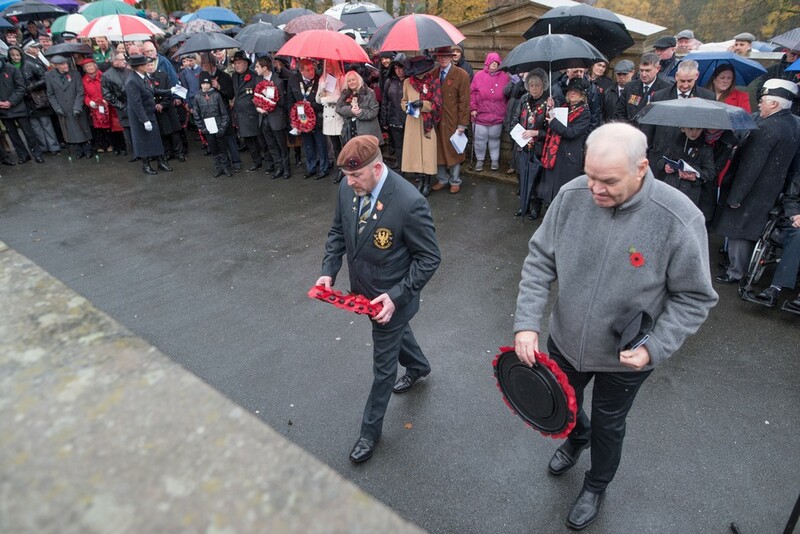 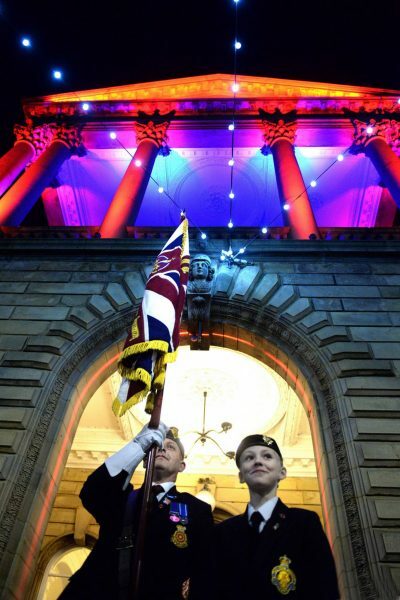 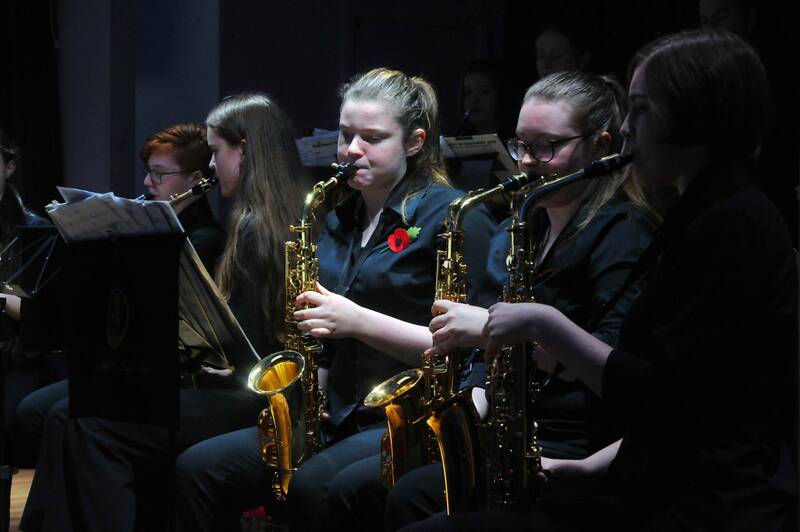 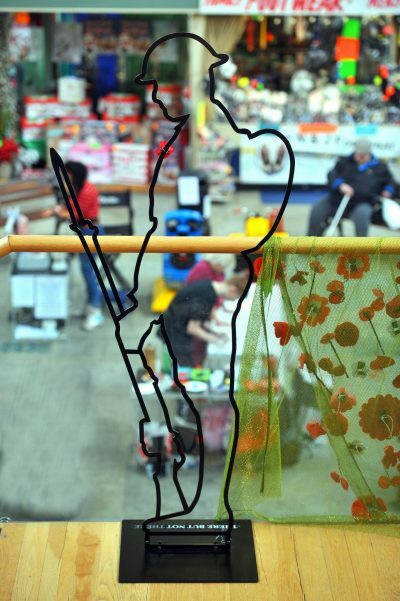 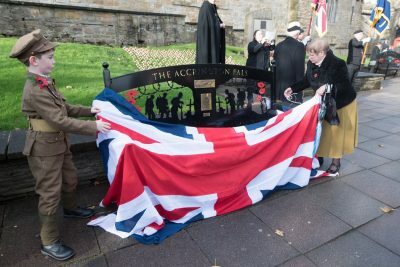 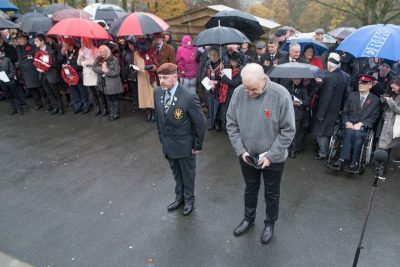 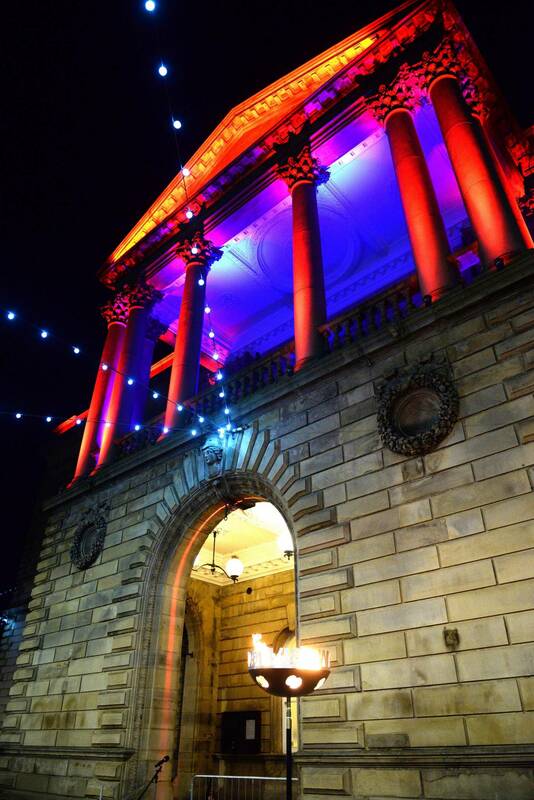 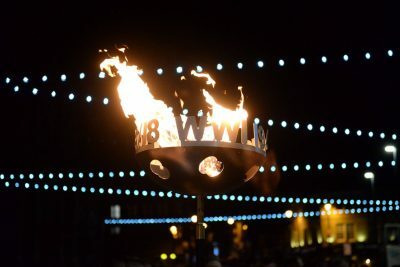 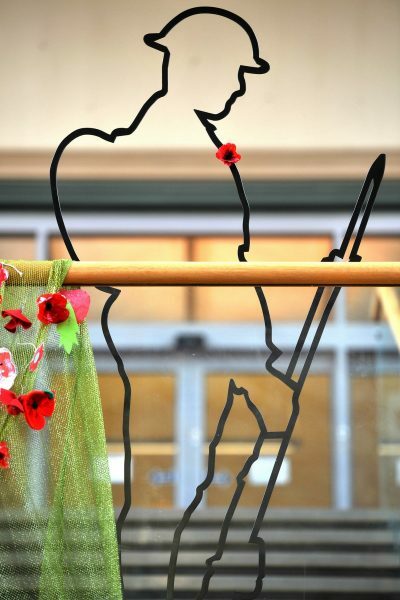 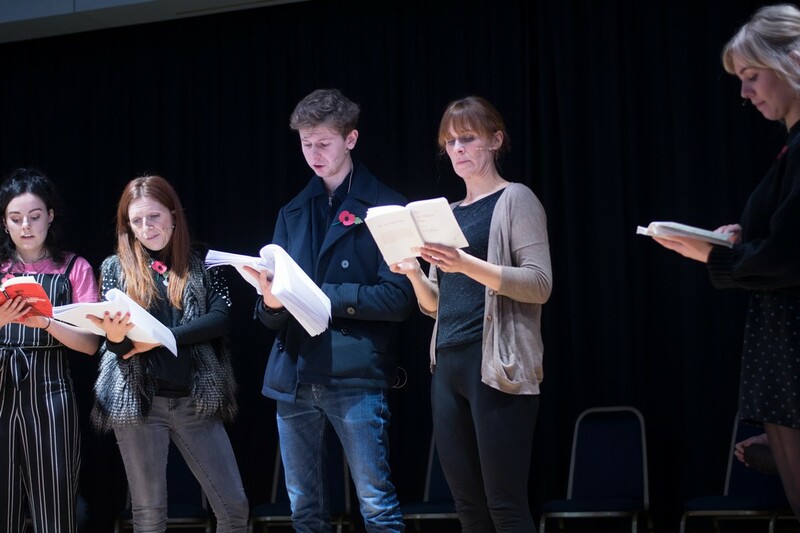 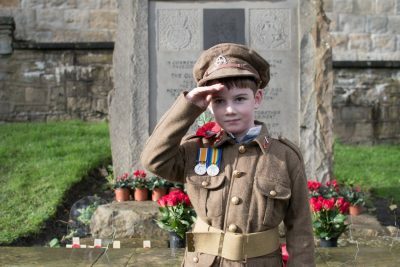 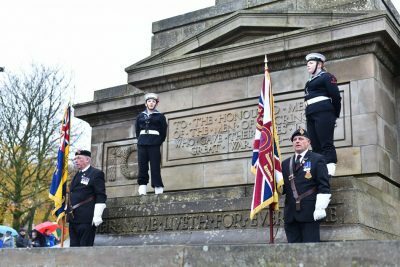 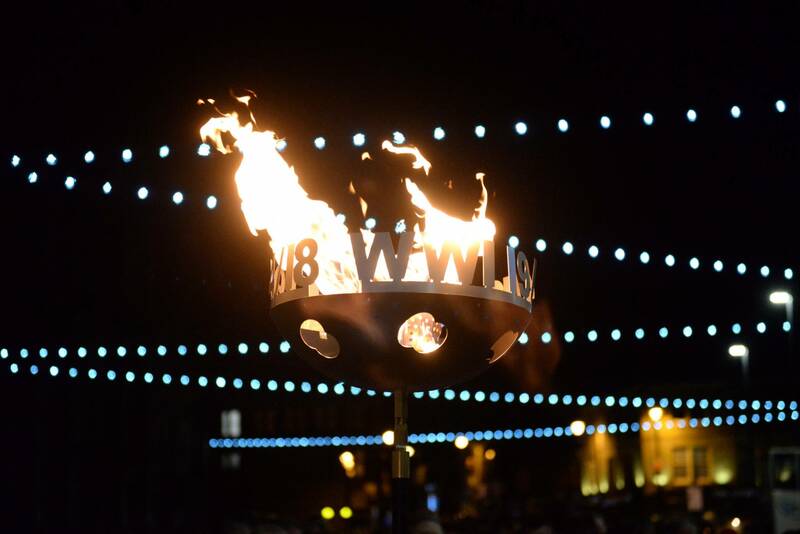 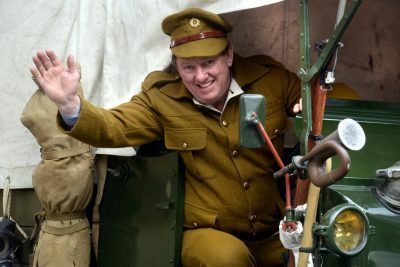 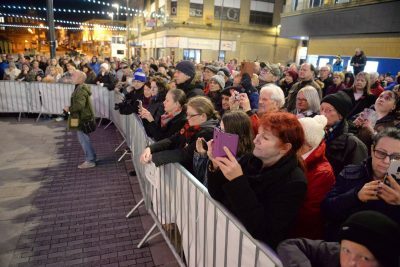 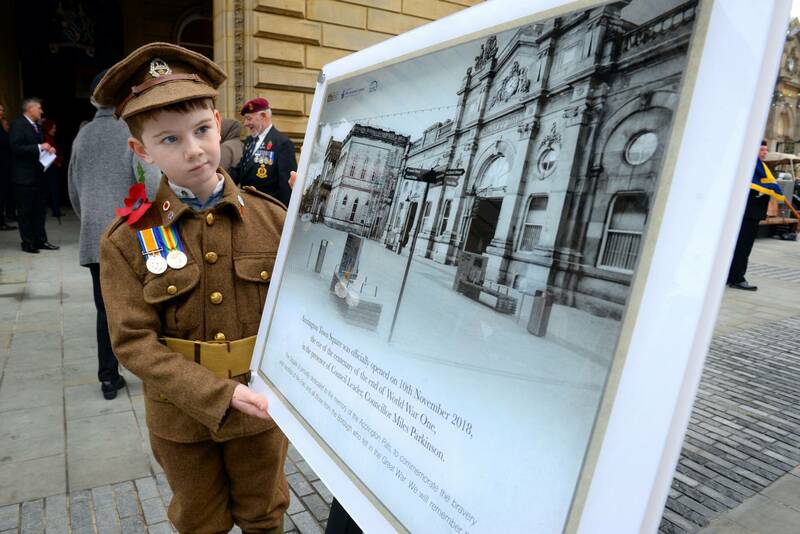 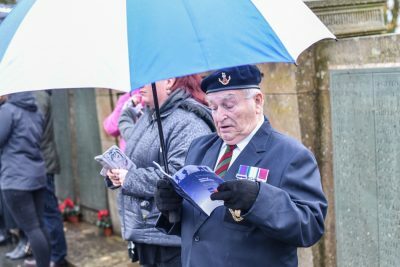 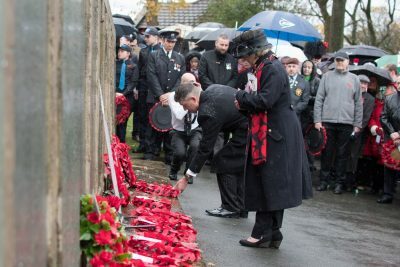 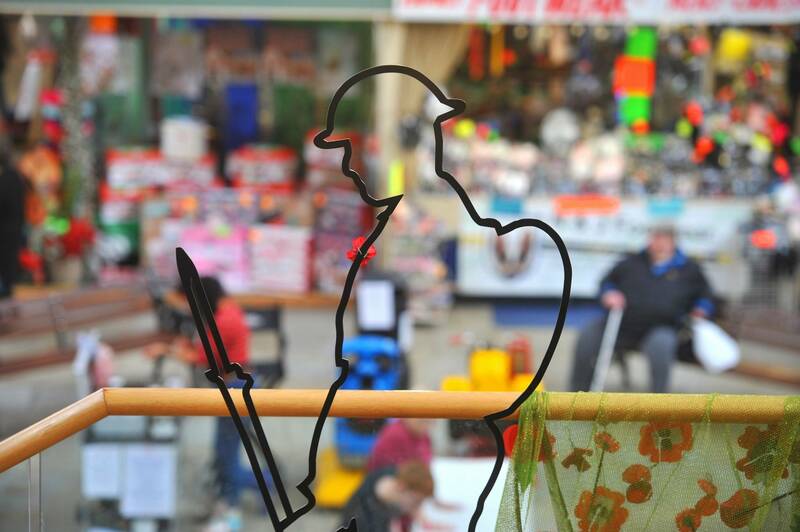 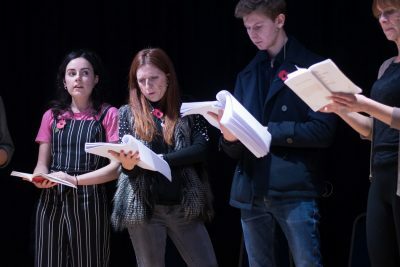 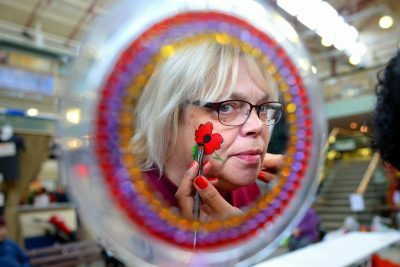 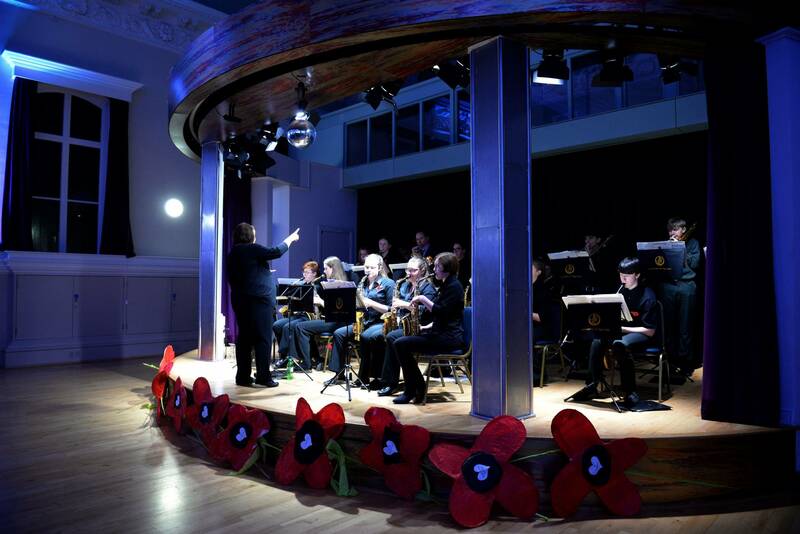 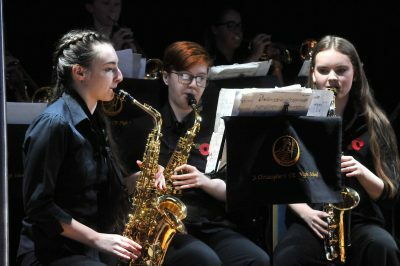 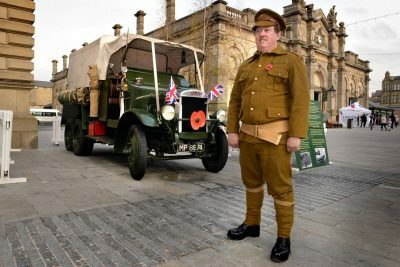 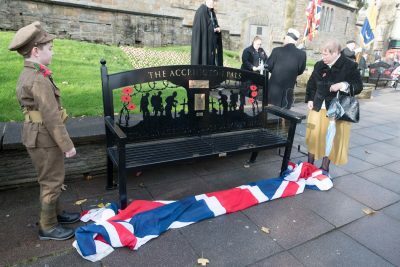 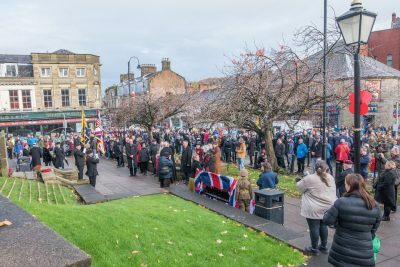 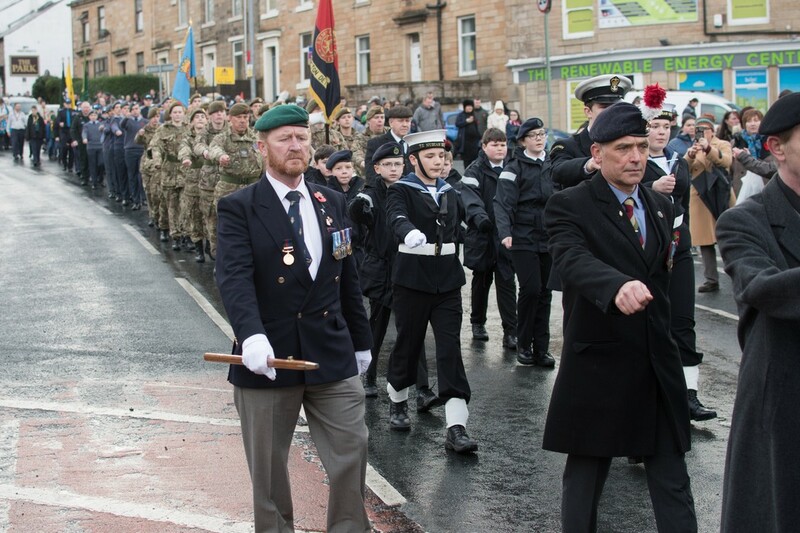 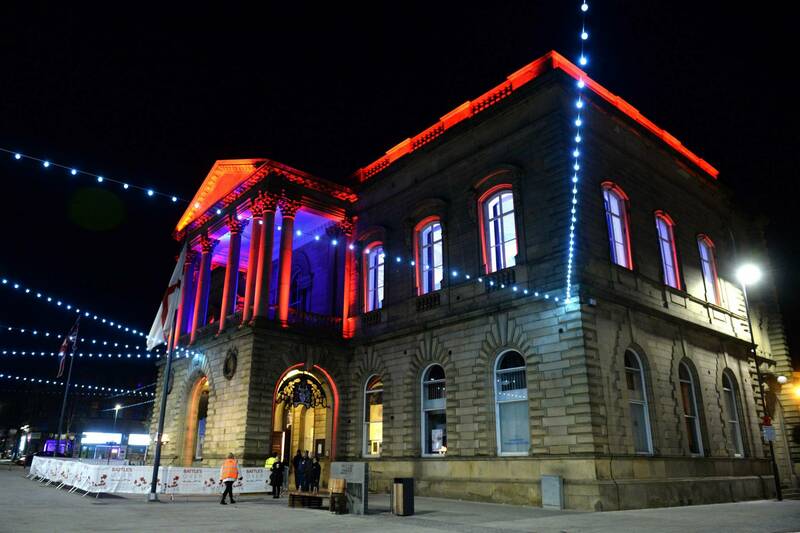 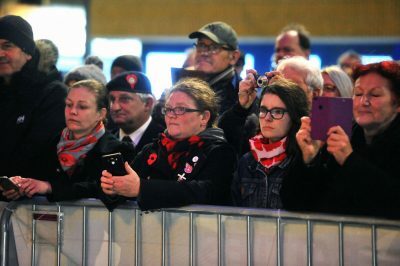 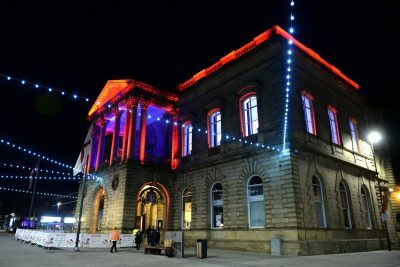 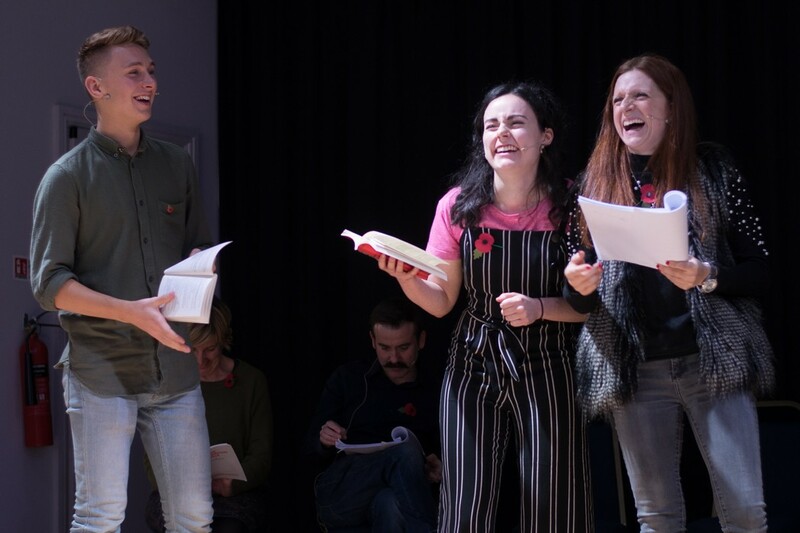 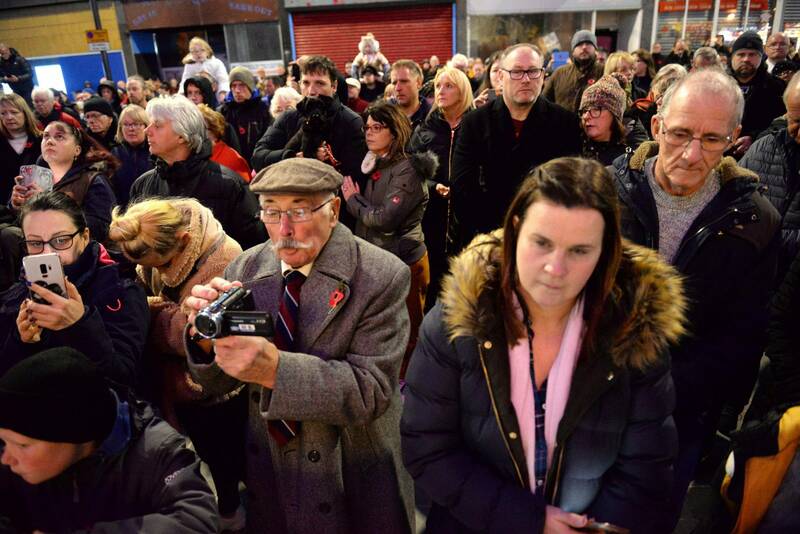 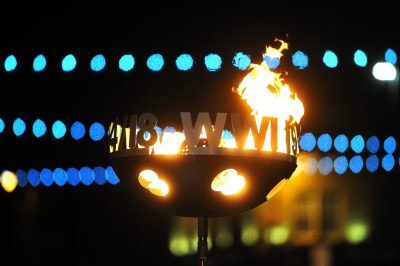 There was so much going on, including a free reading by Julie Hesmondhalgh, Elianne Byrne and all the other fabulous actors of the Accrington Pals Play, who delivered such a fitting tribute to the Pals in the building the Pals marched past on their way to war over one hundred years ago. 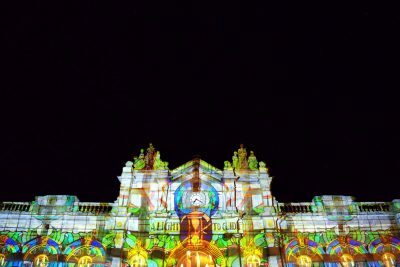 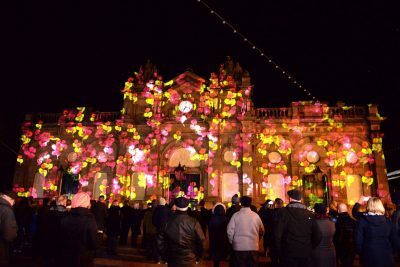 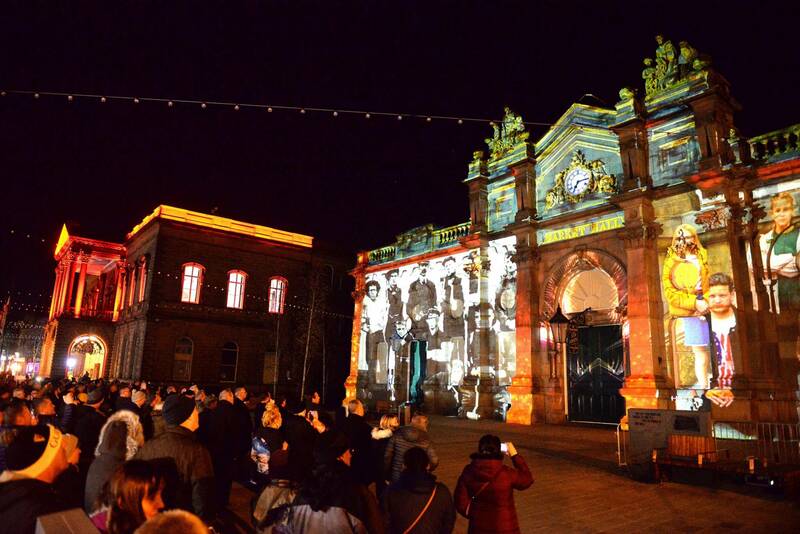 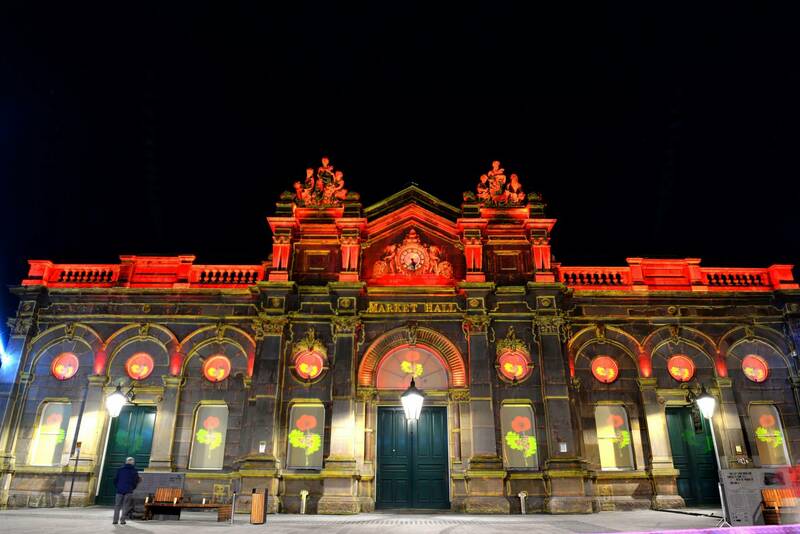 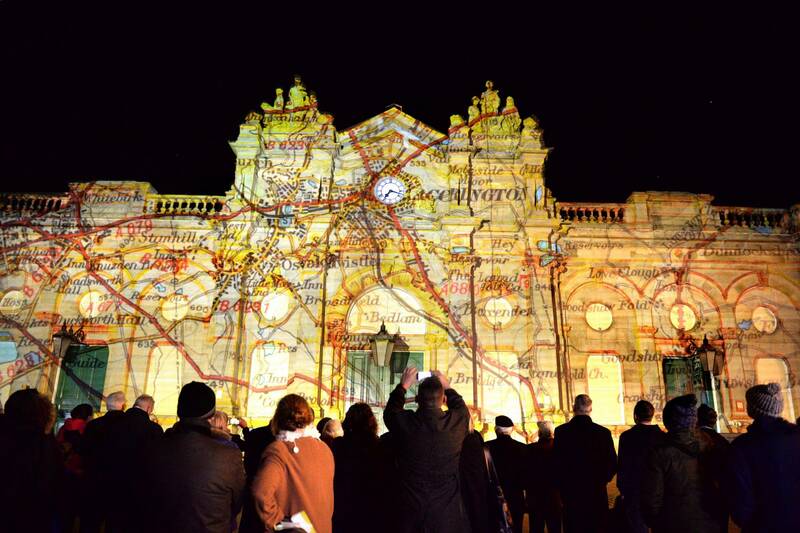 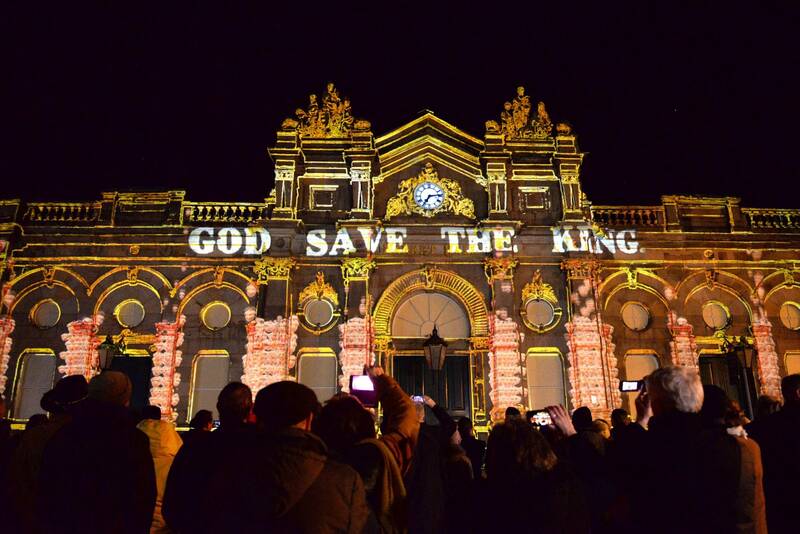 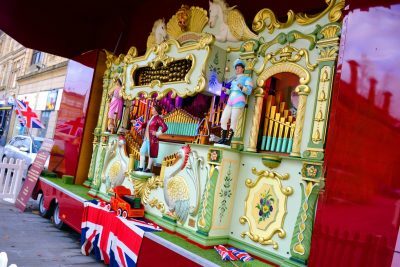 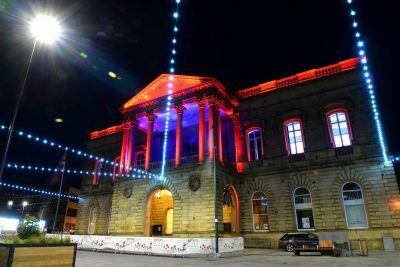 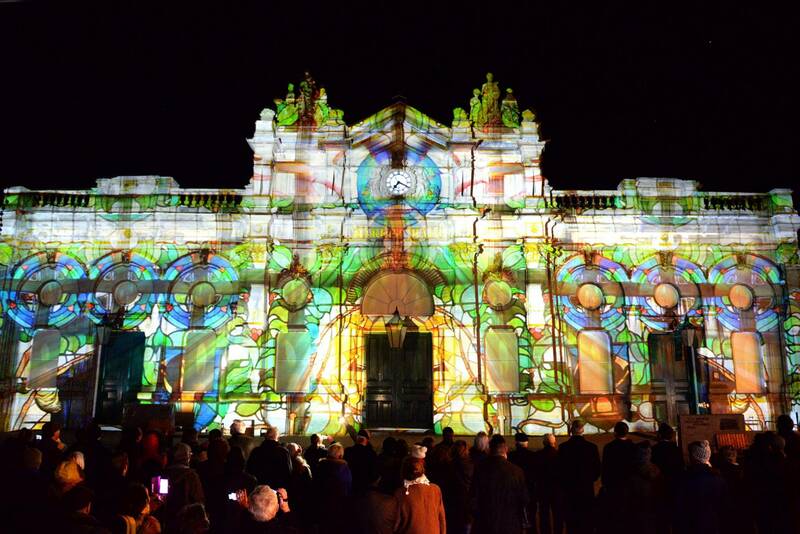 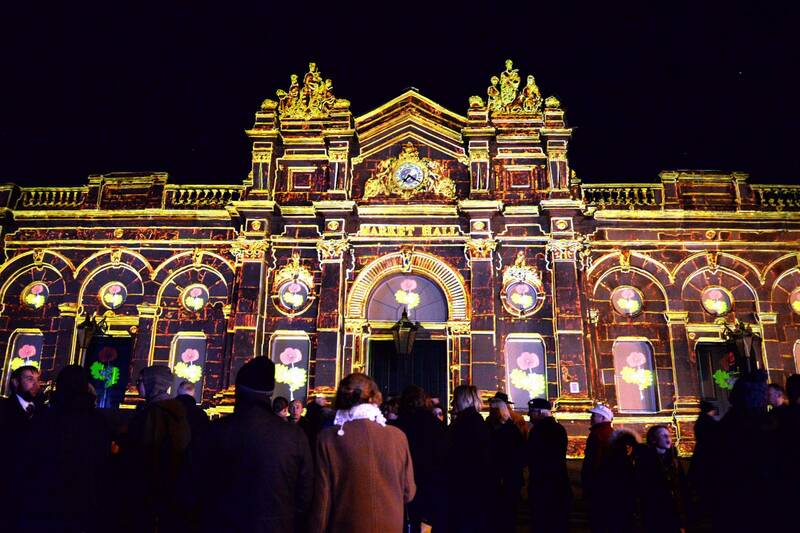 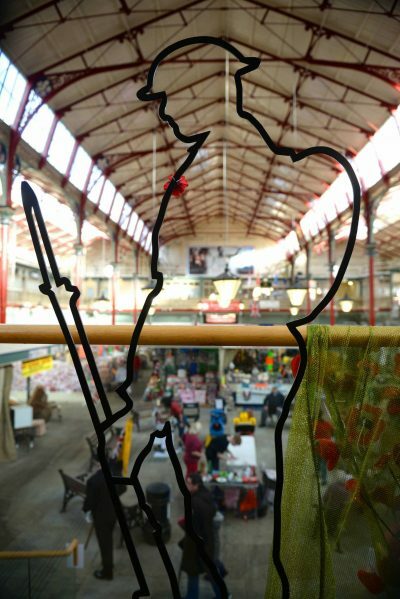 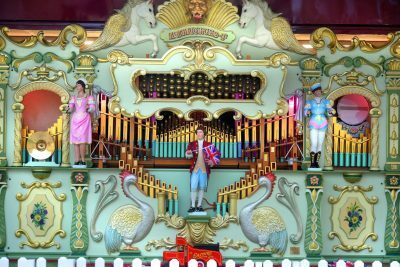 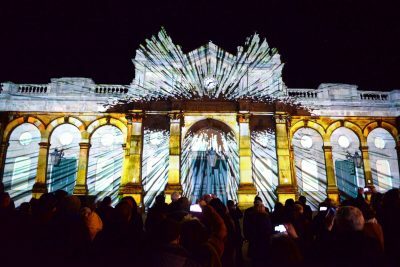 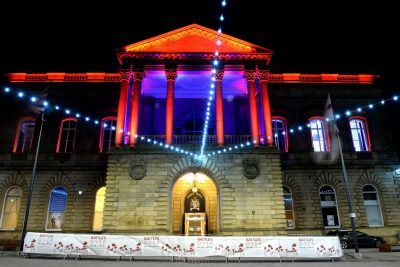 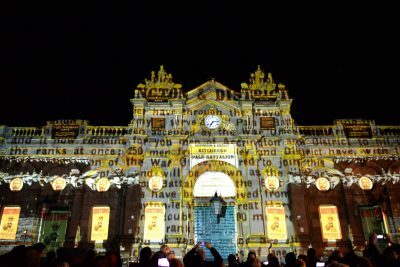 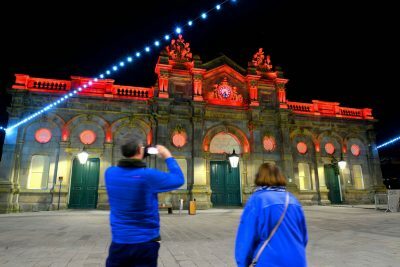 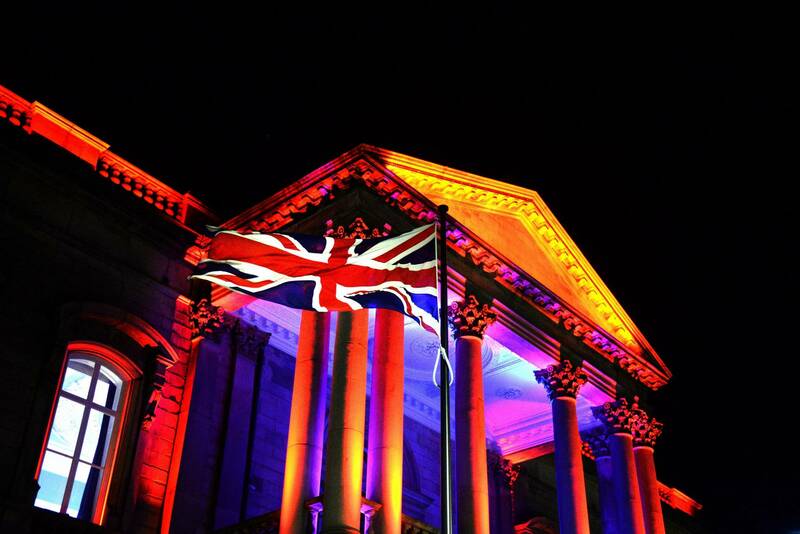 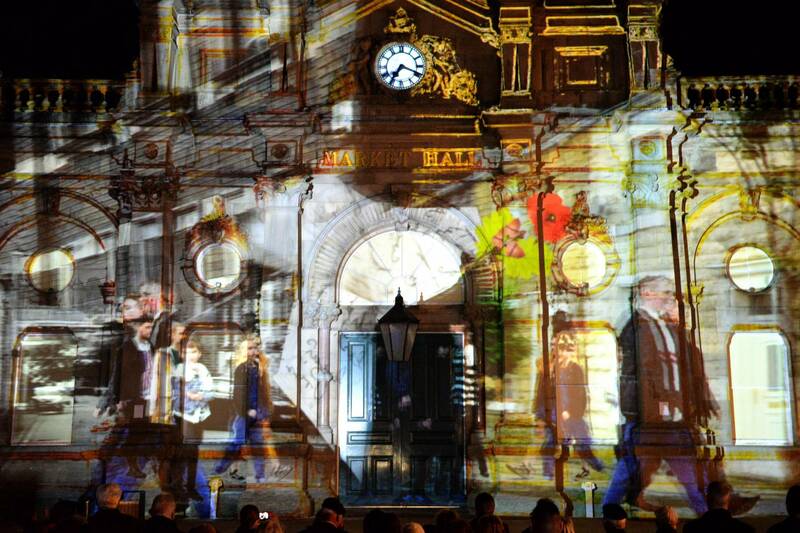 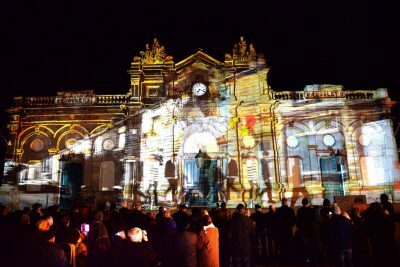 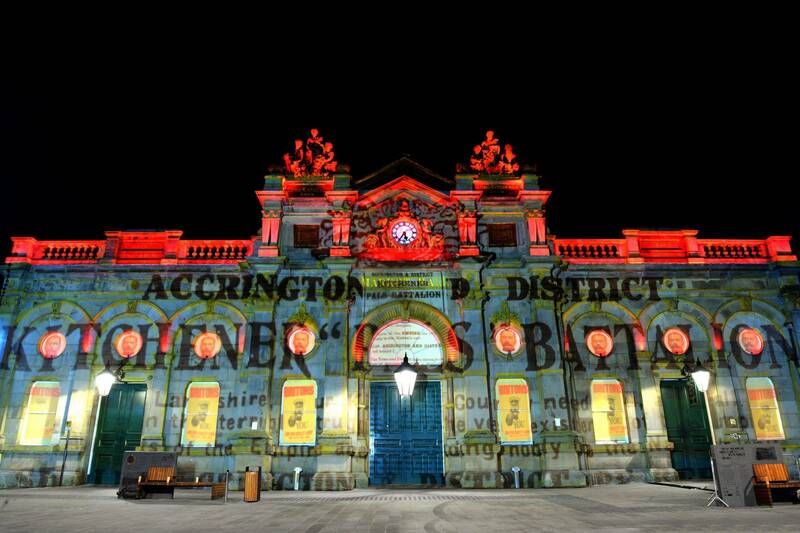 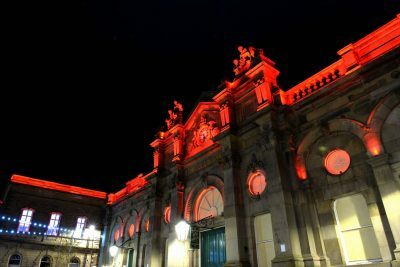 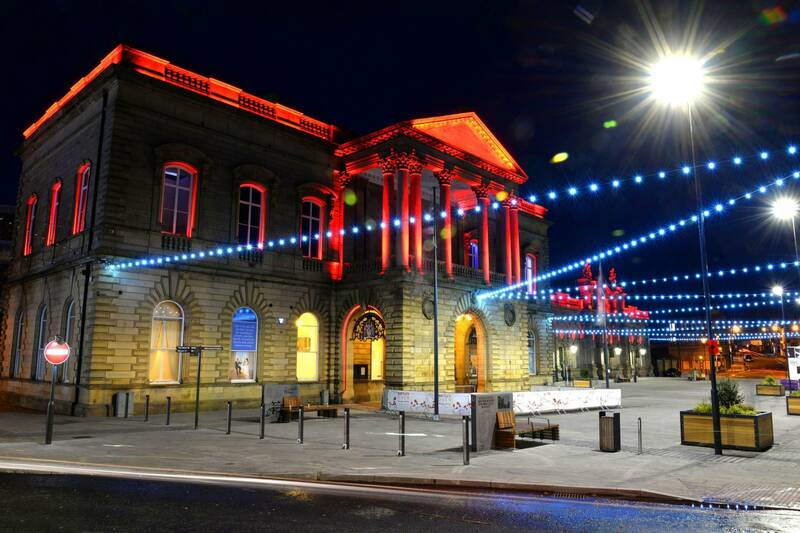 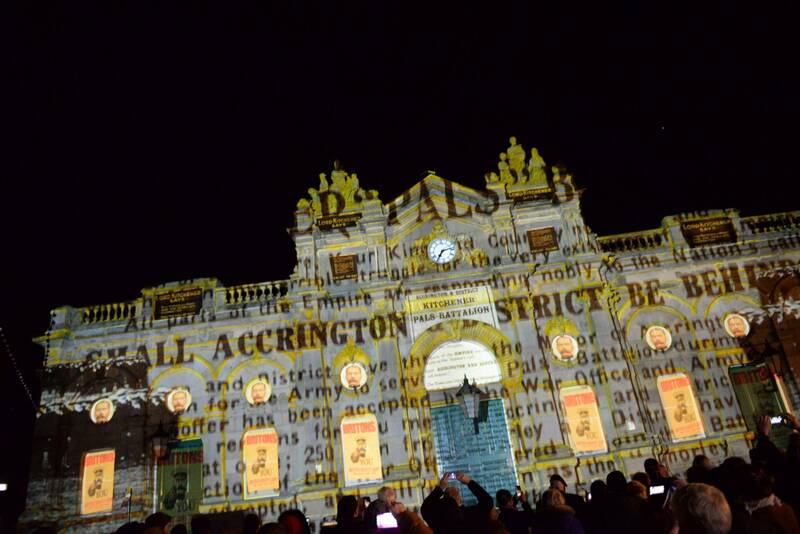 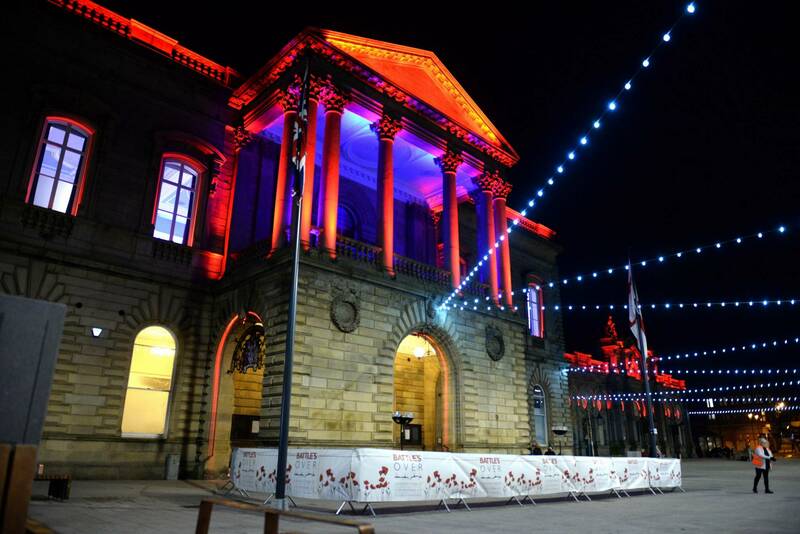 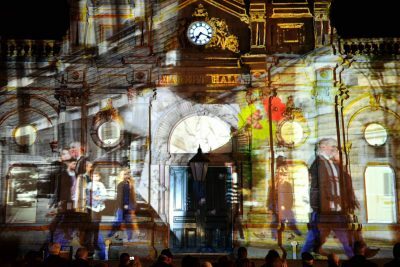 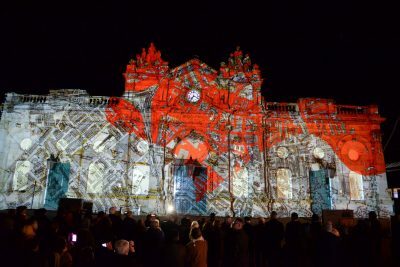 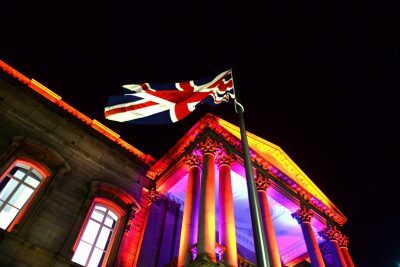 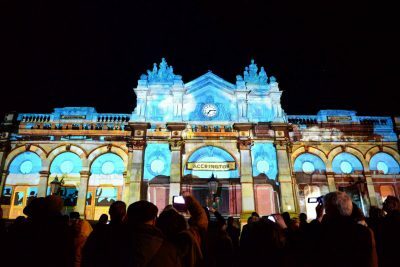 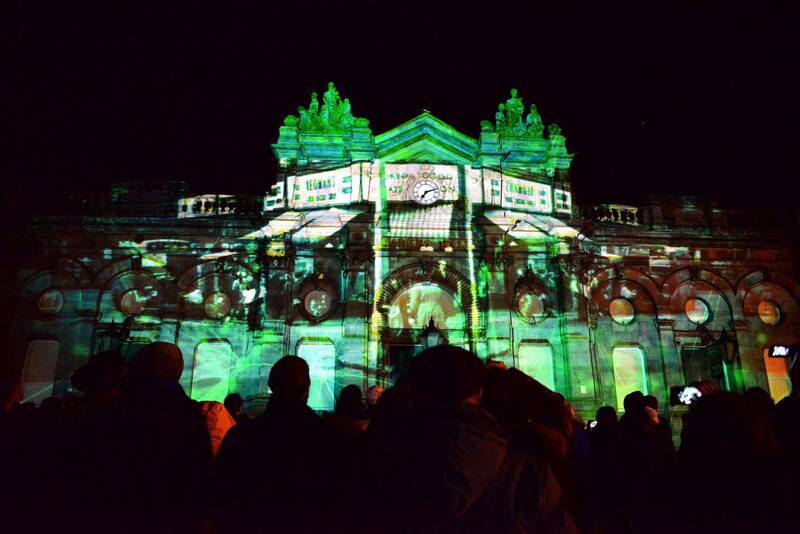 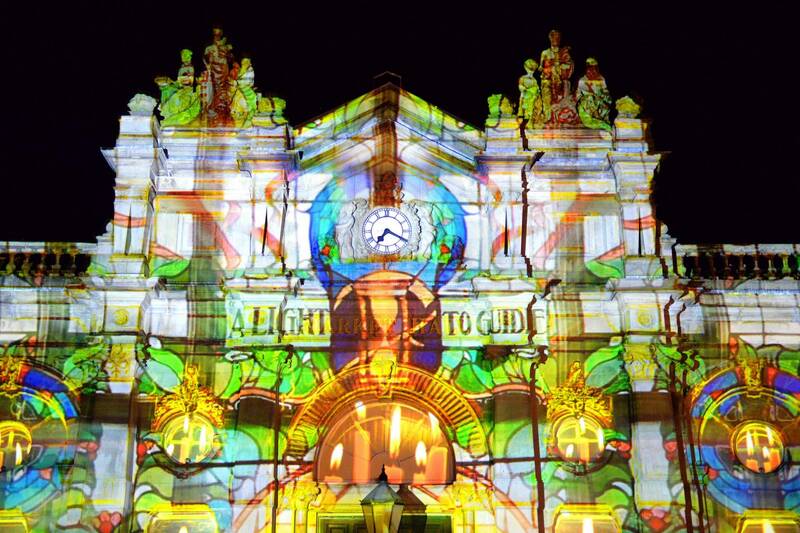 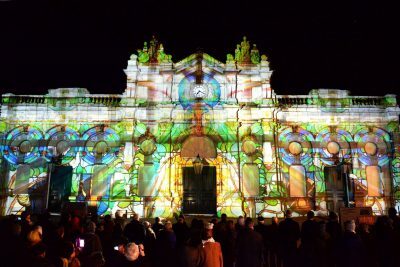 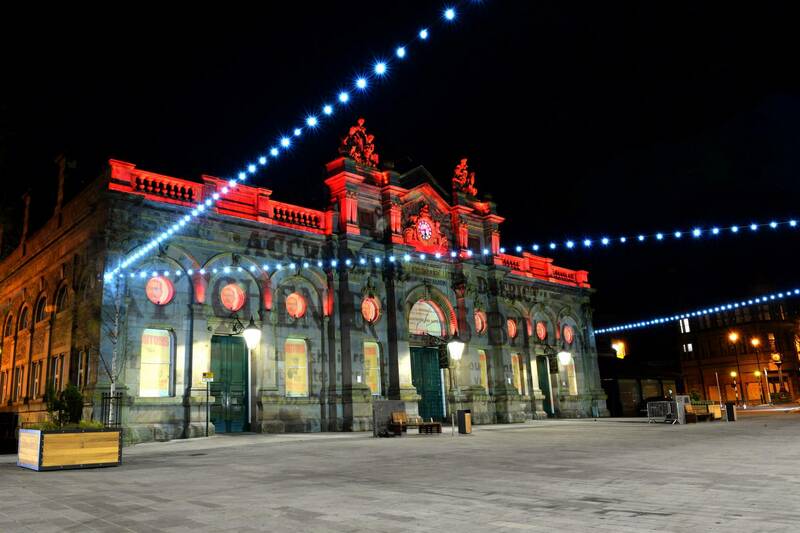 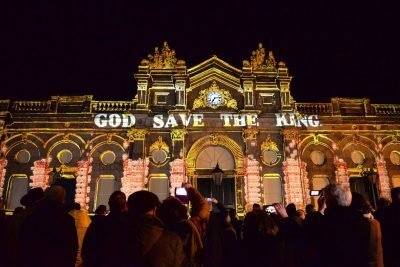 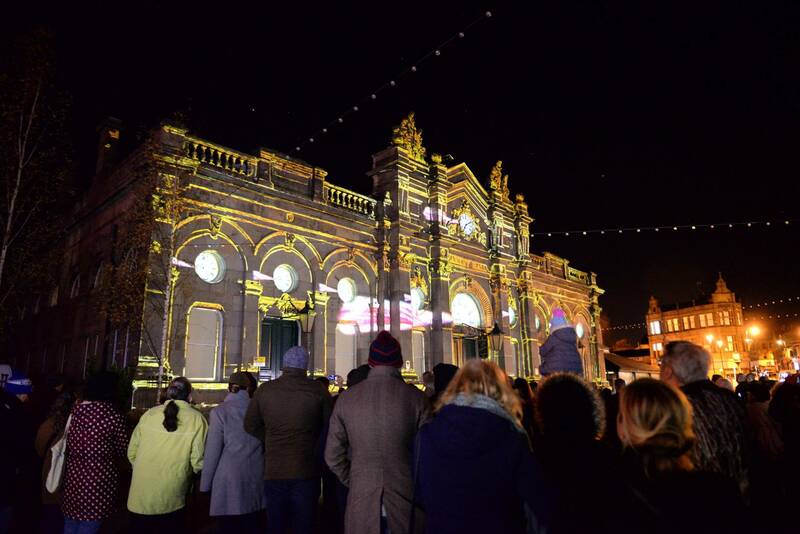 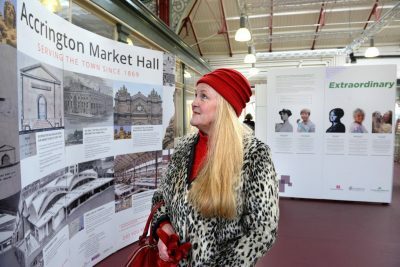 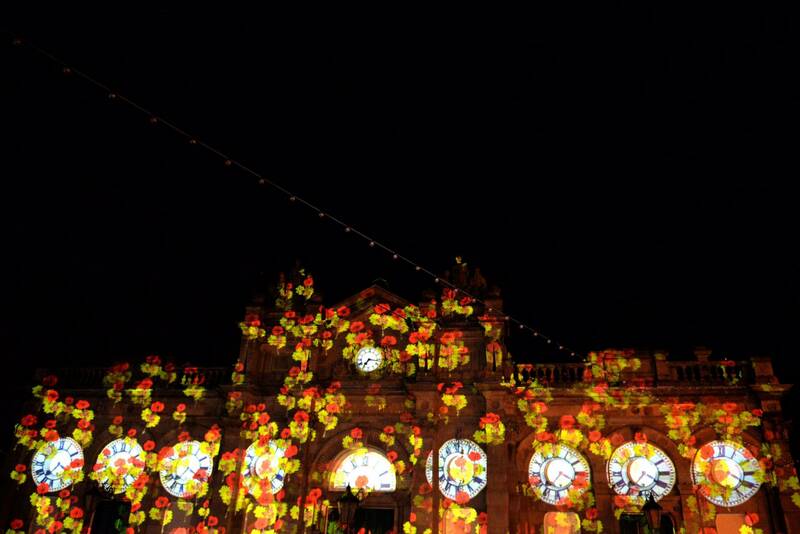 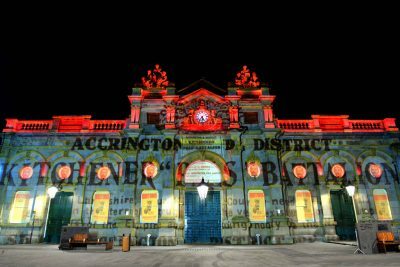 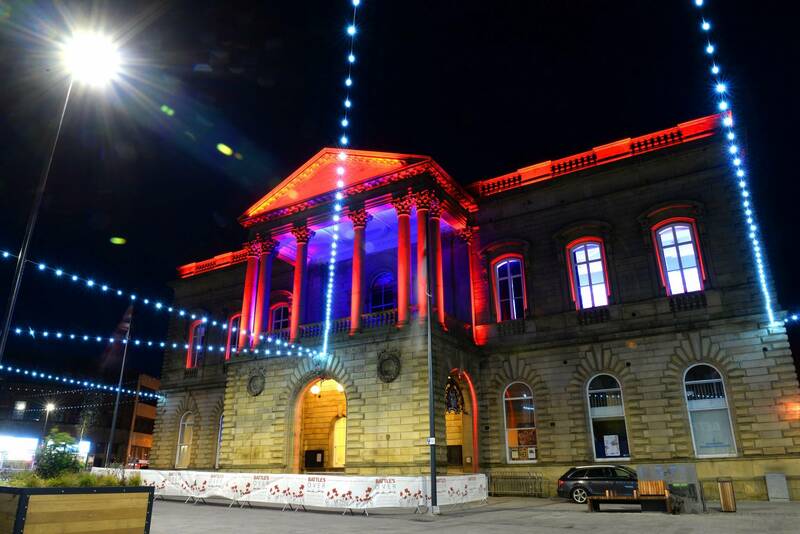 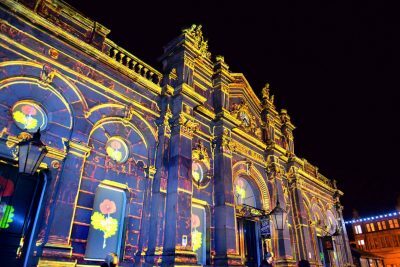 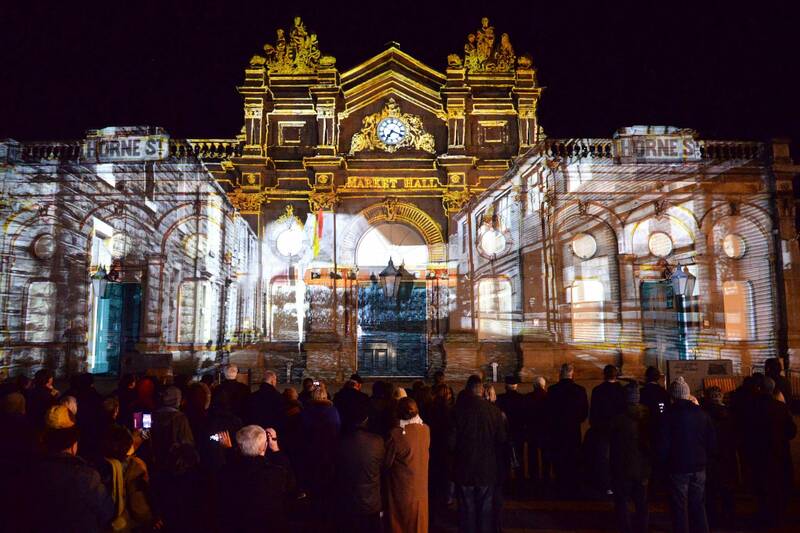 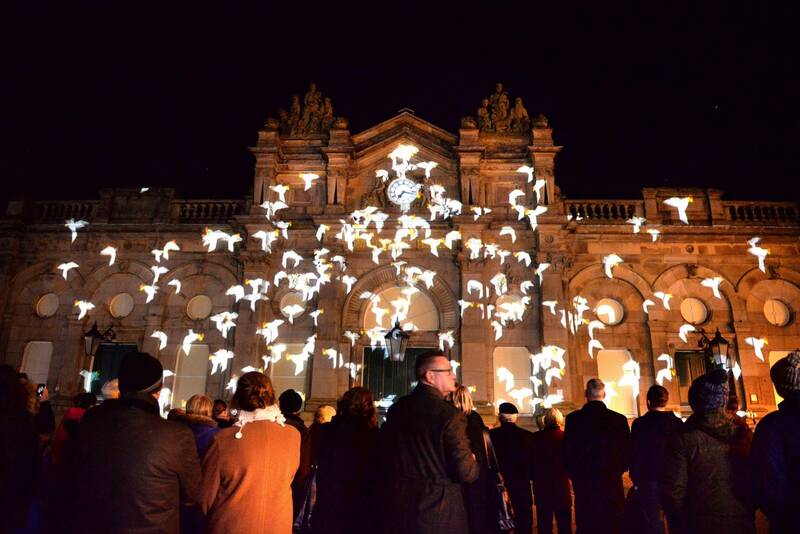 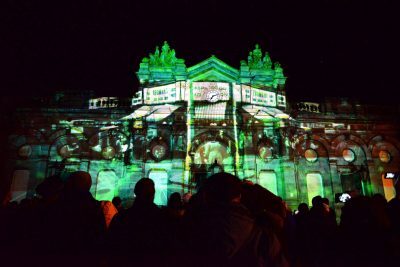 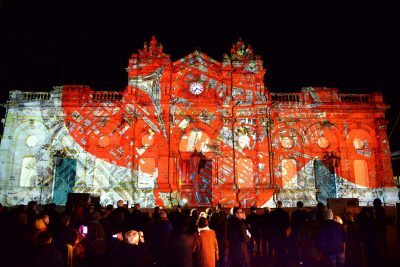 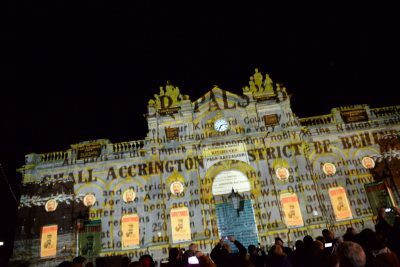 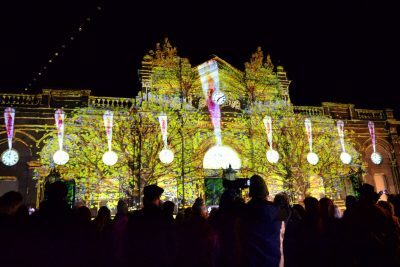 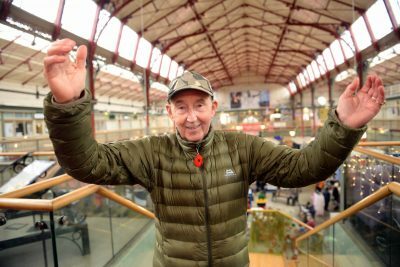 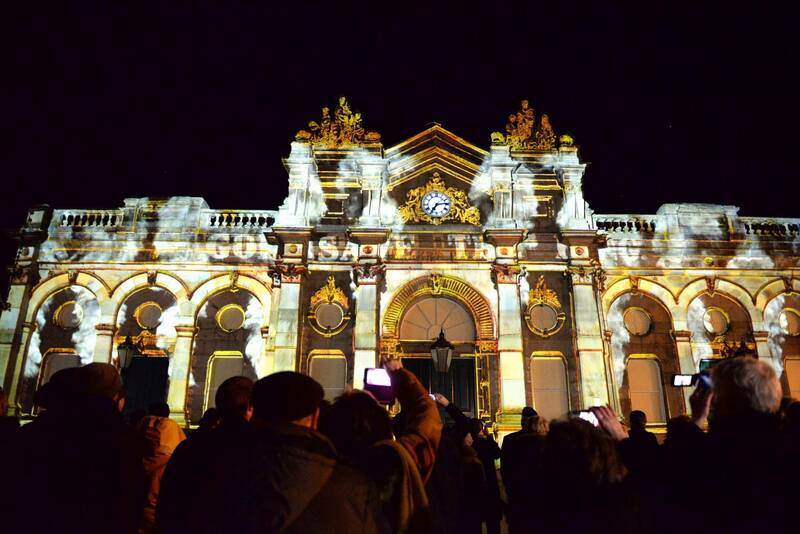 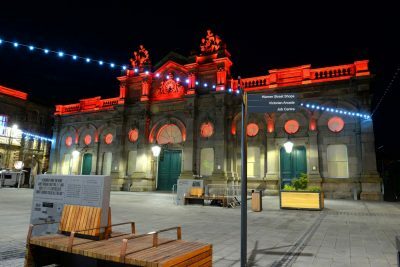 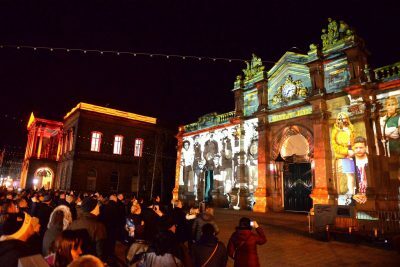 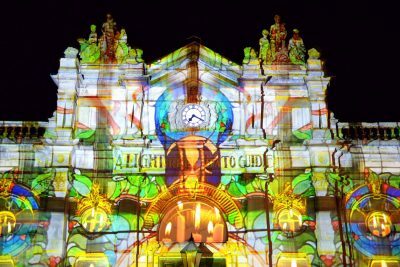 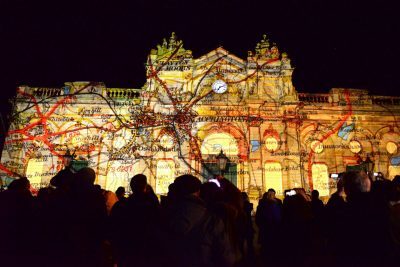 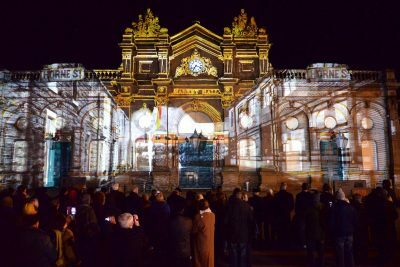 Also the spectacular one-off 3D projection onto the Market Hall facade, featuring local people, on Sunday 11th November, which was absolutely breath-taking. 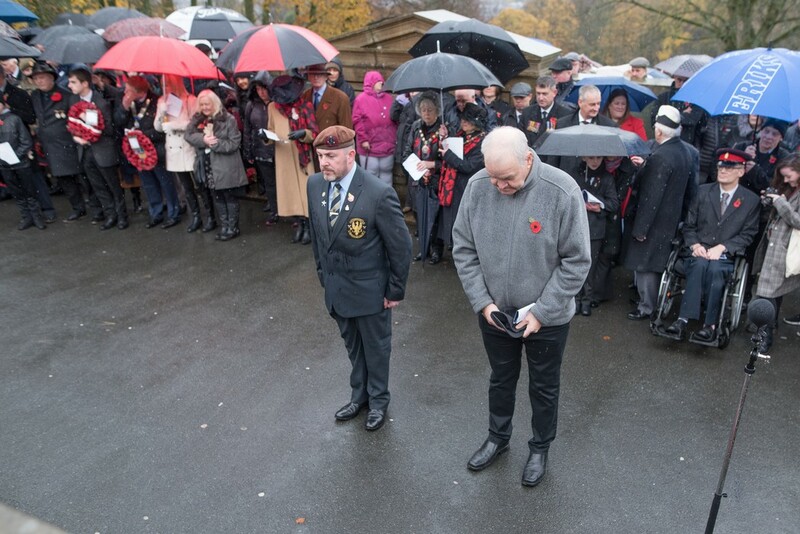 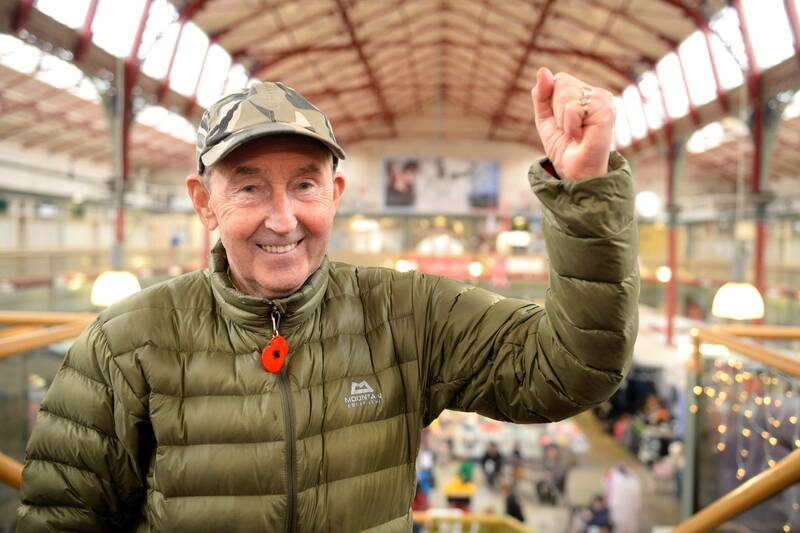 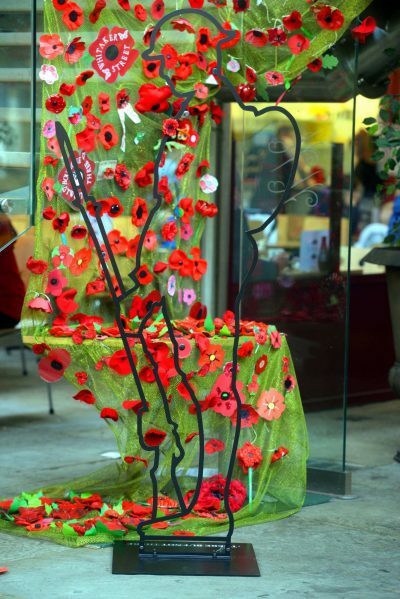 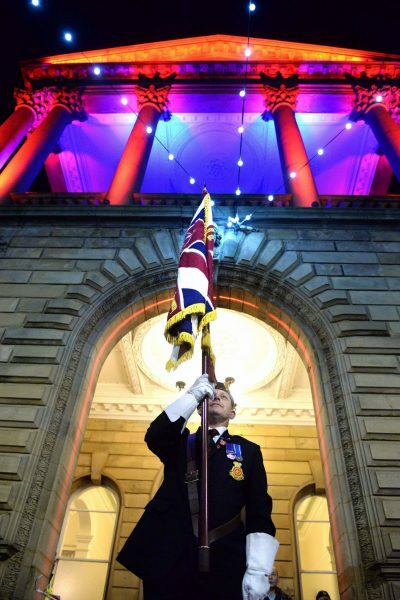 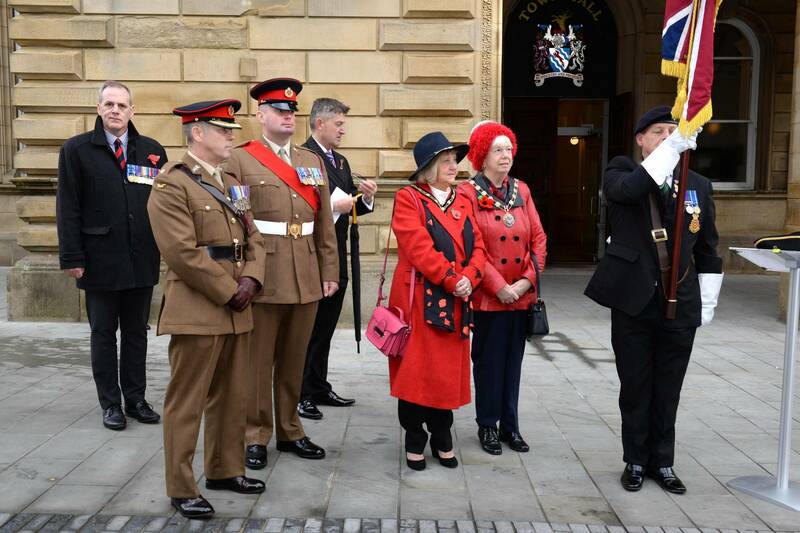 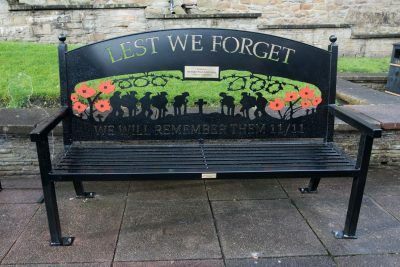 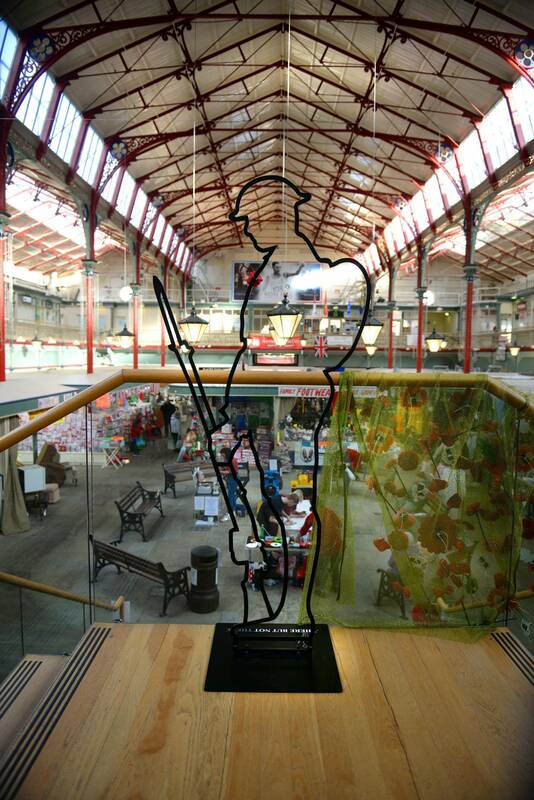 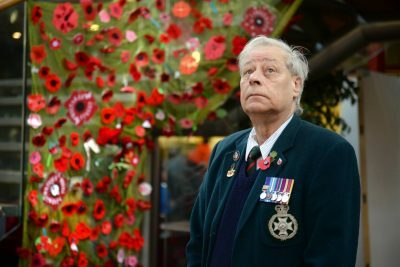 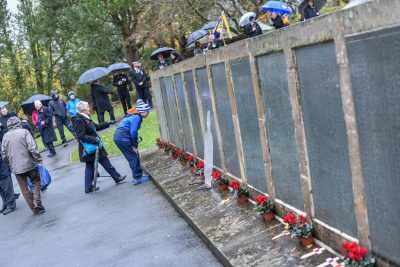 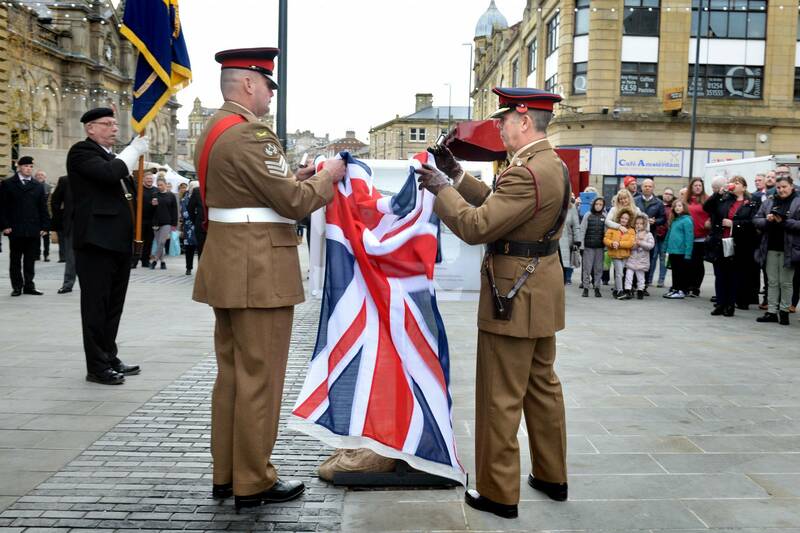 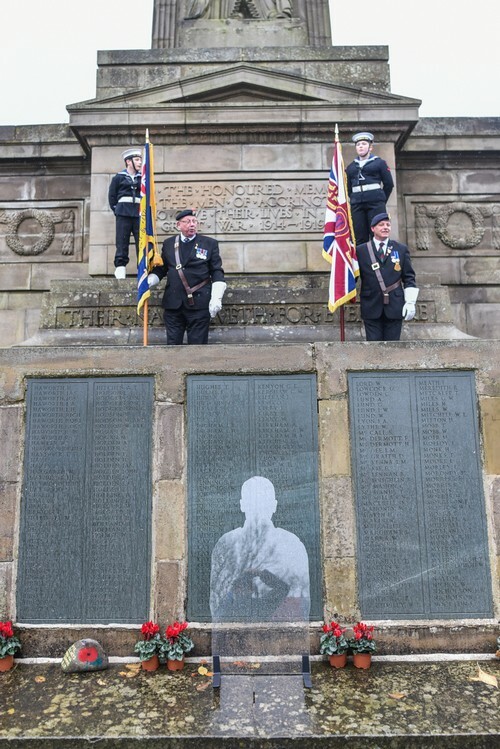 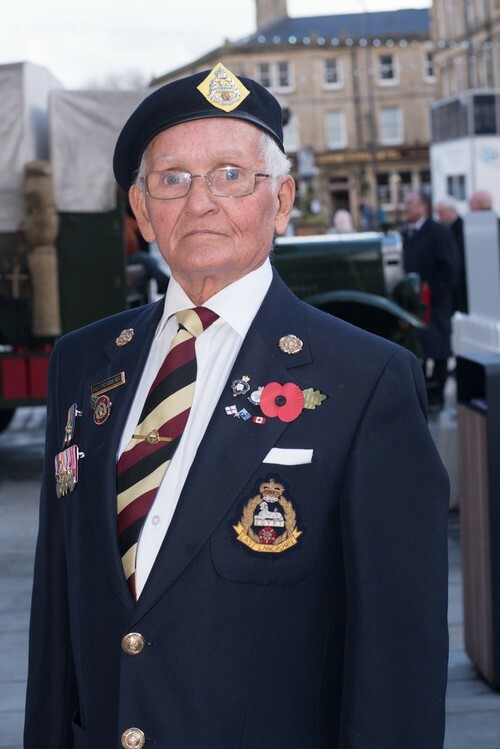 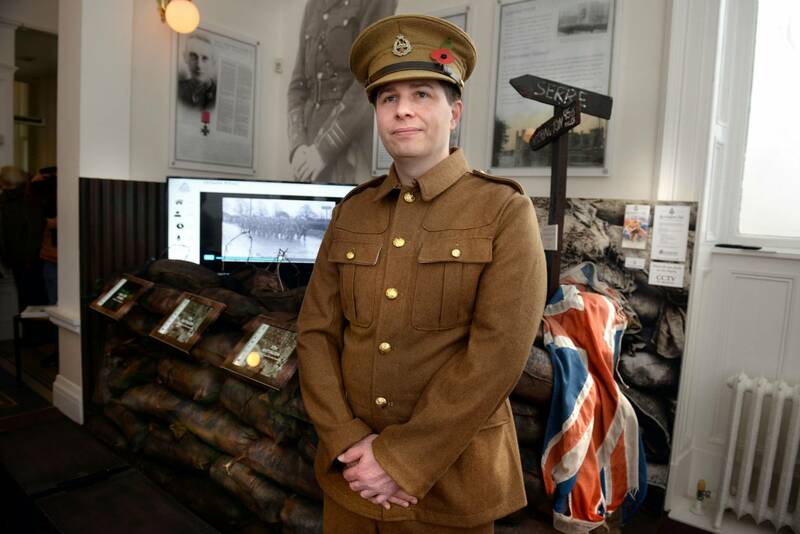 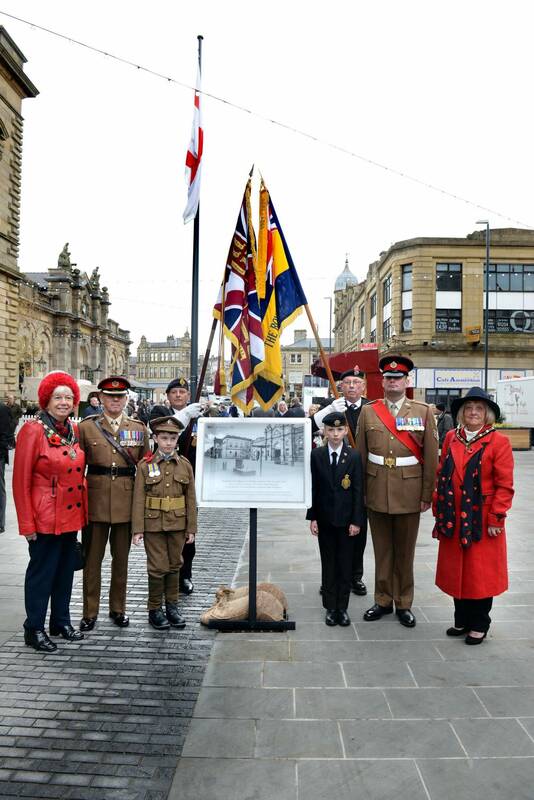 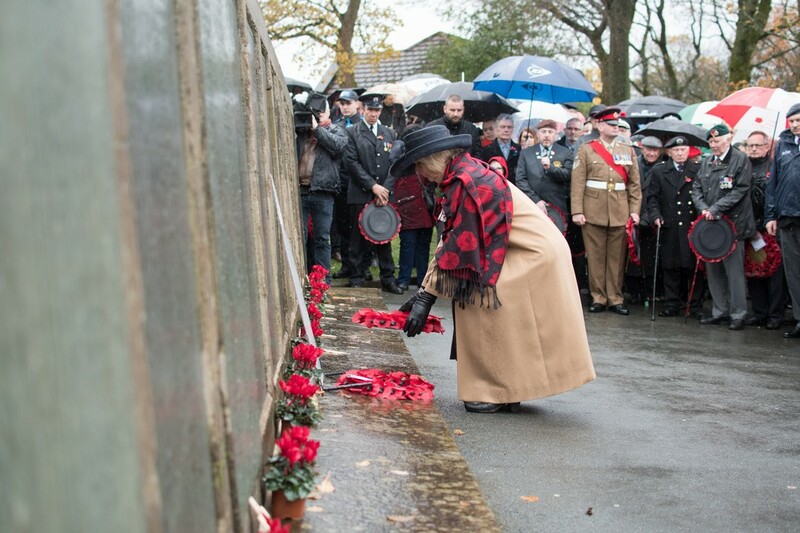 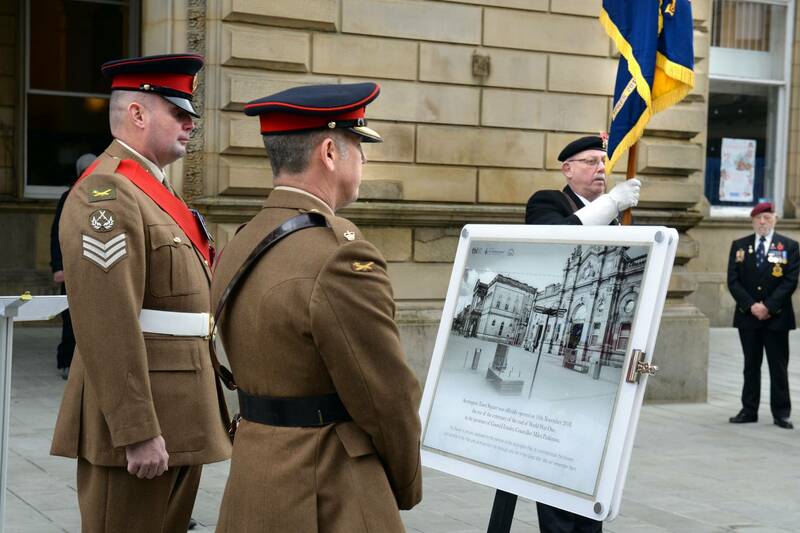 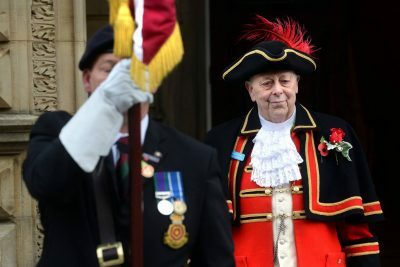 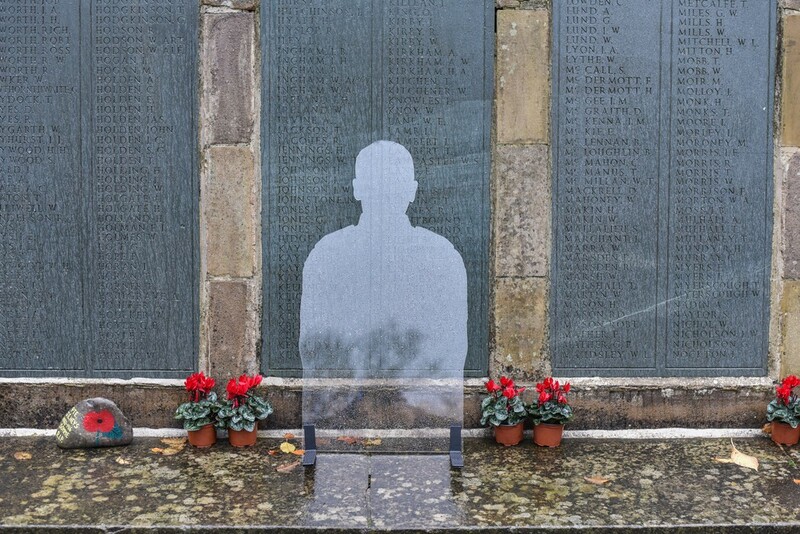 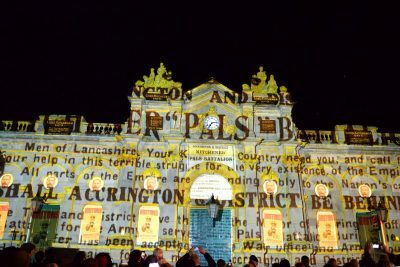 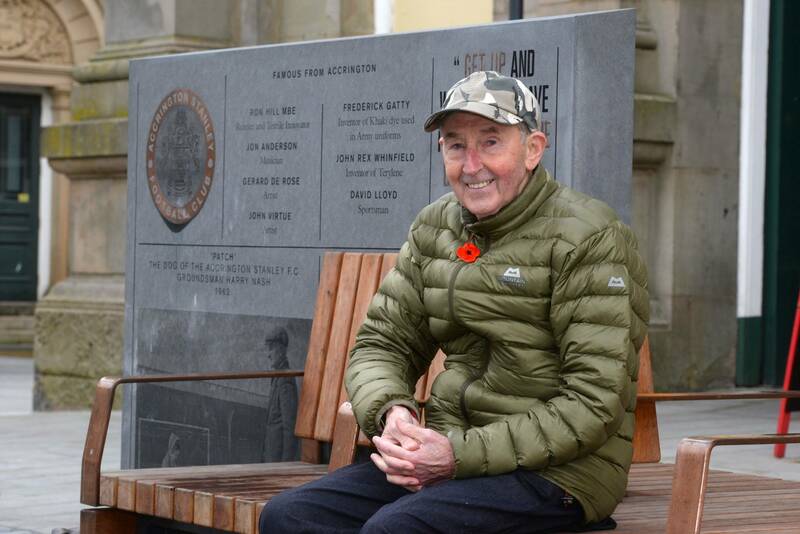 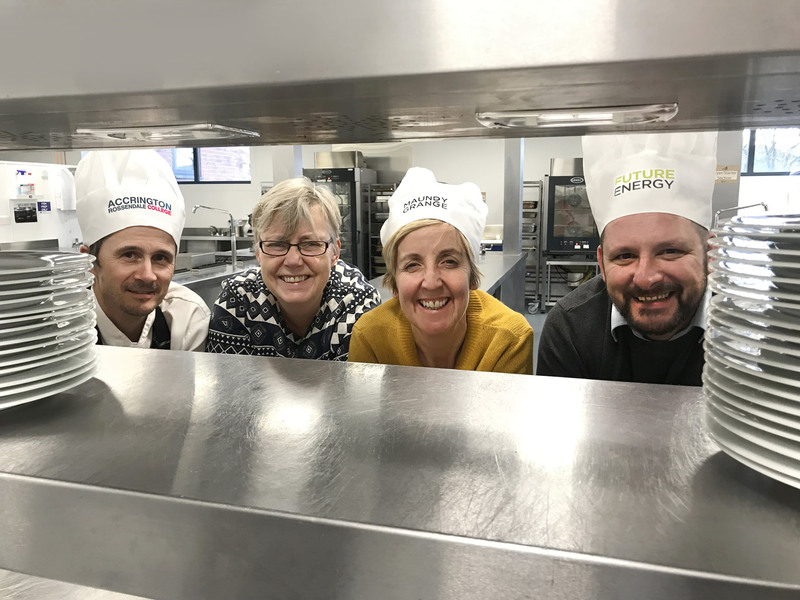 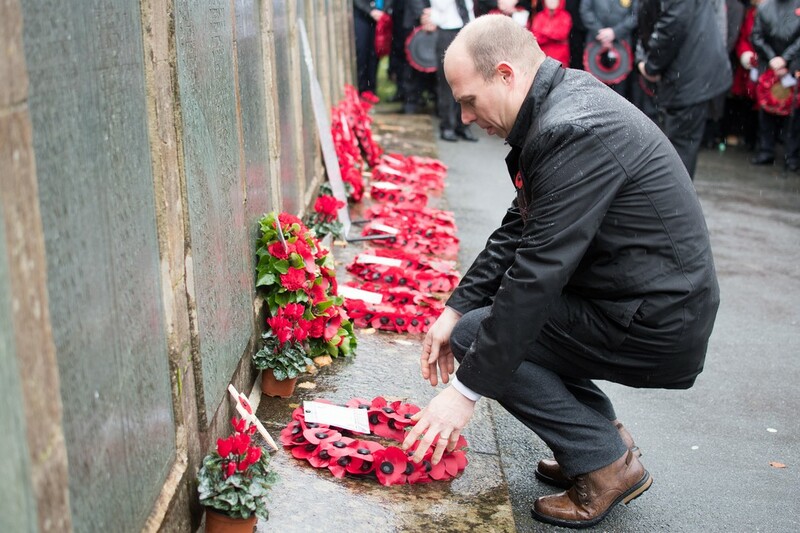 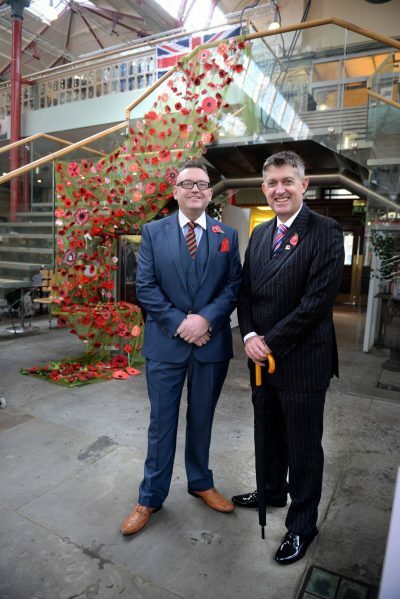 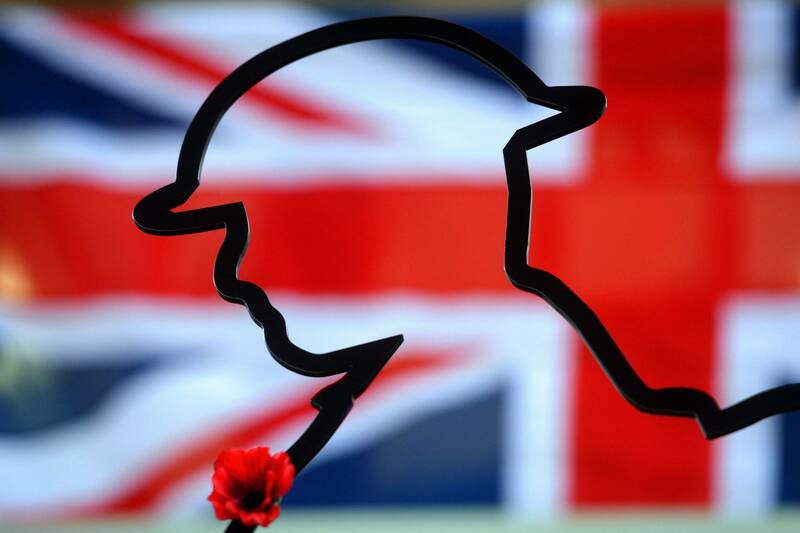 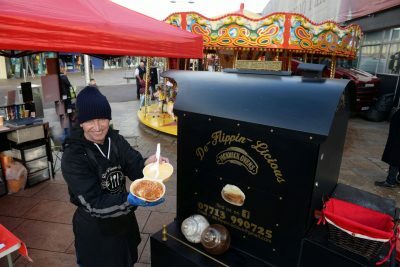 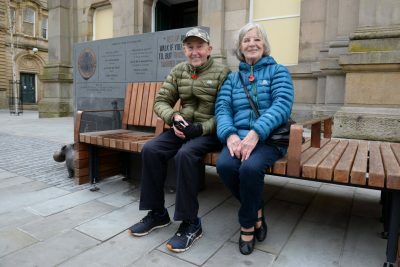 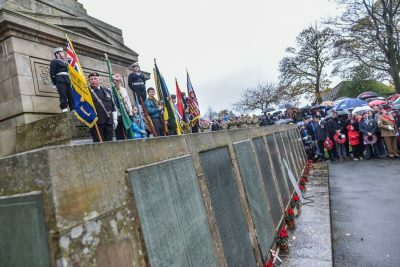 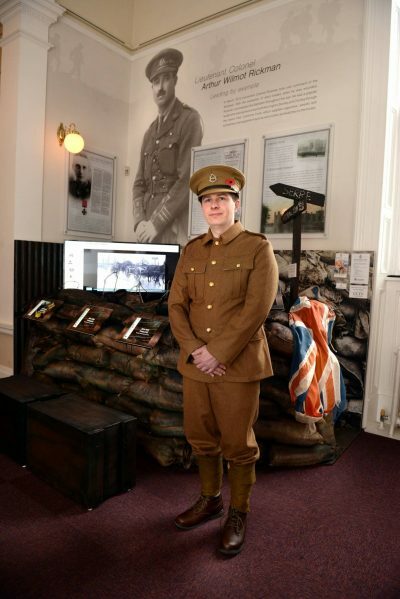 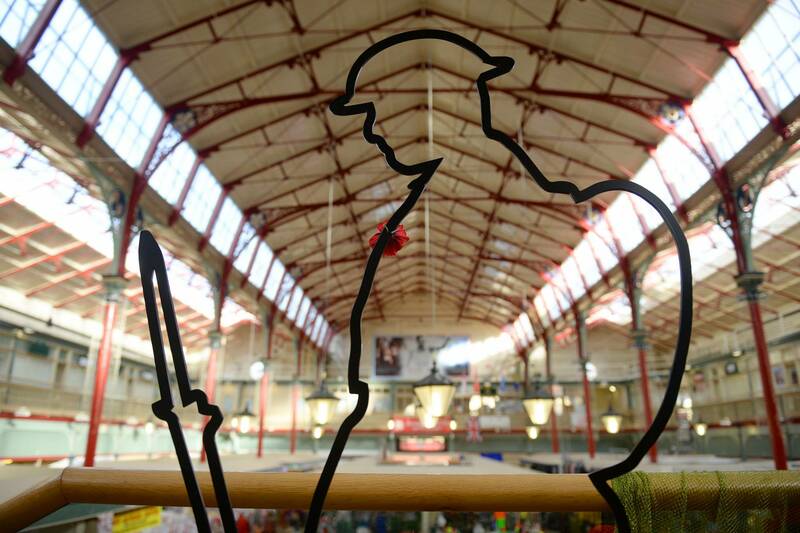 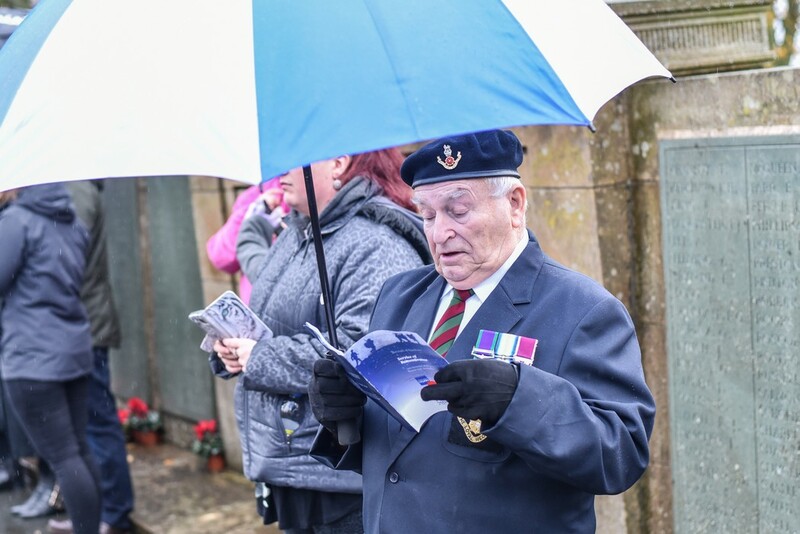 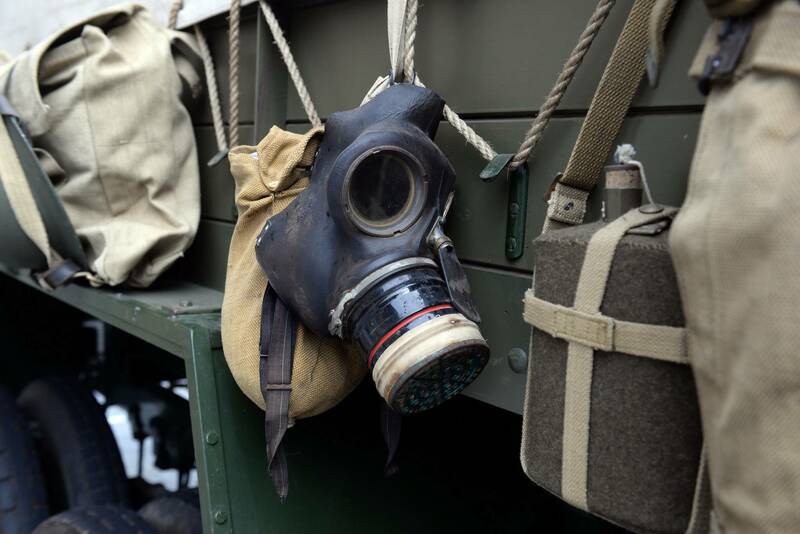 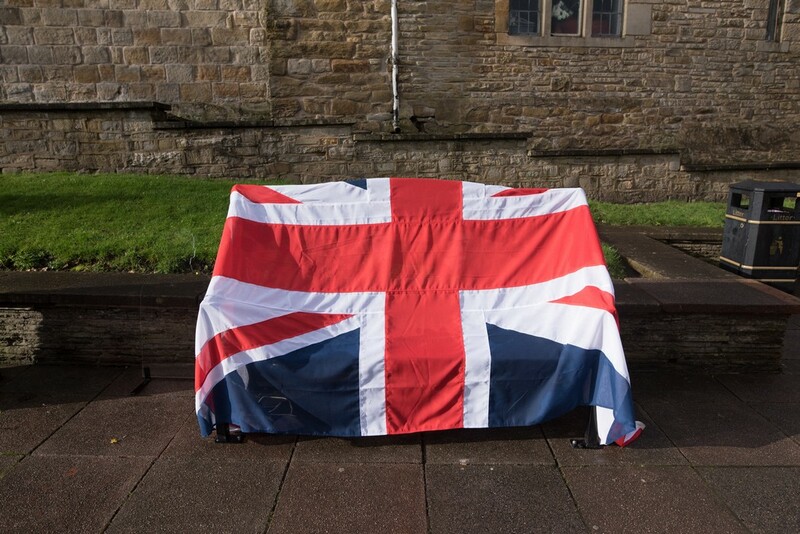 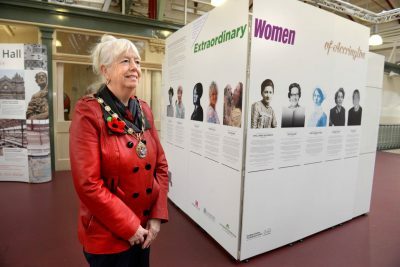 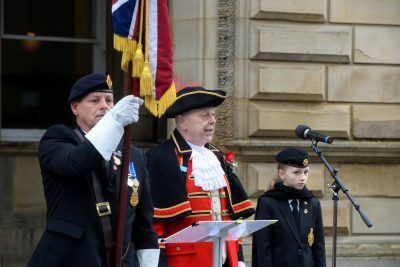 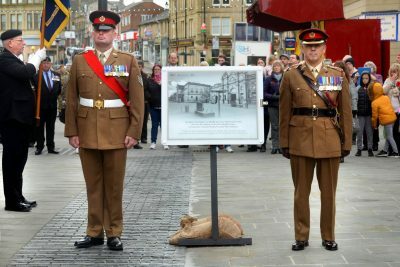 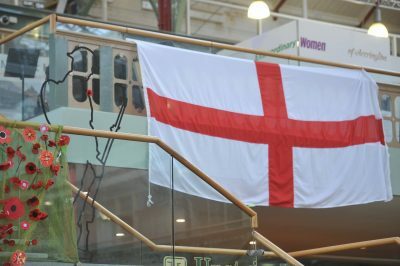 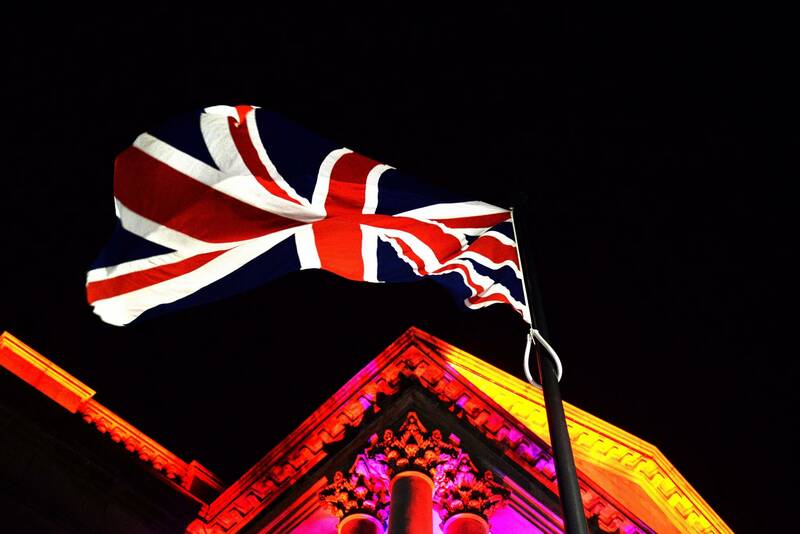 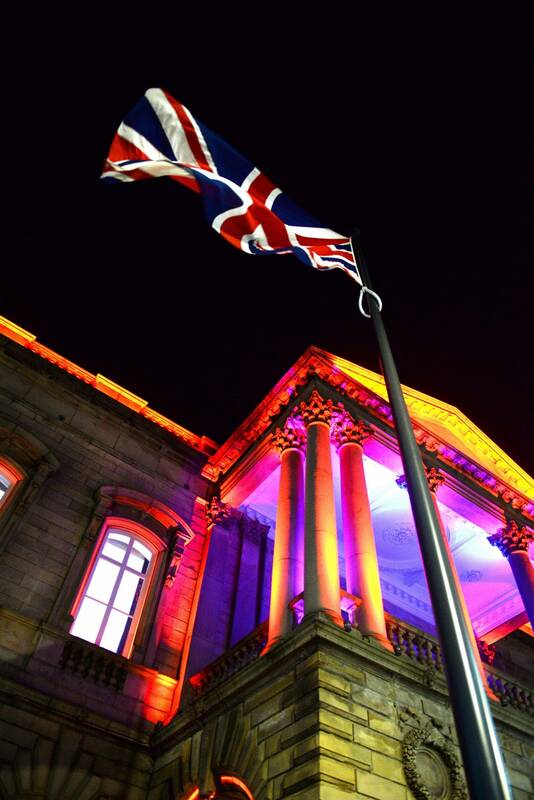 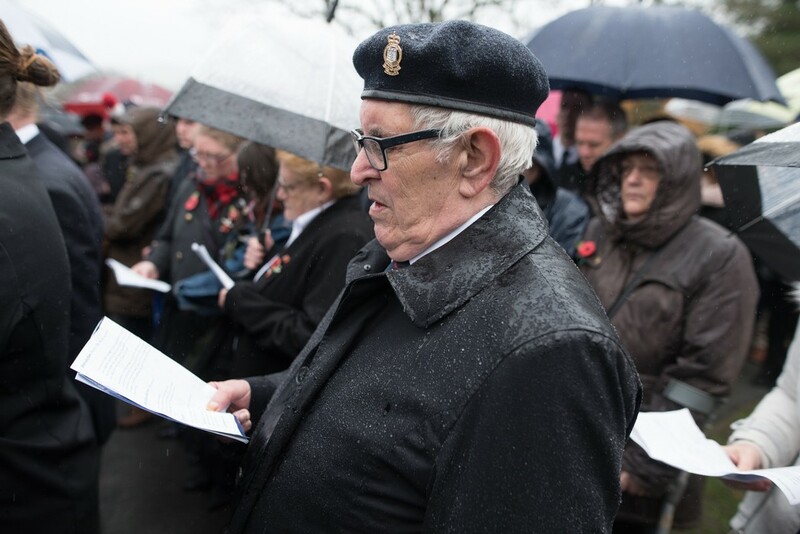 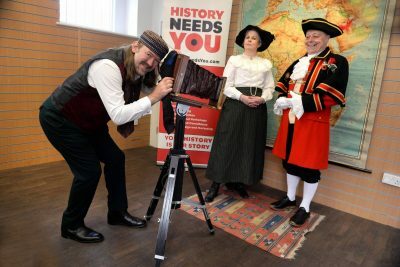 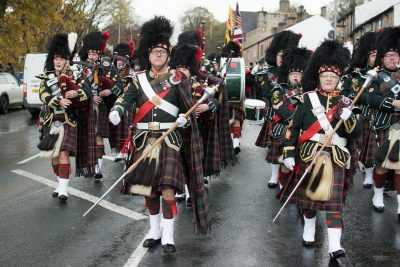 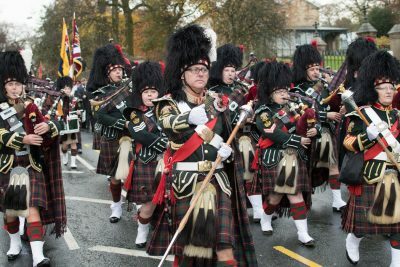 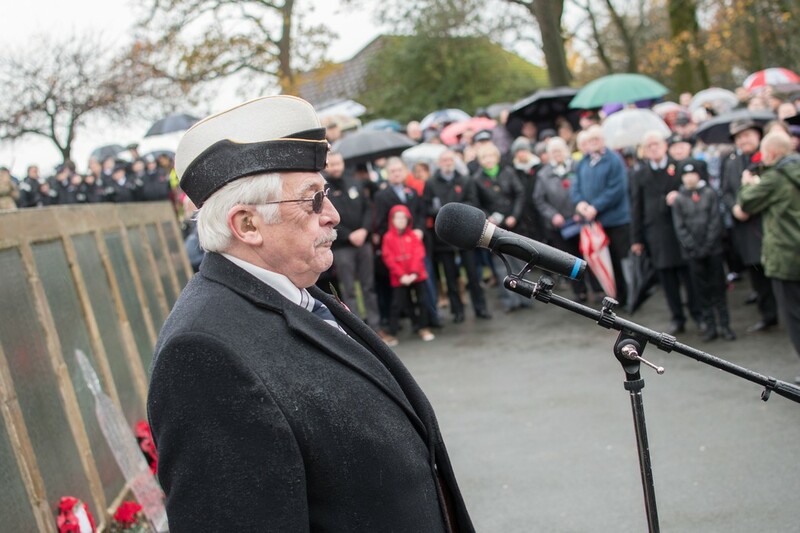 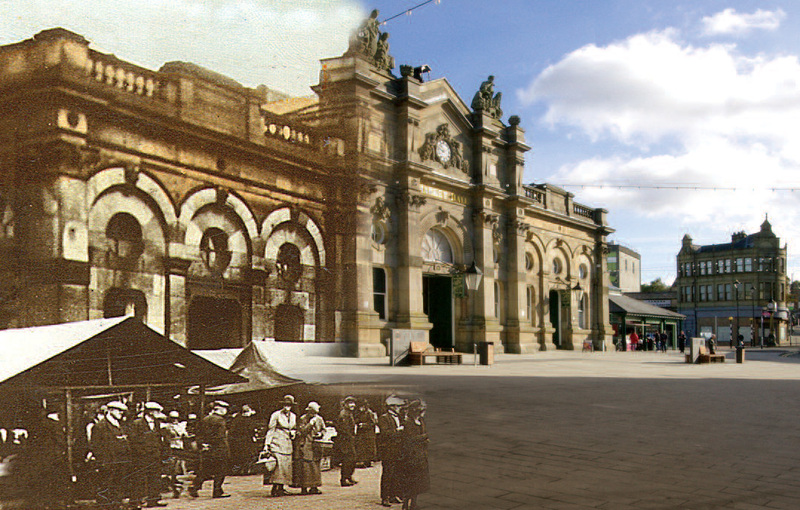 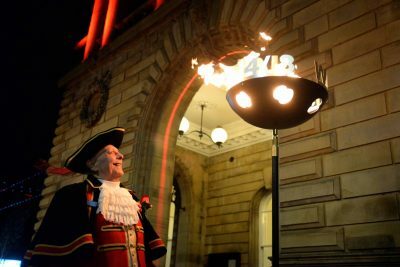 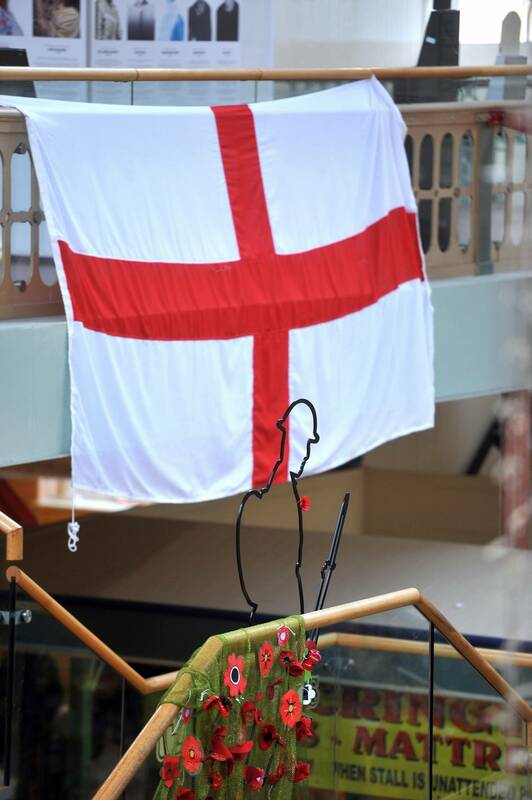 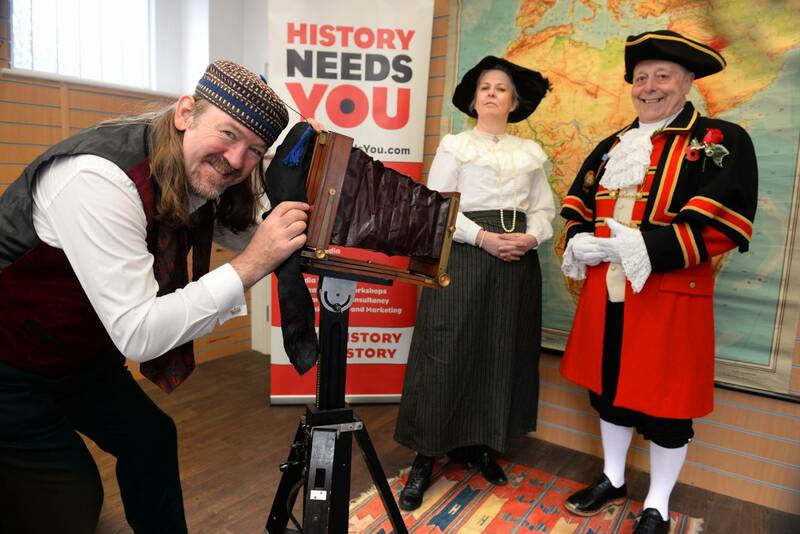 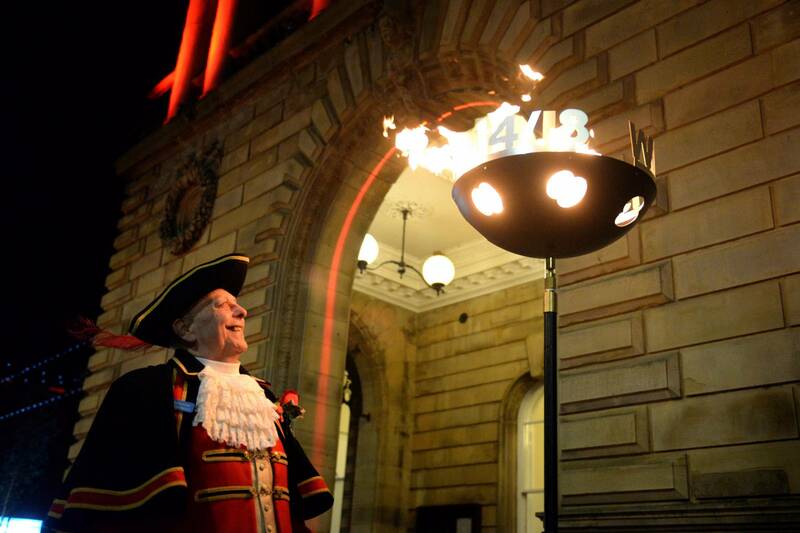 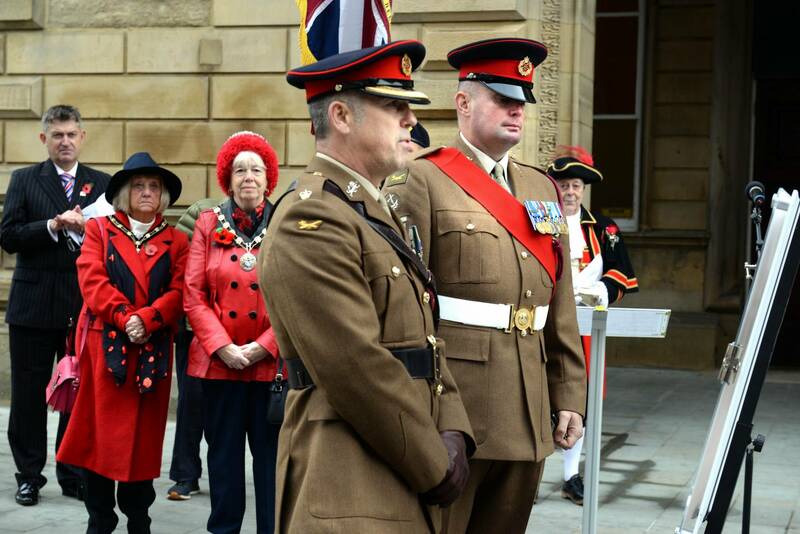 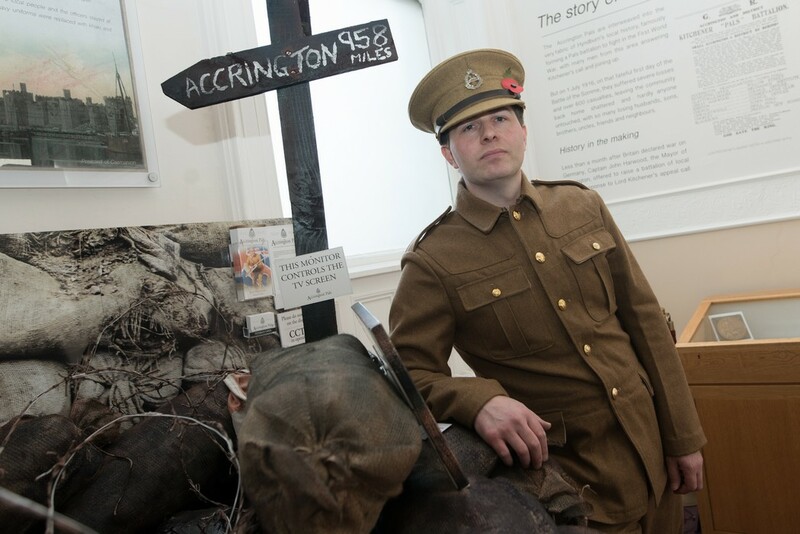 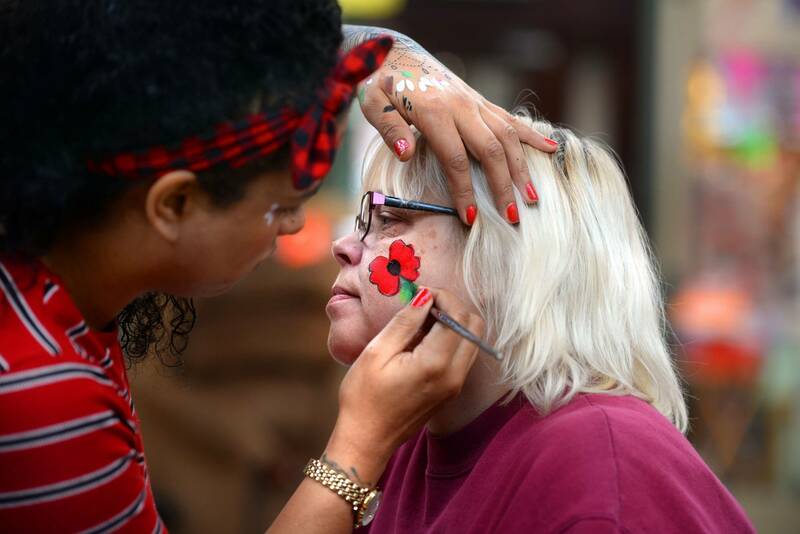 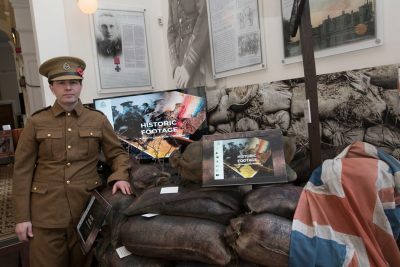 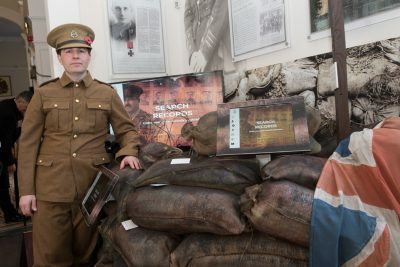 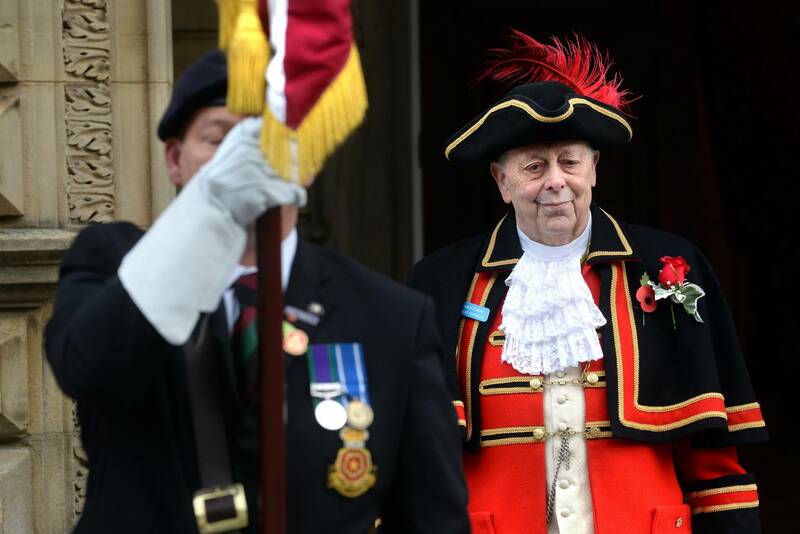 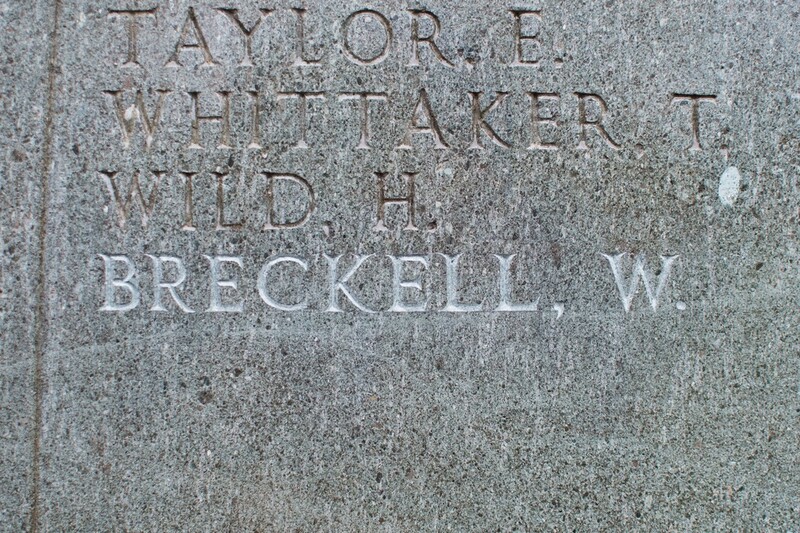 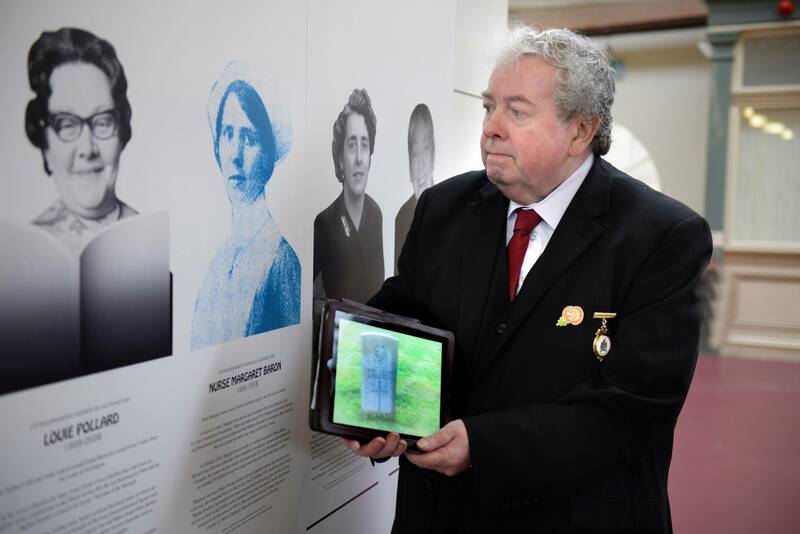 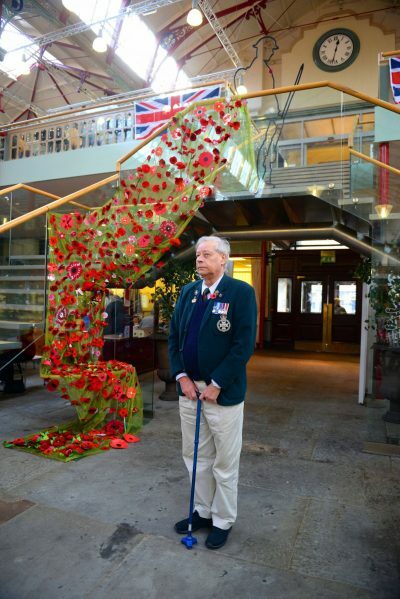 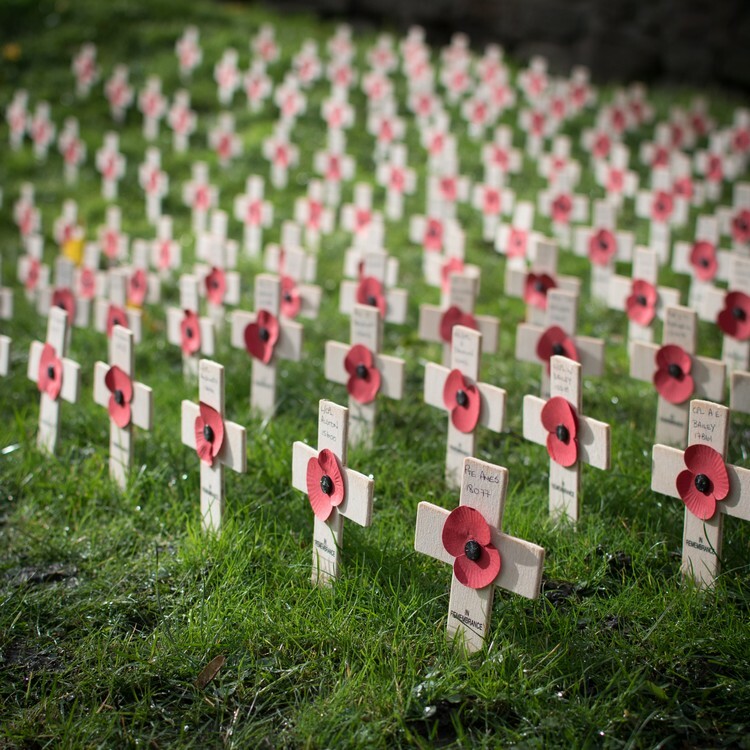 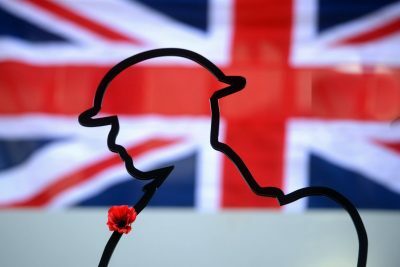 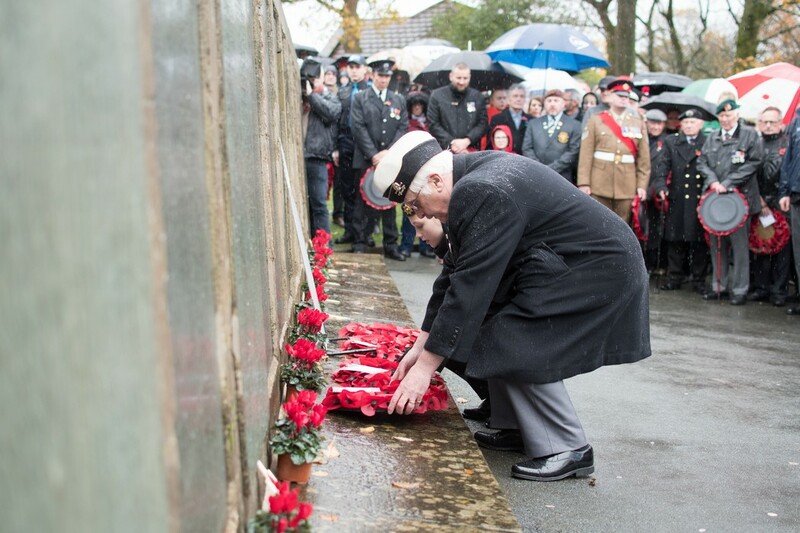 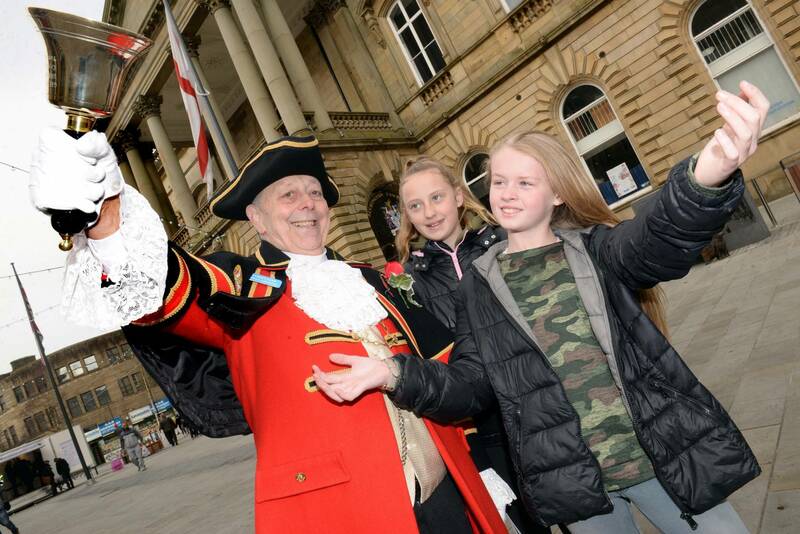 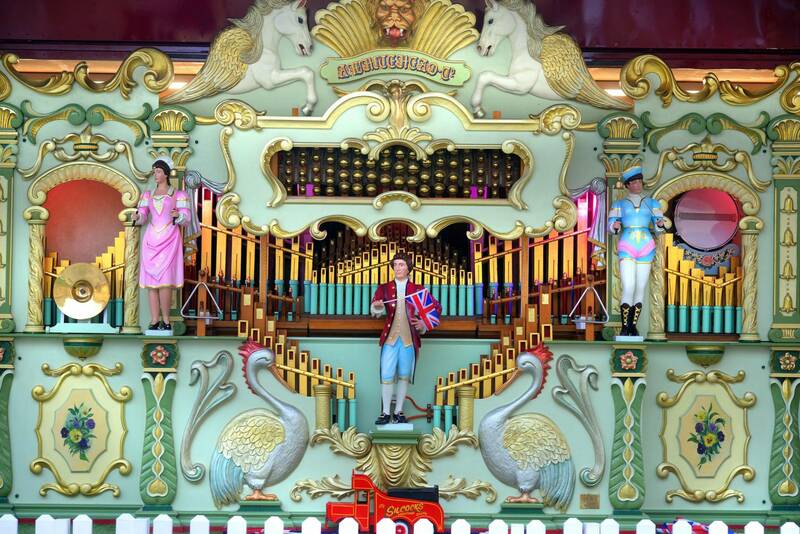 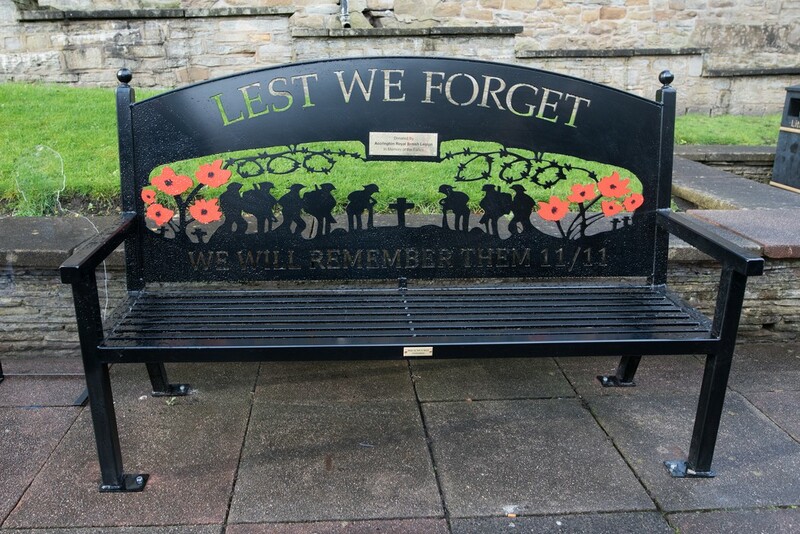 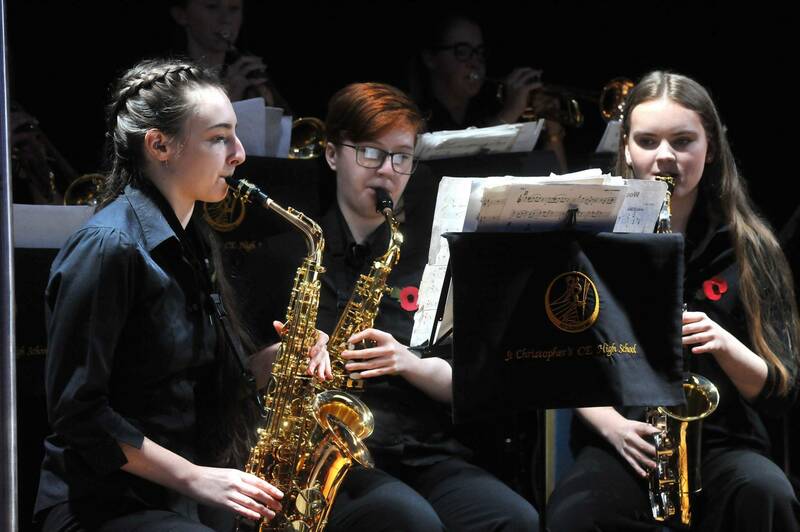 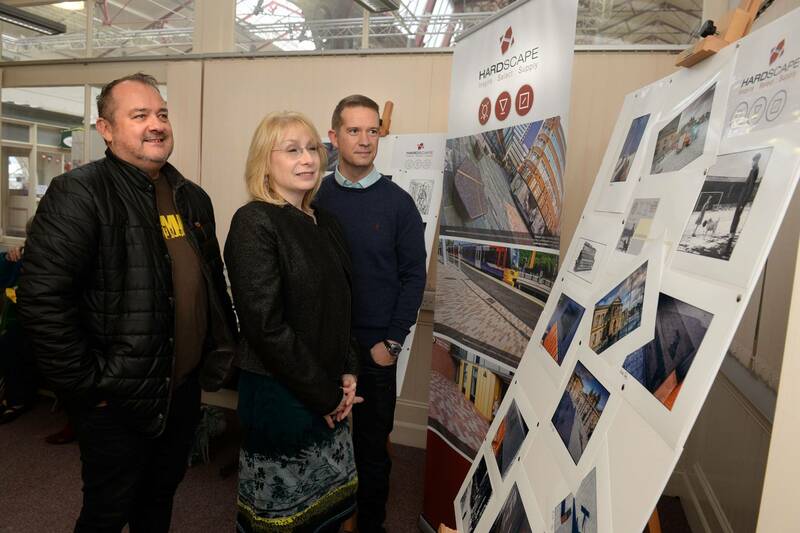 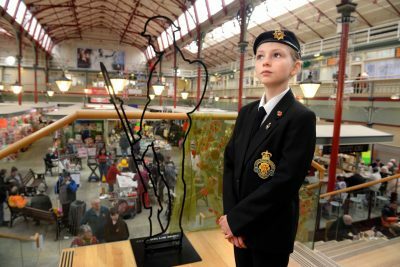 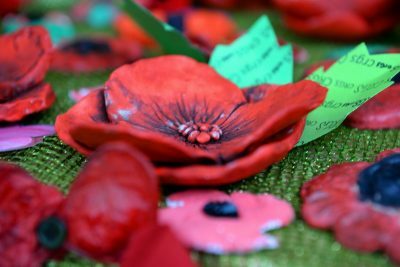 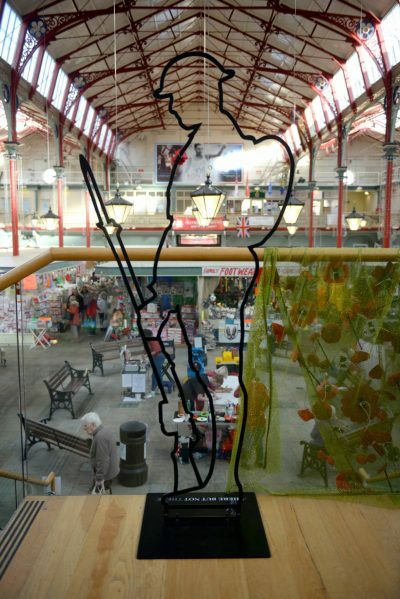 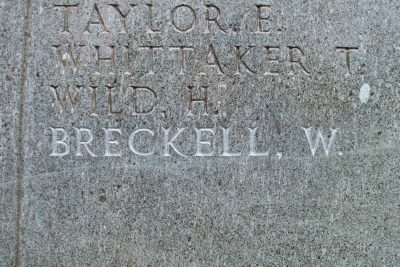 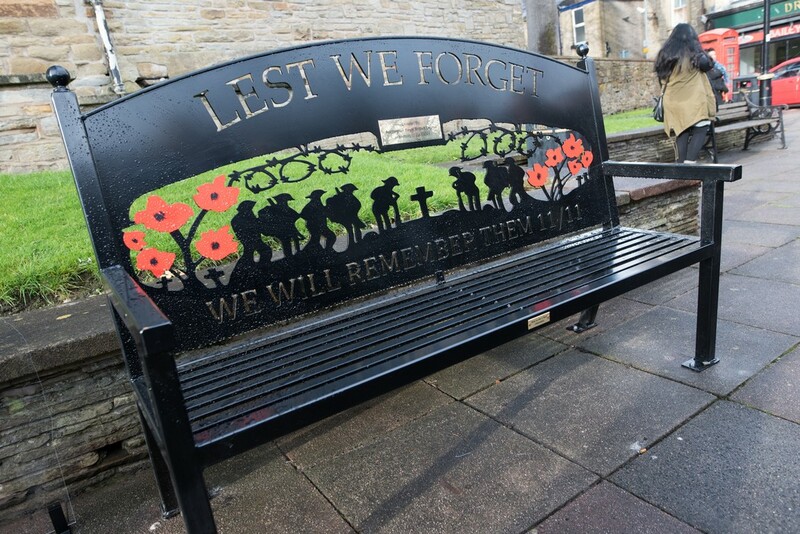 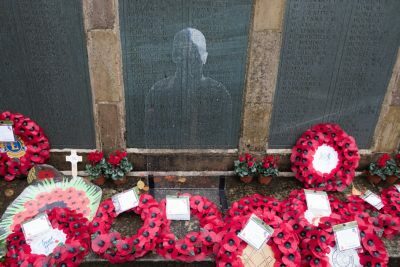 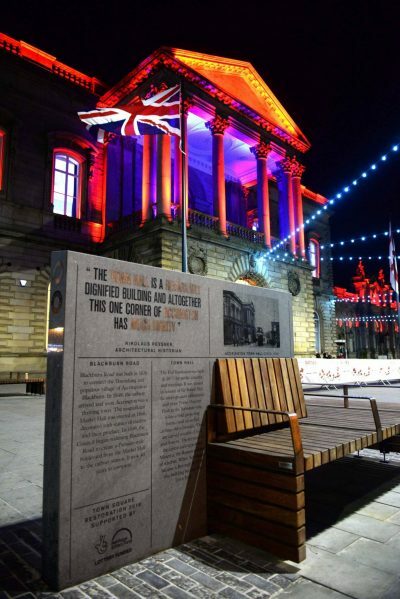 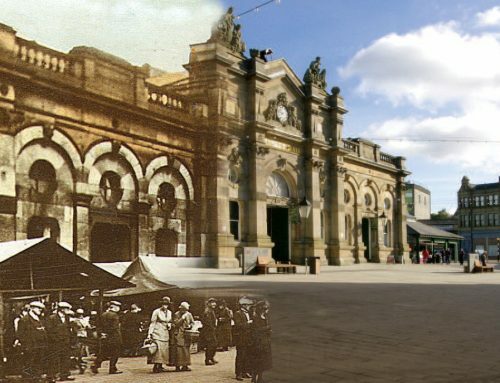 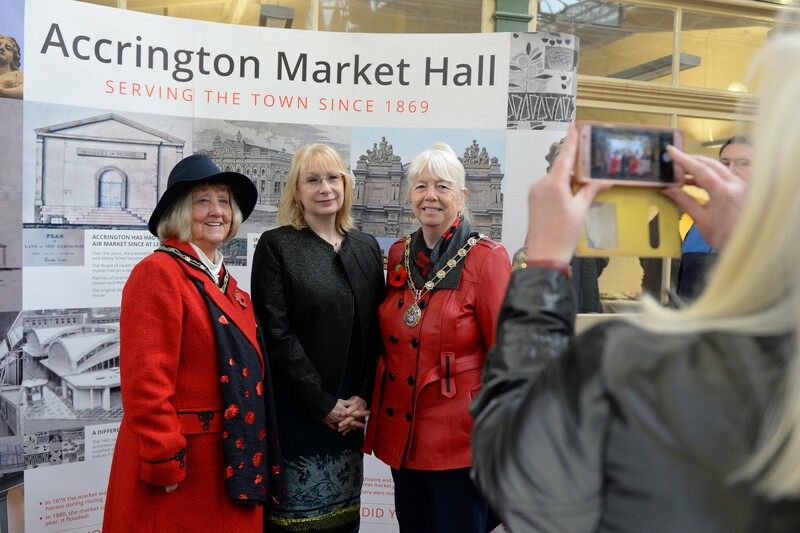 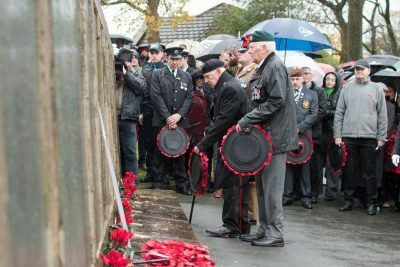 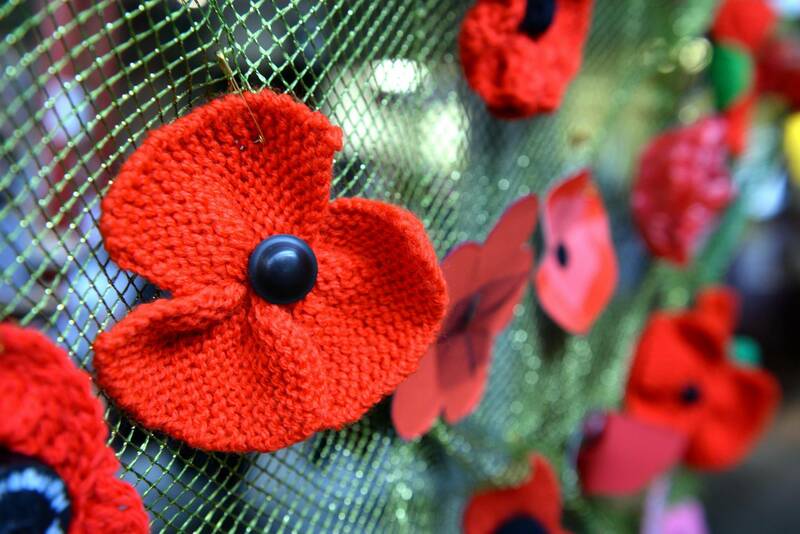 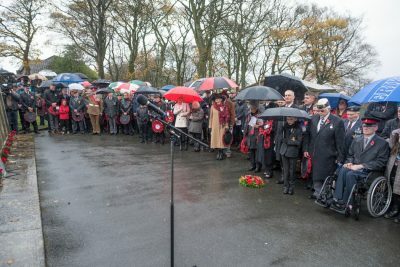 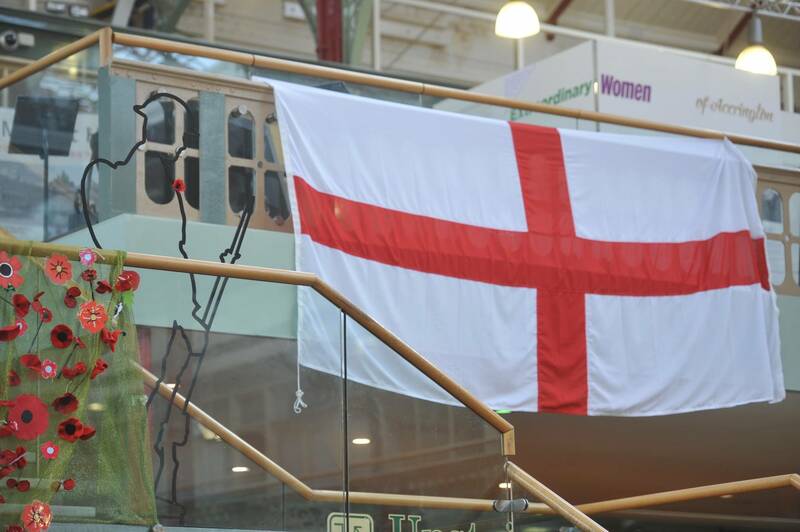 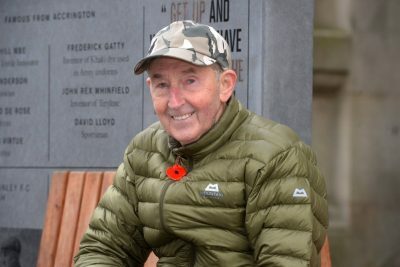 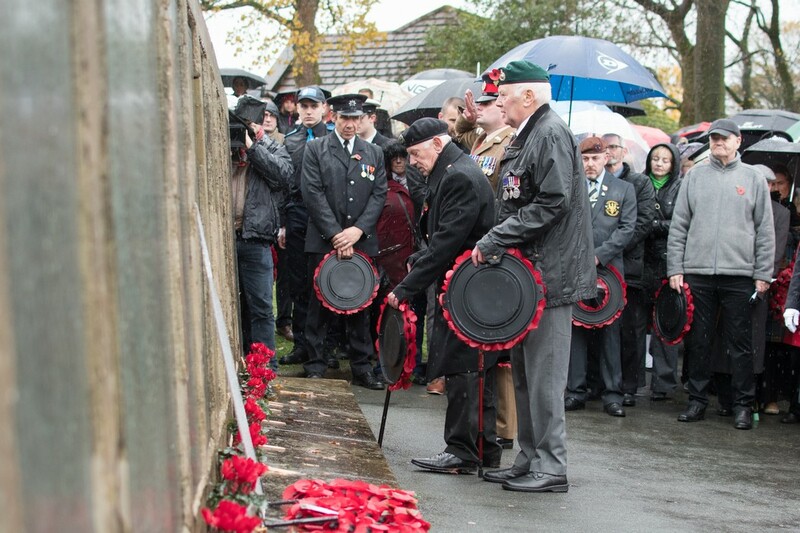 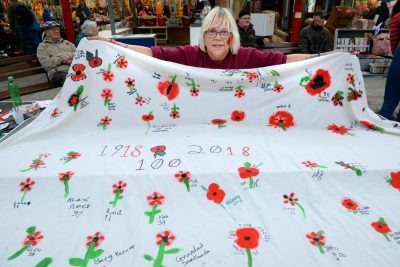 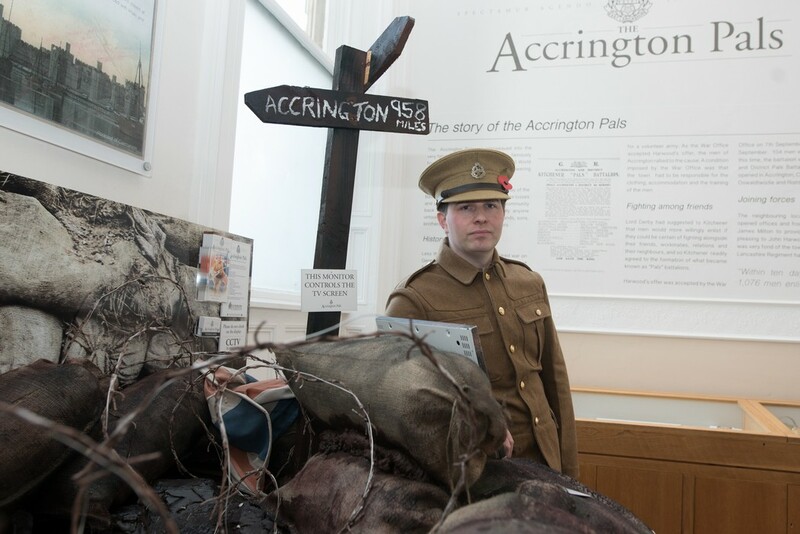 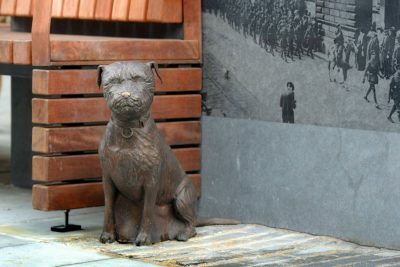 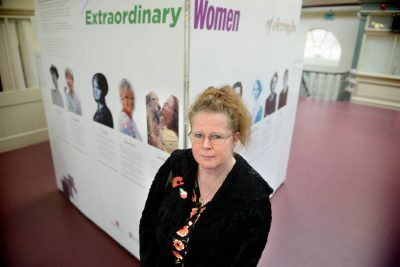 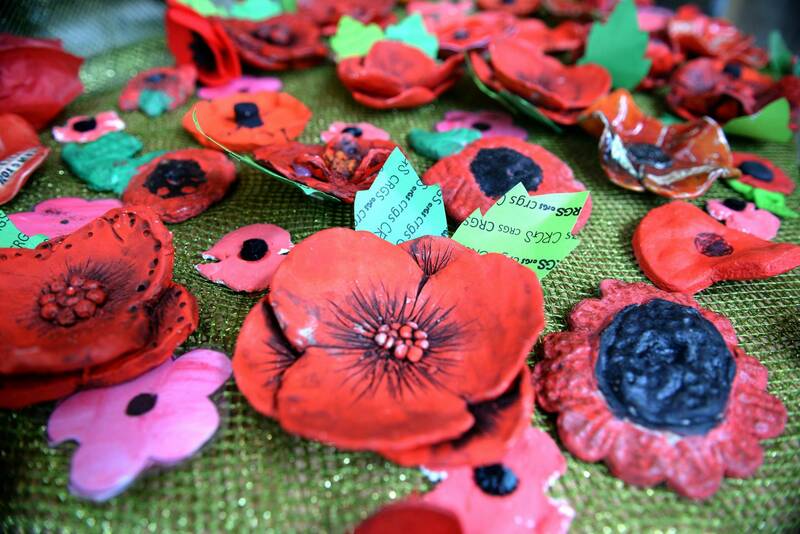 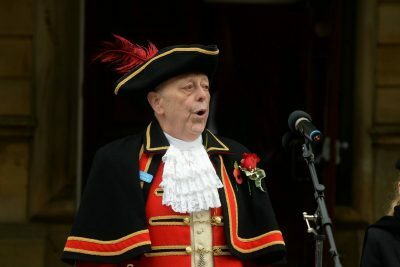 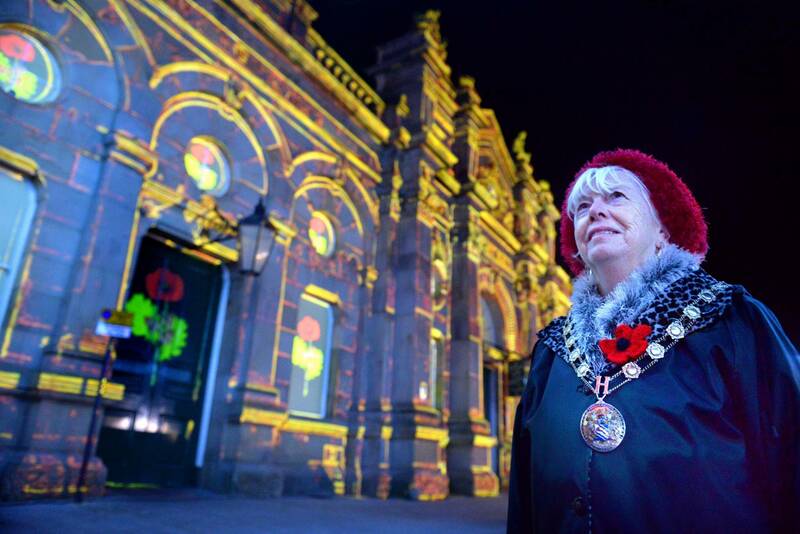 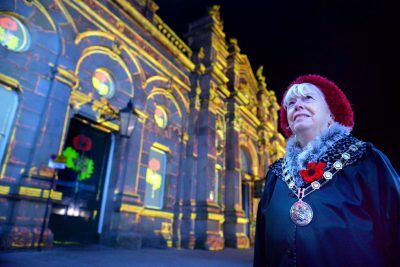 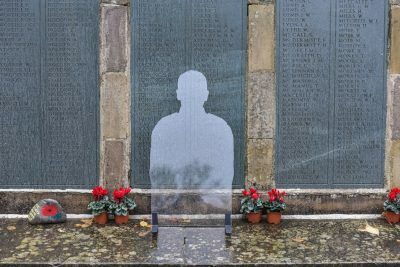 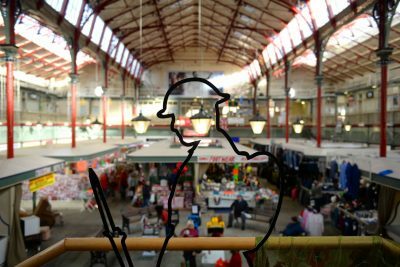 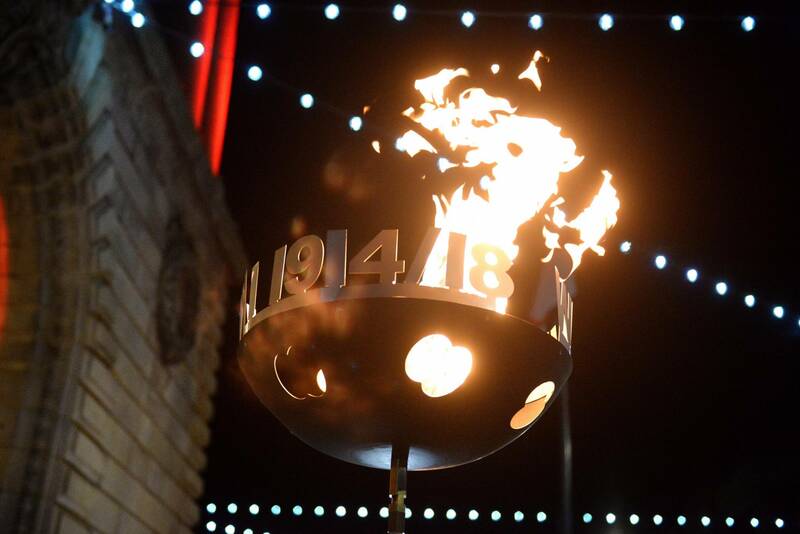 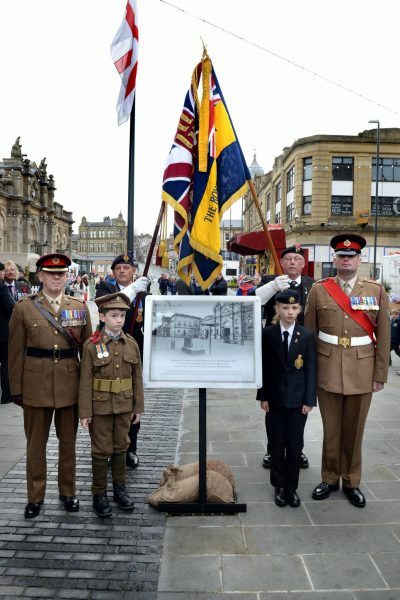 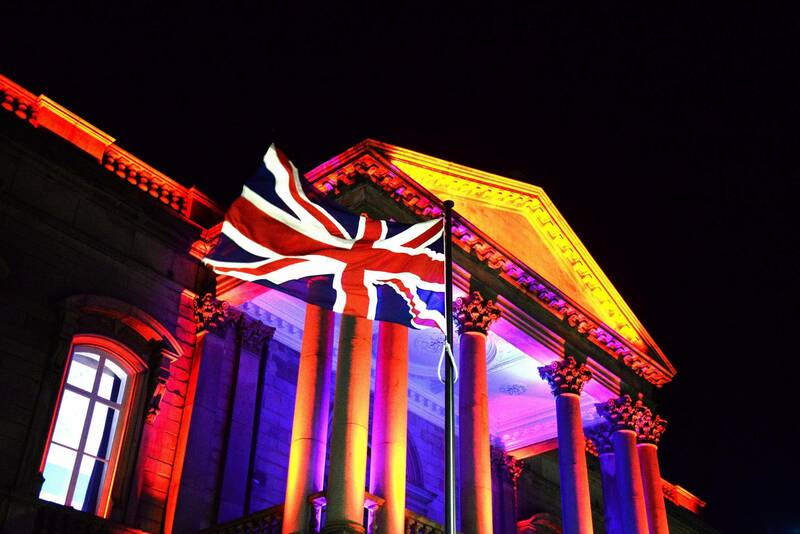 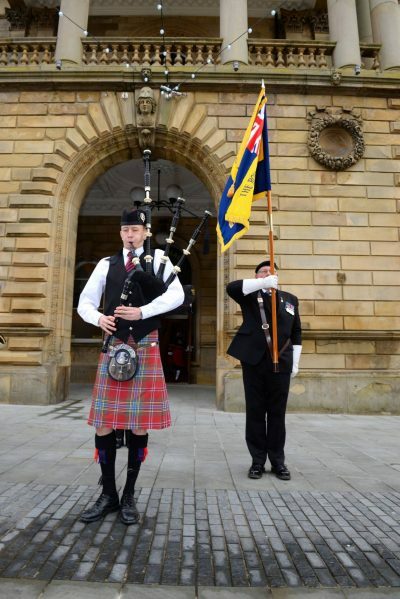 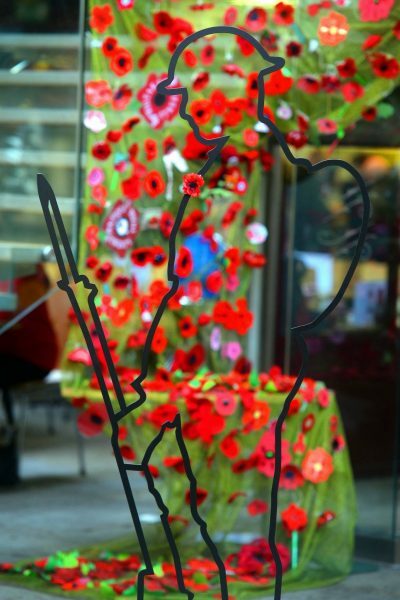 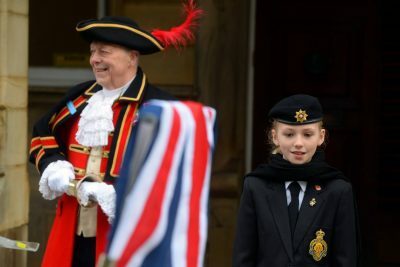 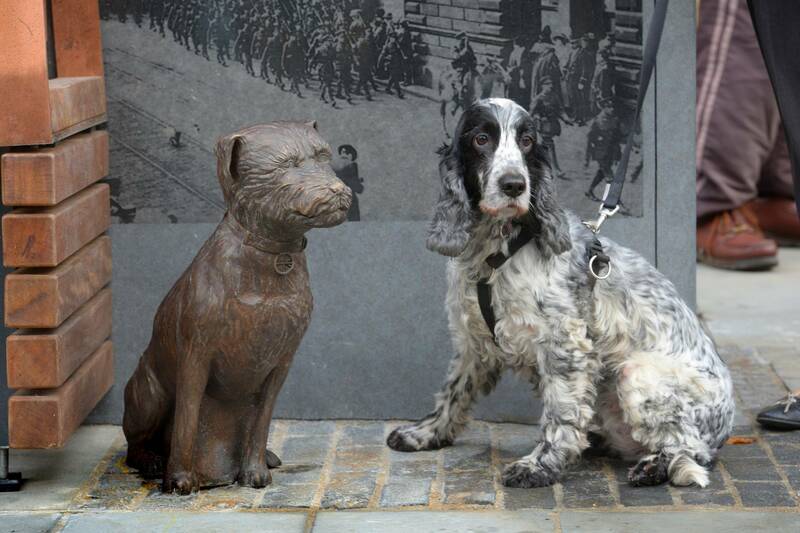 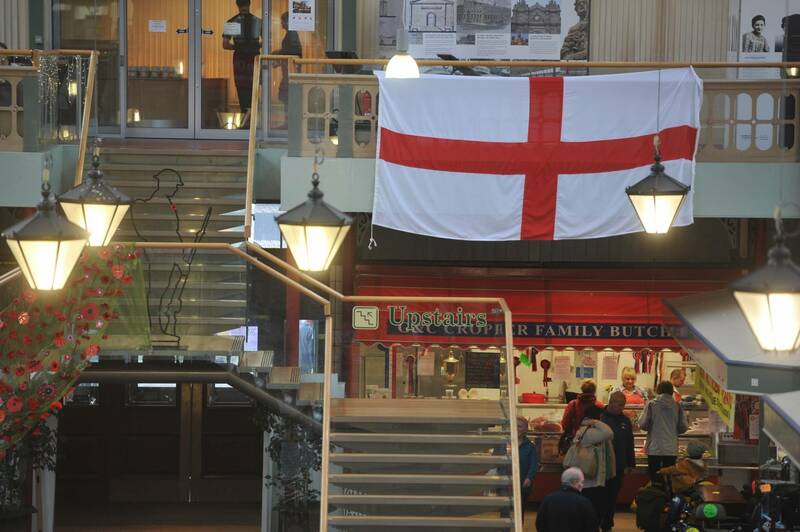 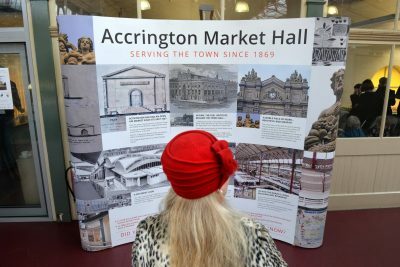 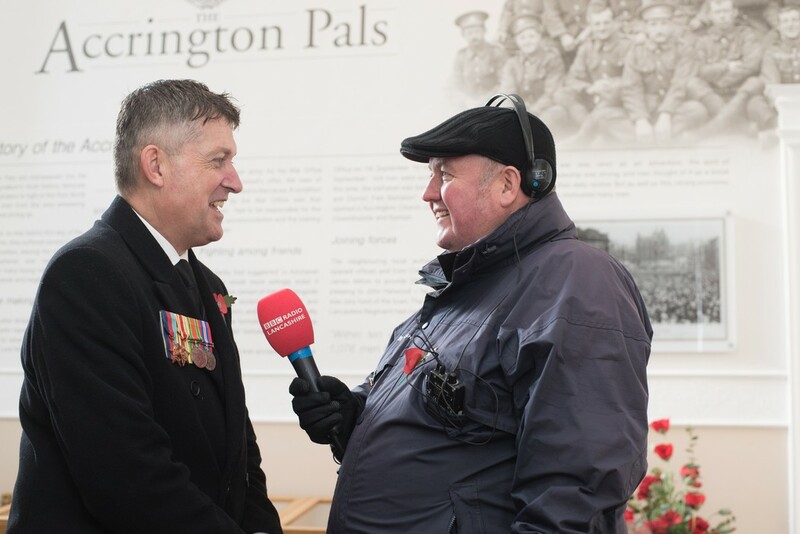 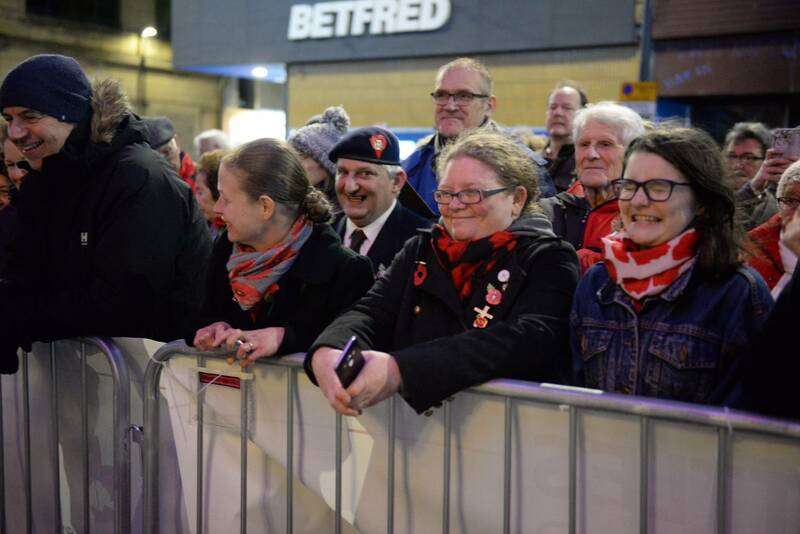 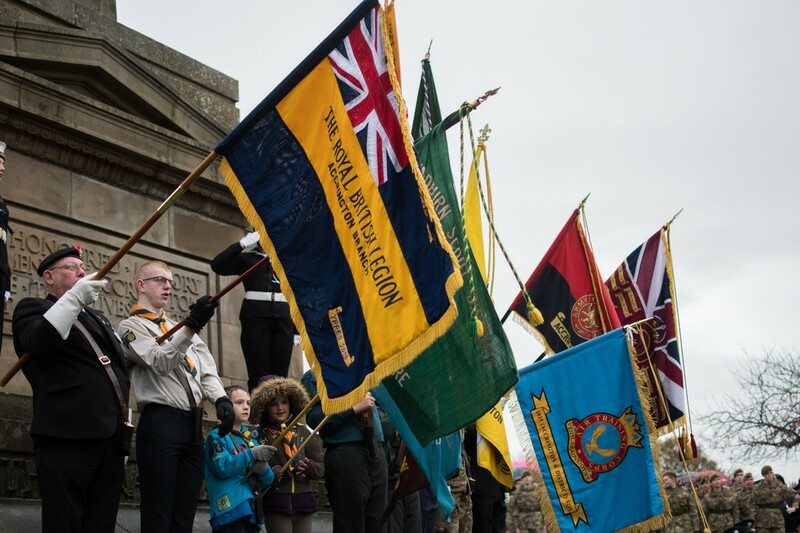 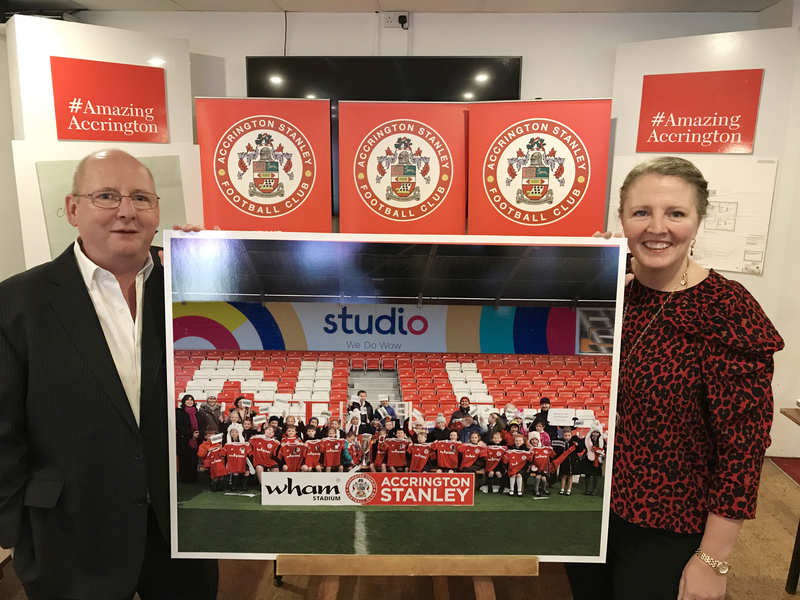 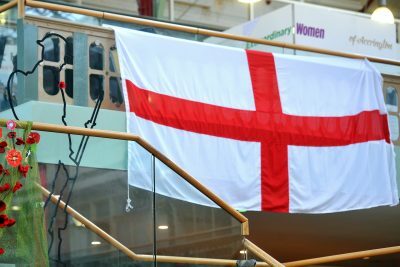 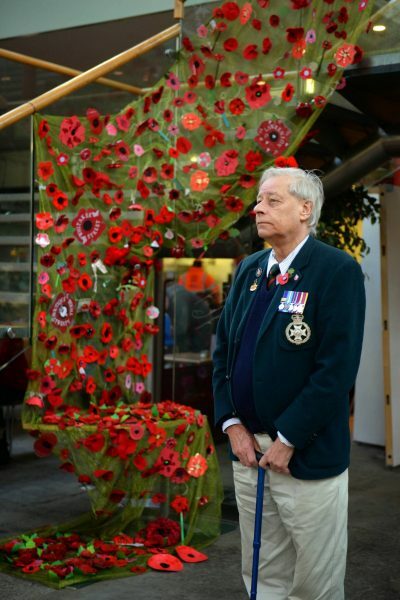 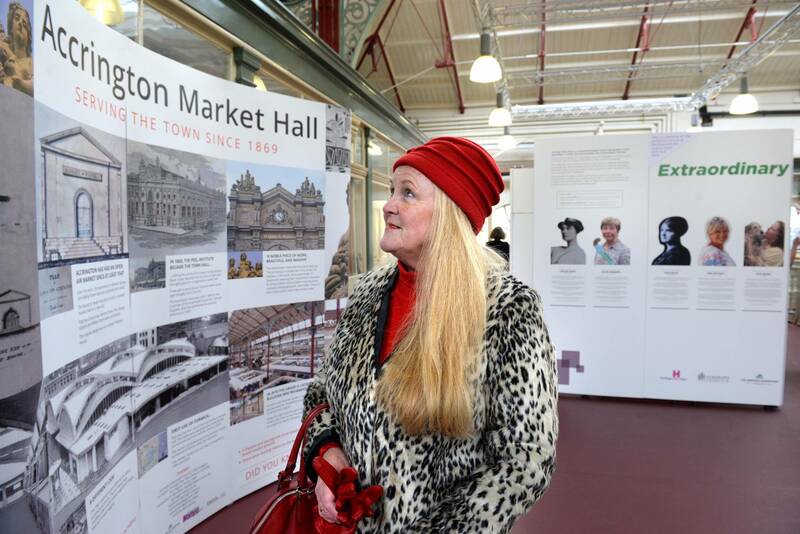 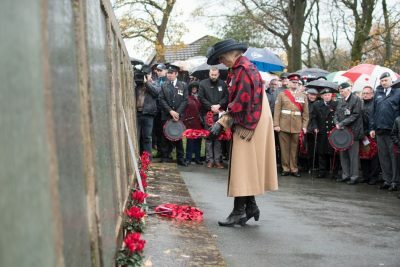 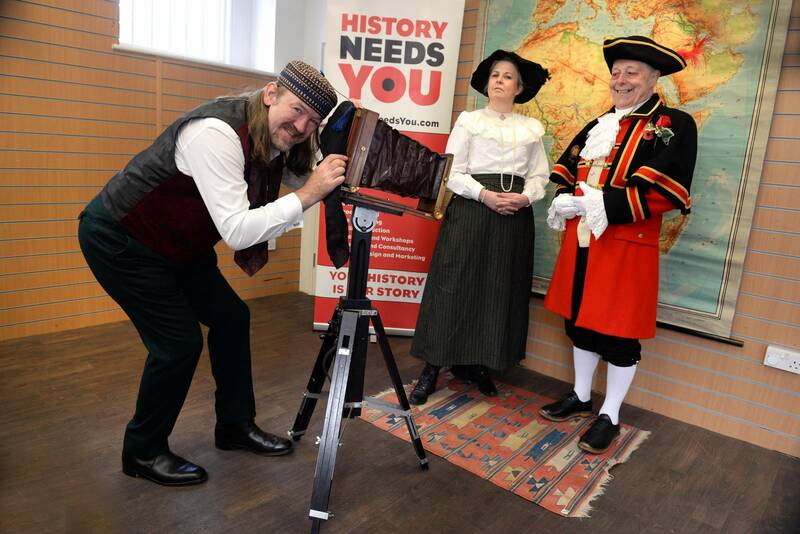 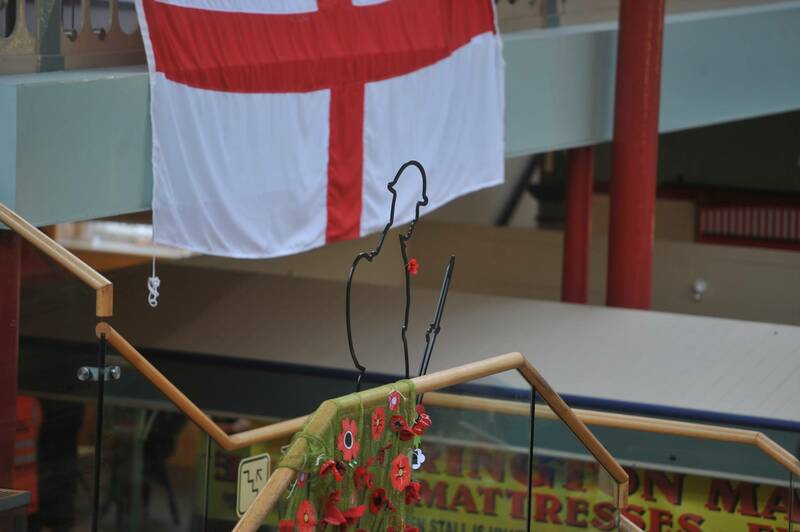 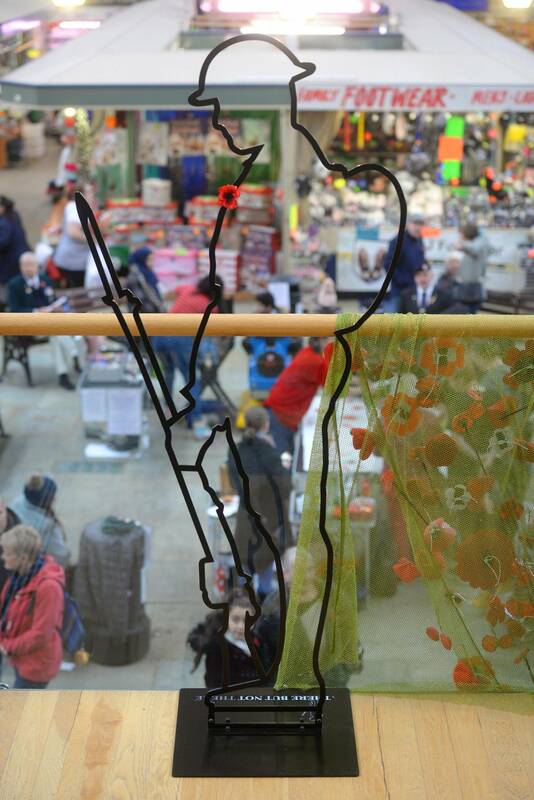 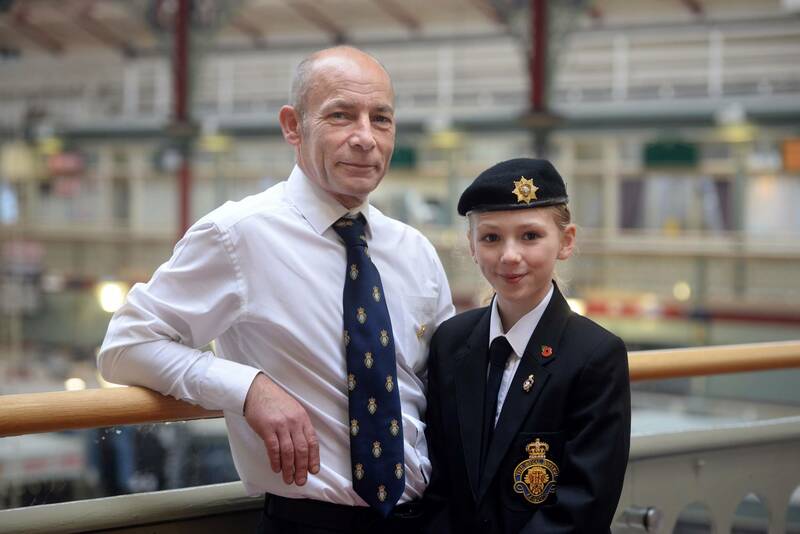 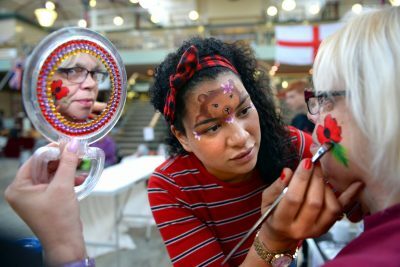 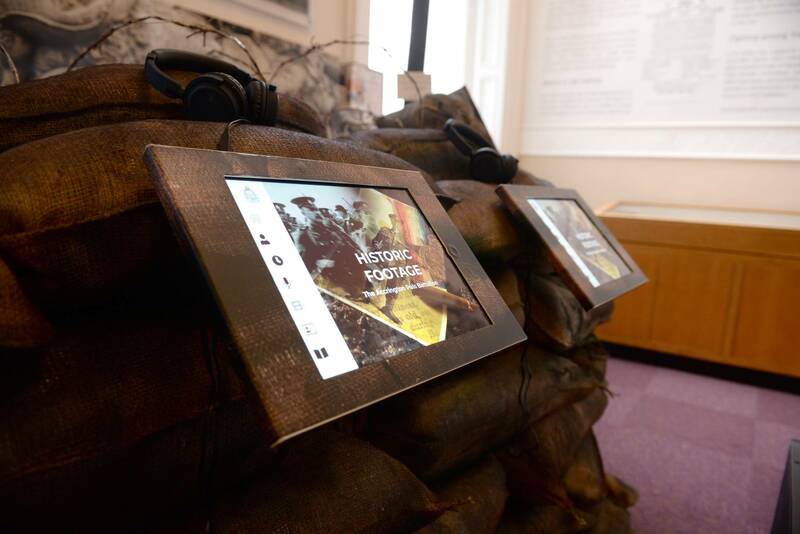 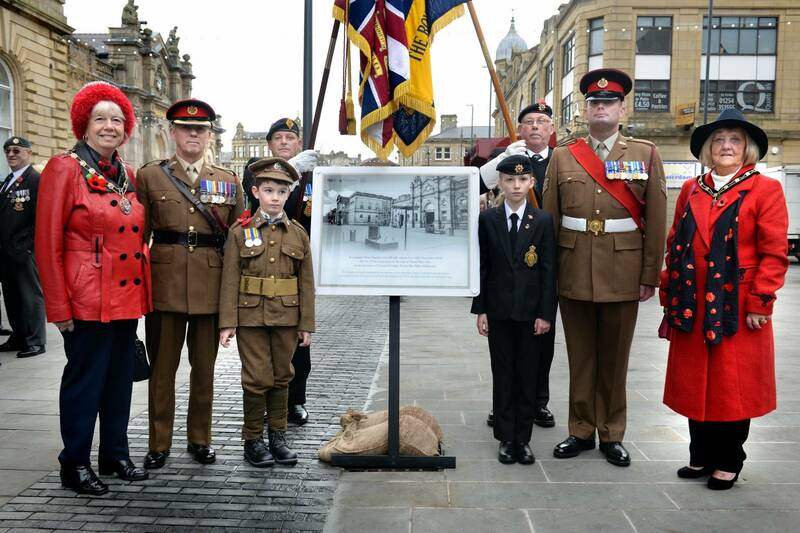 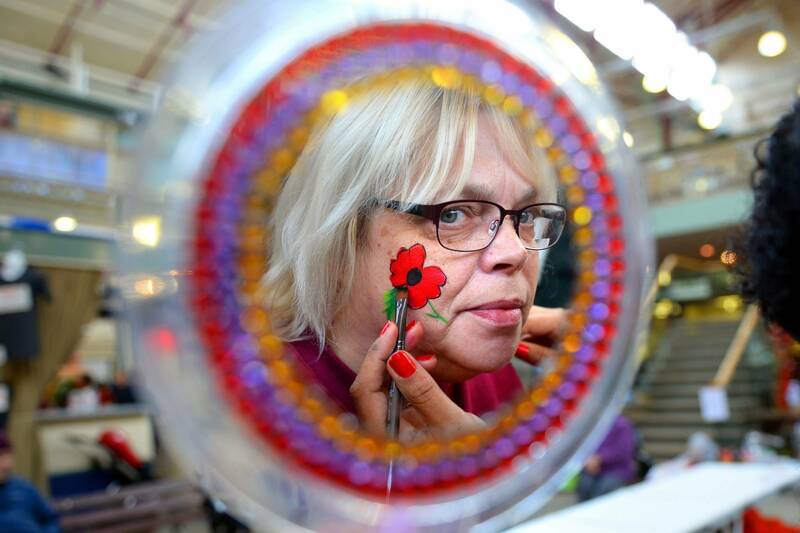 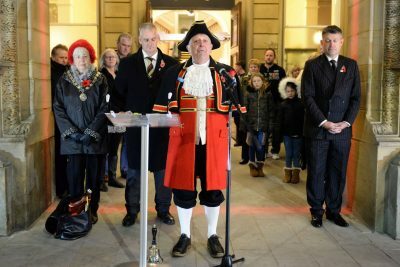 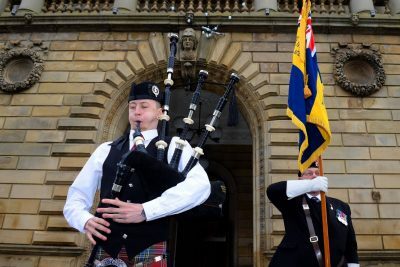 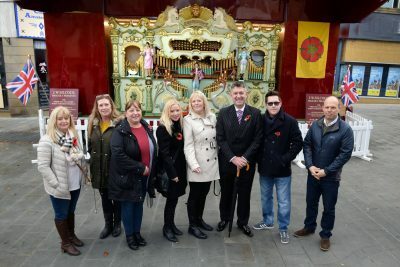 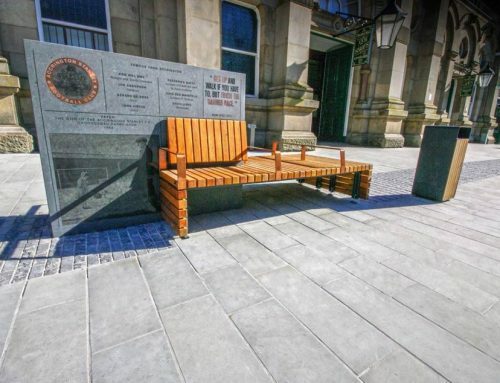 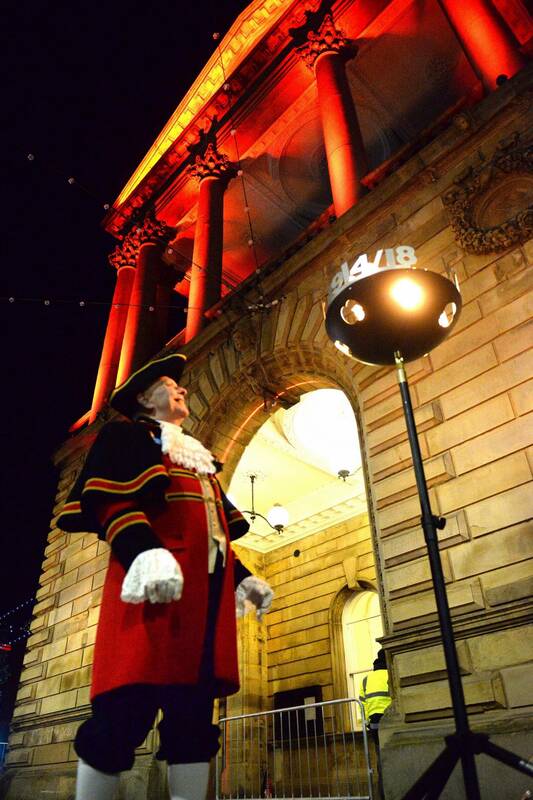 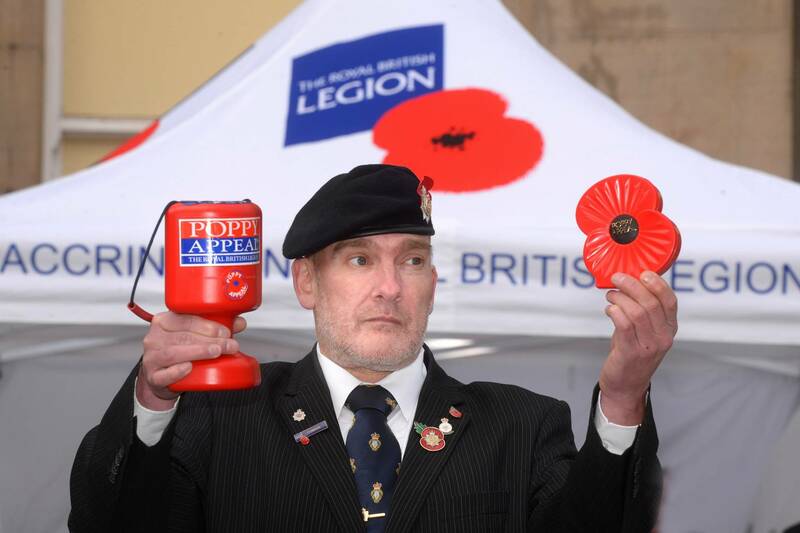 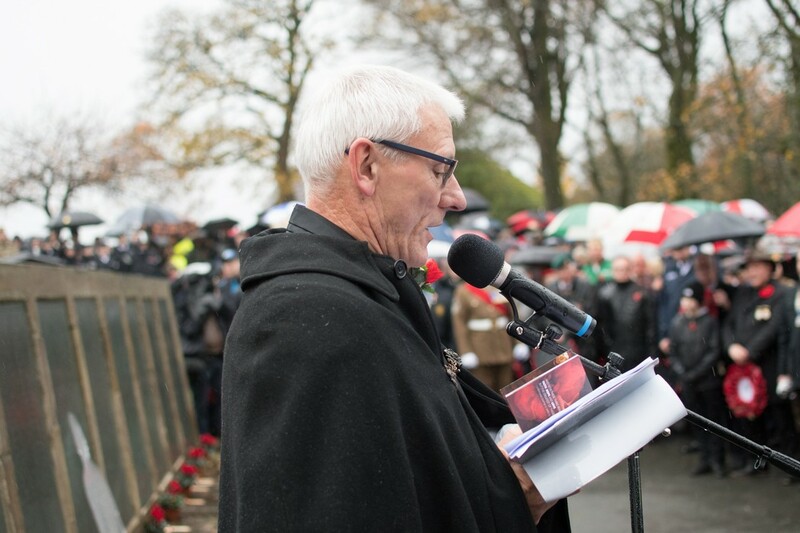 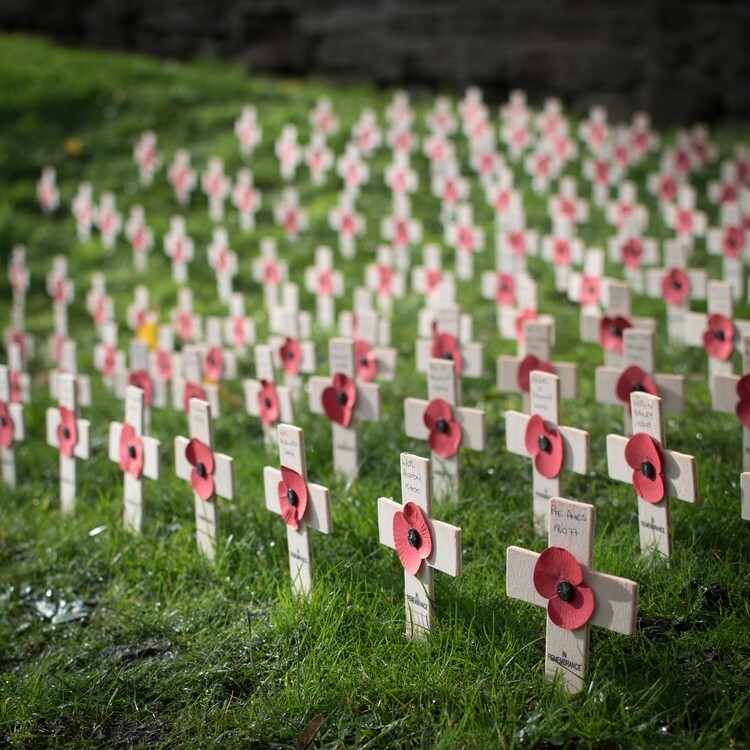 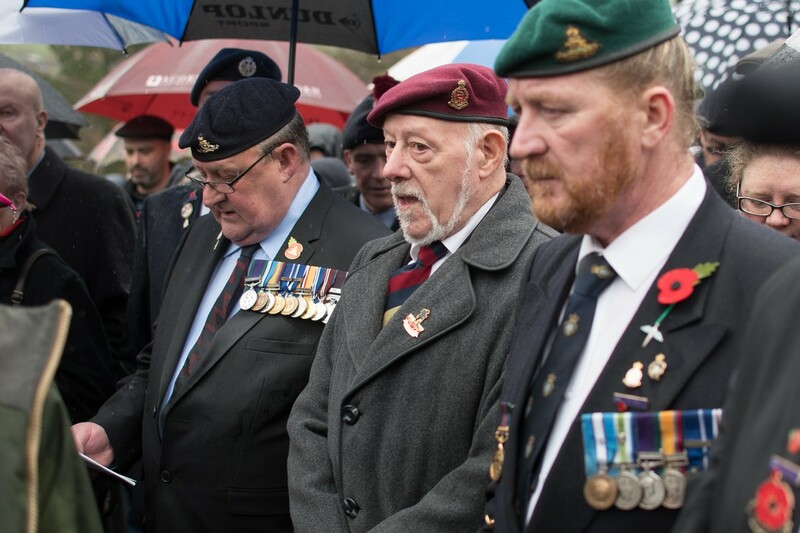 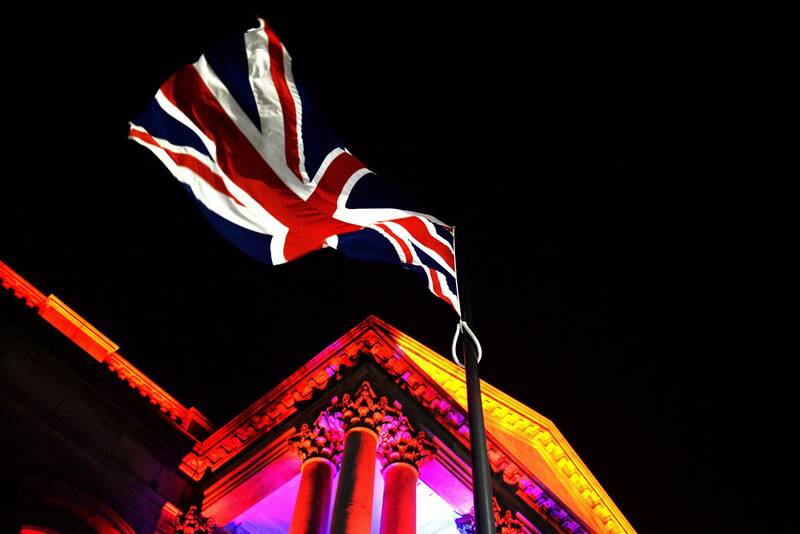 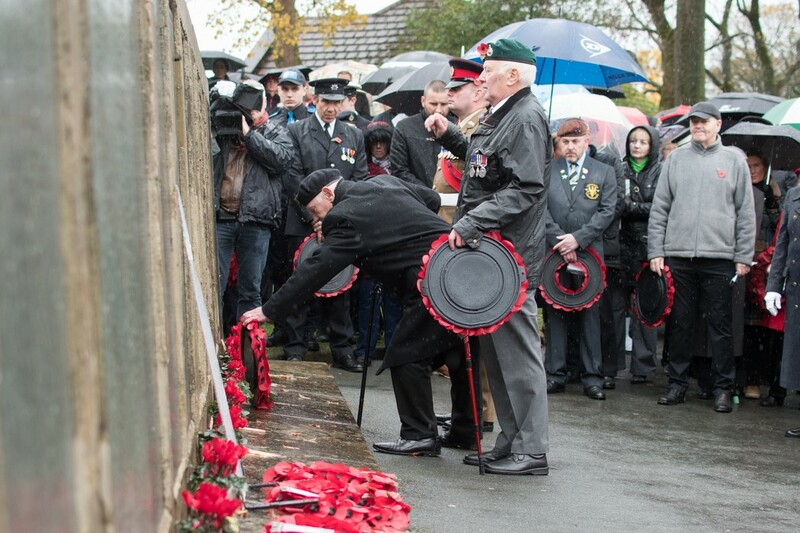 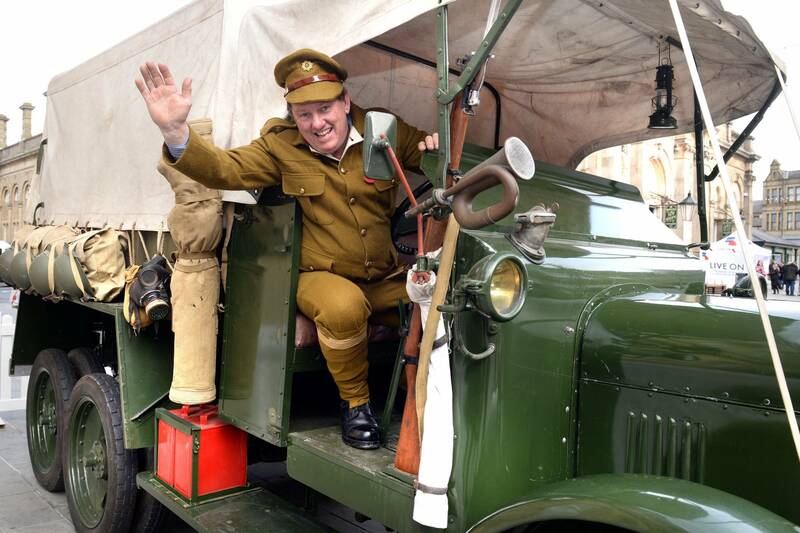 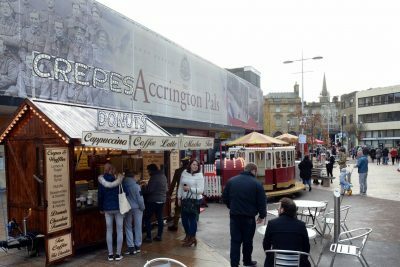 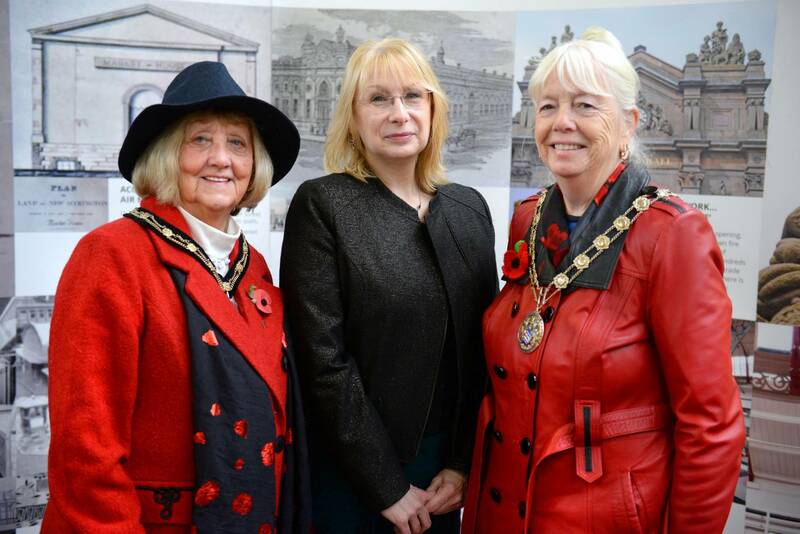 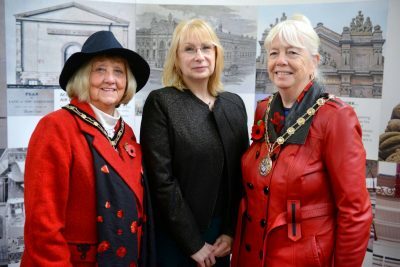 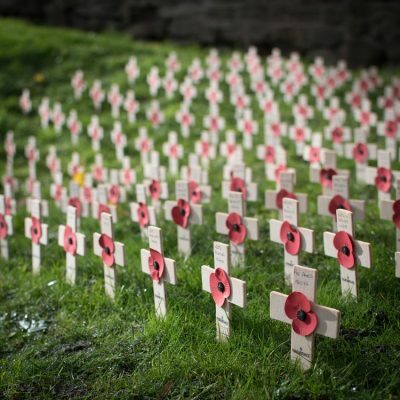 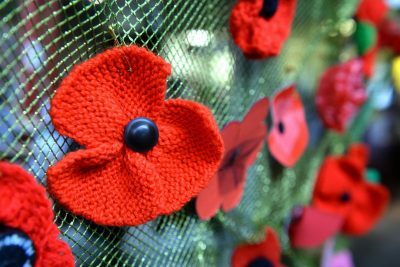 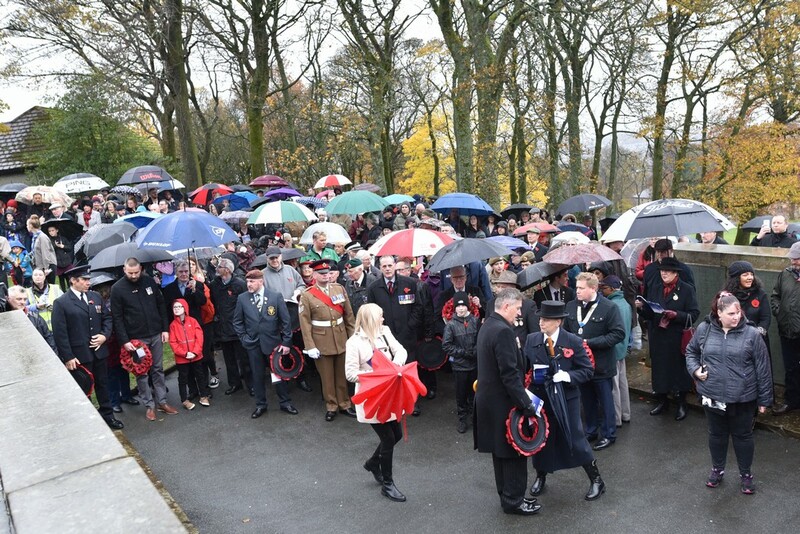 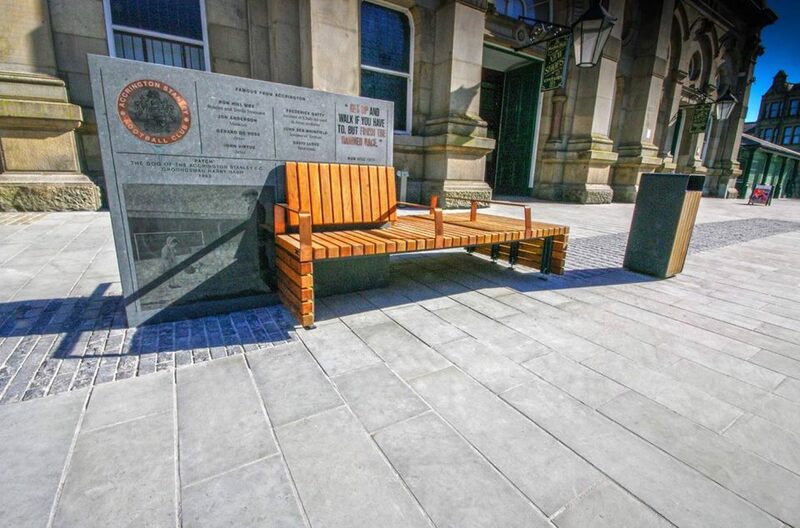 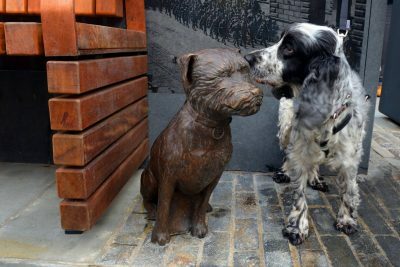 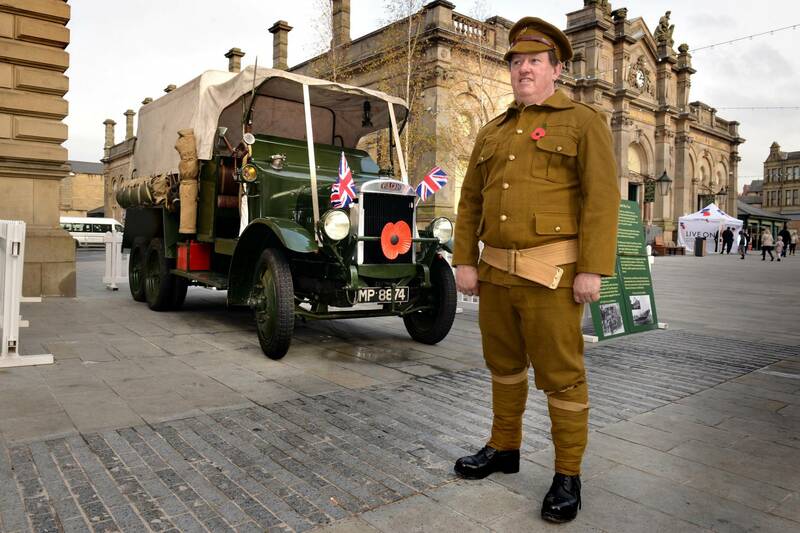 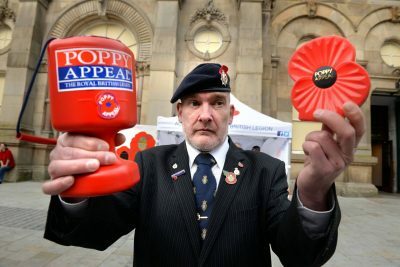 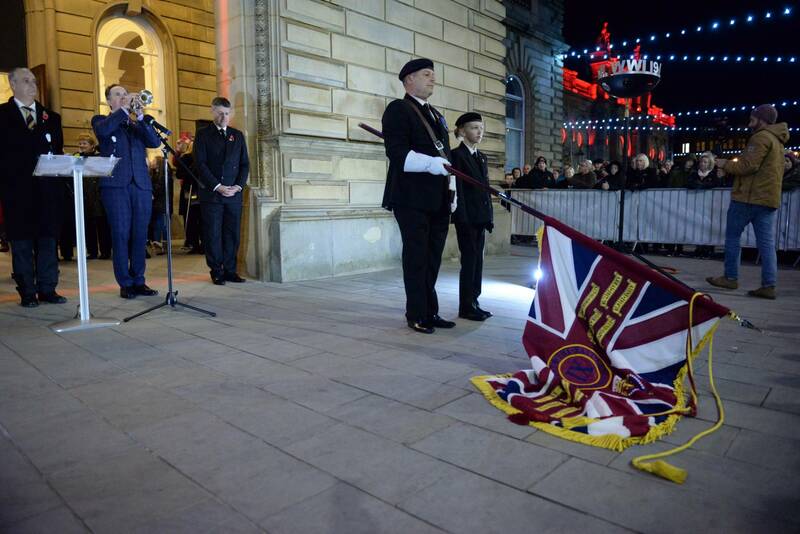 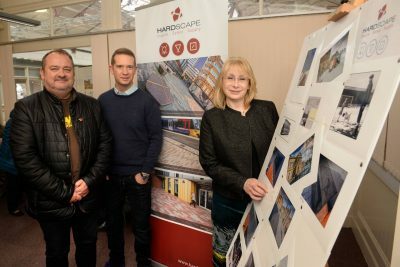 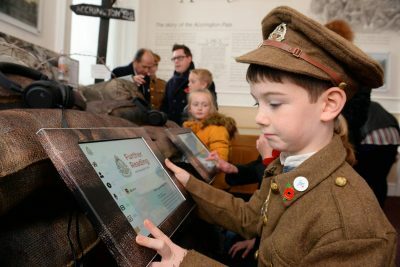 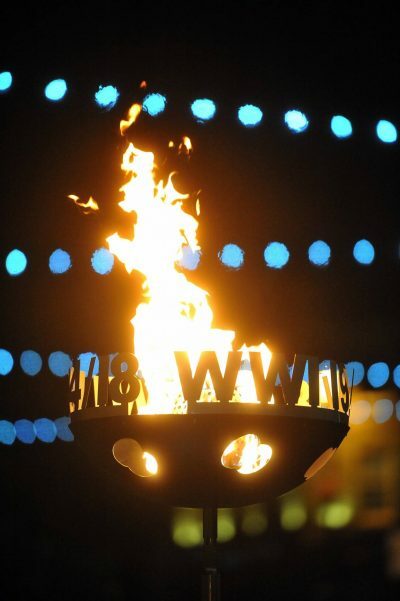 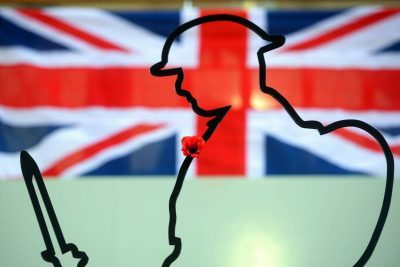 We also featured on BBC news who covered London, Cardiff, Belfast, Dublin, Ypres, Paris, and ACCRINGTON also Granada and Radio Lancashire, showing the country Accrington’s pride in our past, present and future, thank you to everyone involved – you are amazing.